﻿In the 1960'ies, '70ies and ''80ies there was something called "Early Warning" which should give us some time to calculate a proper response. Not anymore! 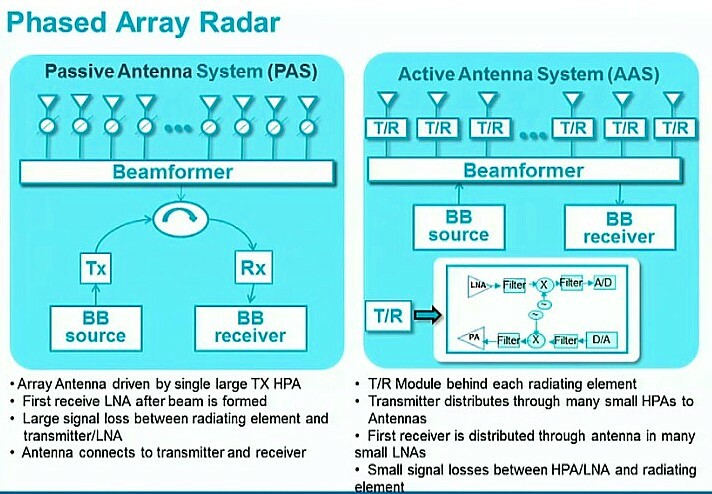 Today we have "instant-detection-send-and-response" phased array-radars. They give us an even better and more accurate situation report. What took minutes before, take seconds and fraction of a second today? U.S. Space Fence is protecting our freedom in a much more reliable and sophistical way than before, and the best part it's here to stay! 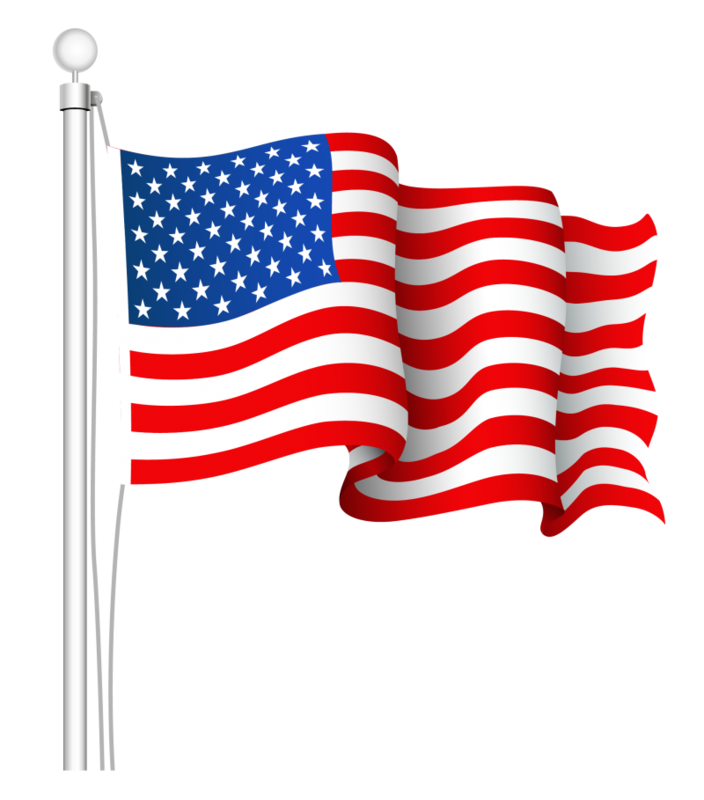 We thank the United States of America! Remain alert folks, and keep your eyes and ears open! 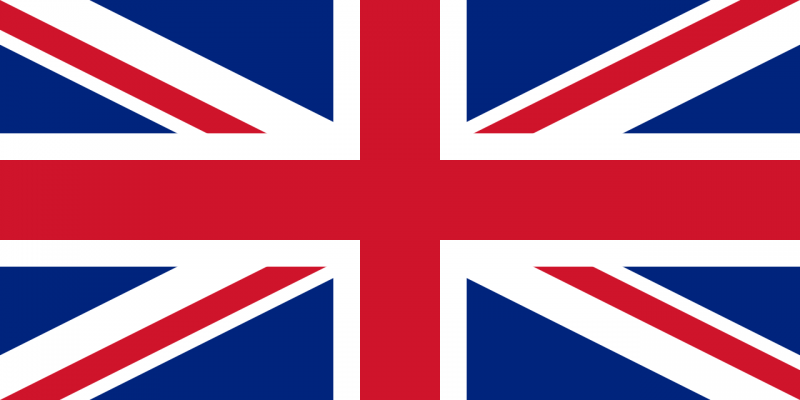 Fight terrorism, domestic and foreign - at least in your spirit. 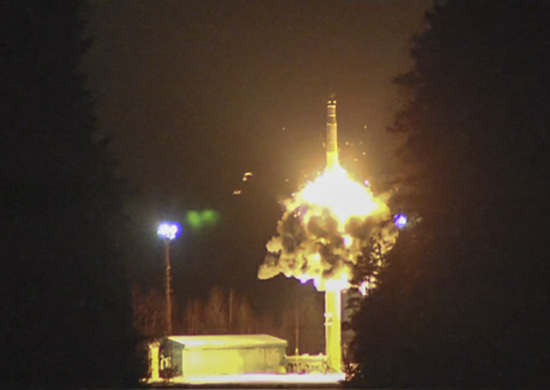 The exercise involved a launch of a Topol/SS-25 ICBM from Plesetsk. The warhead is said to successfully reach its target at Kura. Below Plesets Cosmodrome. "﻿I did my overseas deployment on Shemya from January 1963 to January 1964. It was a very unusual place. It is the only place I have ever heard of where one can experience heavy fog, tremendous winds, and snow, sleet, or rain all at once. 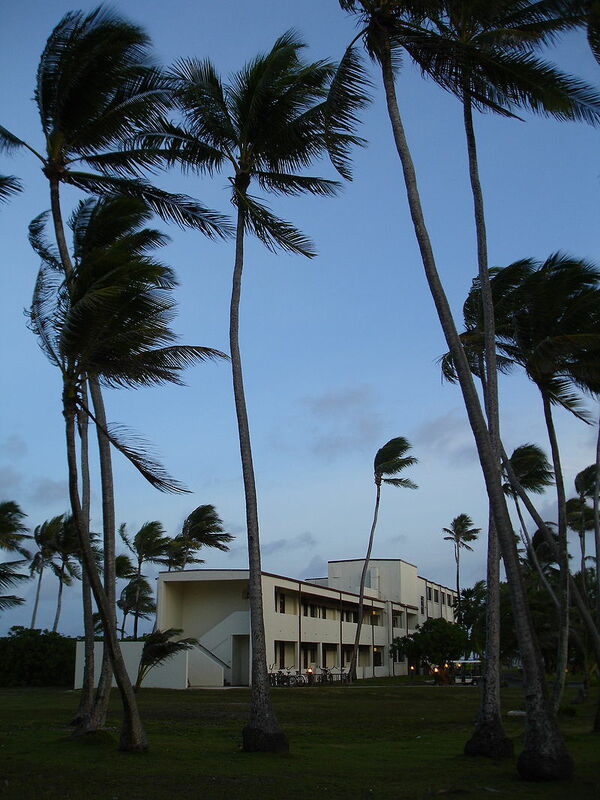 We once endured a storm where the wind speed was measured at 105 mph when the anemometer blew away." 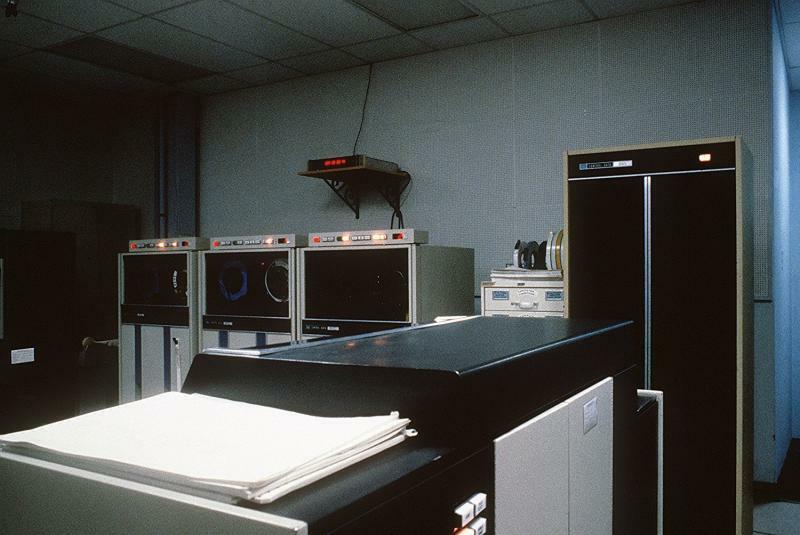 The computer room for the Cobra Dane radar system﻿ during the Cold war. 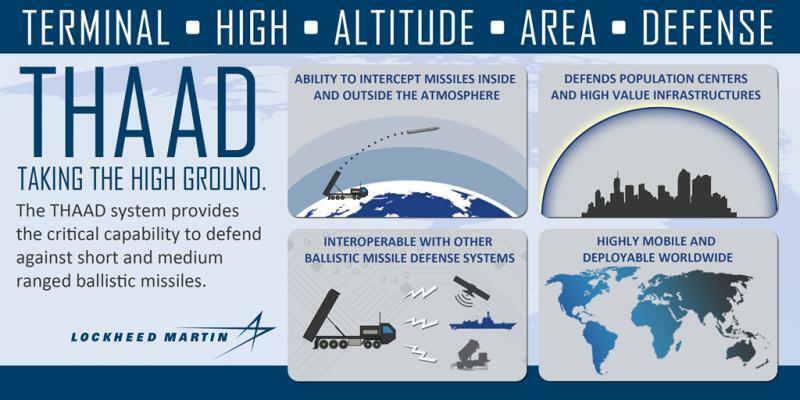 "From its establishment in early 2002 through the end of 2010, the Missile Defense Agency is fielding a Ballistic Missile Defense System consisting of 30 Ground-Based Interceptors for long-range homeland defense. Aegis warships capable of long-range surveillance and tracking and missile intercepts. Standard Missile-3 interceptors for Aegis Ballistic Missile Defense warships.﻿ ﻿Upgraded Cobra Dane radar in the Aleutian Islands." 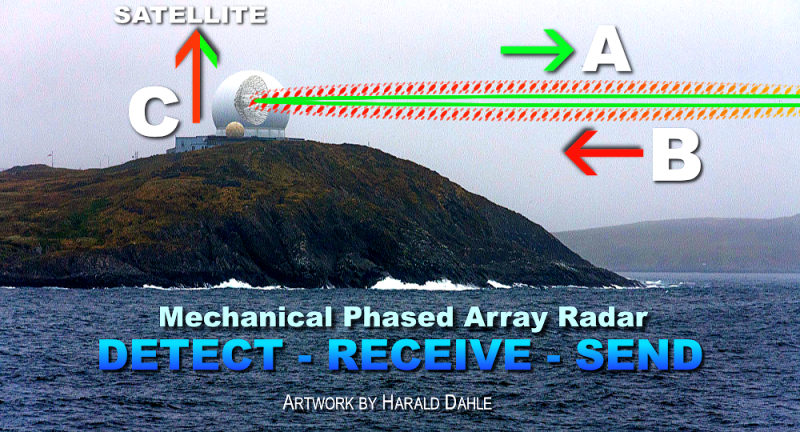 The certain principal use of this X-band radar, along with a second one for Eareckson Air Station on Shemya Island, some 2414Km southwest of An-chorage, will be to collect detailed intelligence data on Russia¹s long-range ballistic missiles. This data will cover the entire trajectory of the missiles, and will be of primal value to a U.S. NMD system. The 21st Operations Group assumed the Cobra Dane Radar mission at Eareckson Air Station, Shemya Island, Alaska, April 1. 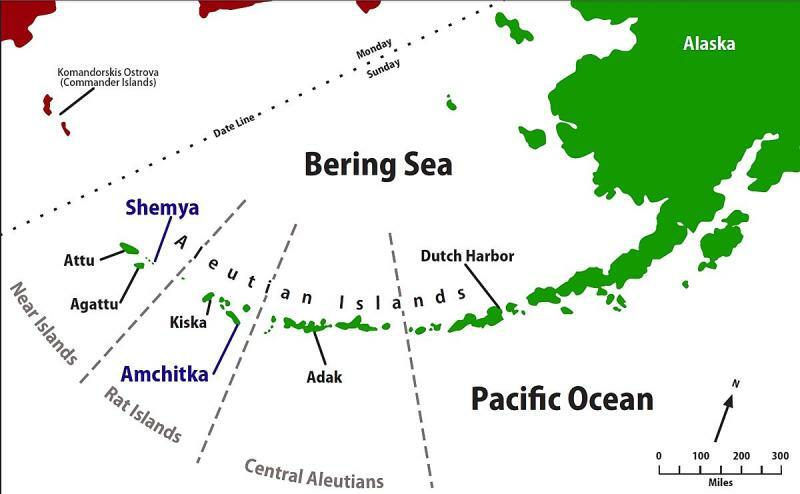 Eareckson AS is located on the western tip of Alaska's Aleutian islands. The radar has the ability to detect objects about 2,000 miles away, and provides data for the Space Surveillance Network and the Ballistic Missile Defense System. Cobra Dane will continue to be operated by a contract workforce, and no military personnel will be assigned to the unit at Eareckson Air Station. Along the Norwegian coast from Bergen via Nordkapp to Kirkenes and back, 12 days. The region in question here is called the Barents Euro-Arctic Region. 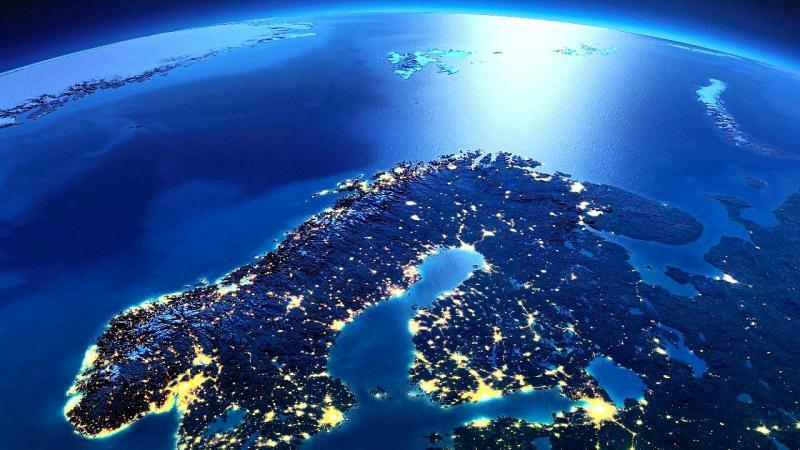 This northern-most region sweeps through Norway, Sweden, Finland and Russia with its northern borders pointed directly towards the humongous Barents Sea. The region is the arctic part of the European Mainland Continent where it suddenly drops down in the ocean and disappears. This abrupt ending of mainland Europe into the ice cold and deep Barents Sea, is a dramatic confirmation of the geological processes that once have taken place here, and a stern reminder to us uber civilized souls that all things must come to an end. The Polar Circle is located between the two stops Nesna in the south and Ørnes further north.﻿﻿ Traveling in the winter is a traveling in the gray scale of light. Up at Honningsvåg, I remember the sun as “fragile streams of soft light bouncing through layers of woolen clouds". At an angle of 12-15 degrees, bearing West-North-East – lasting three hours maximum, before gray turned to pitch-black darkness again. Watch: "Hunting the Northern Lights in Norway﻿!" The majestic coastal ferry, "MS Richard With" plowing through the sea at full speed ahead! And to be there and to experience it, is "to be on the Moon" – Gone are the modern metropolises in shining glass, towering concrete and beaming lights of all kinds, from all directions at the same time. Here, up north at the very edge of civilization, nature speaks directly to you - and you listen carefully! And so it goes. From one stop northwards to the next stop. Snow falling, ship maneuvering slowly through sometimes shallow straits. The captains on these coastal ferries are themselves sons of captains, who also maneuvered these ships. Big sand banks outstretched beneath the hull move around, and the narrow passages above are maneuvered with maximum alertness. The light is there. But it’s a different kind of light. Passing North Cape, there is nothing between the edge of the European continent and the North Pole. The wind sweeps over, the light must follow nature’s cycle. Suddenly, the little human being is “taken” by the colossal meeting with something so much bigger than oneself. This is a spectacle to observe, not to argue with. Traveling in the winter along the Norwegian coast is an investment in psychological awareness and depth, a unique chance to experience life in shades of gray and faint-color light. On 19th of October, a rainy city in Northern Russia welcomed travelers from all across the Barents countries and beyond. The historical city of Arkhangelsk once again had something to show to the world – a relationship of four nations and their cooperation remarkable to the people living in the North. 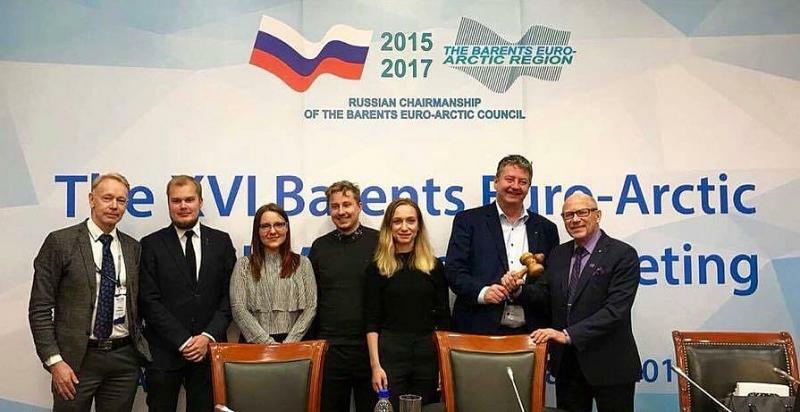 An important event was about to take place, as Russia handed over the chairmanship of the Barents Euro-Arctic Council (BEAC) to Sweden. And the cold! Between -12 till -27, wind not included. Bring a very thick winter coat! 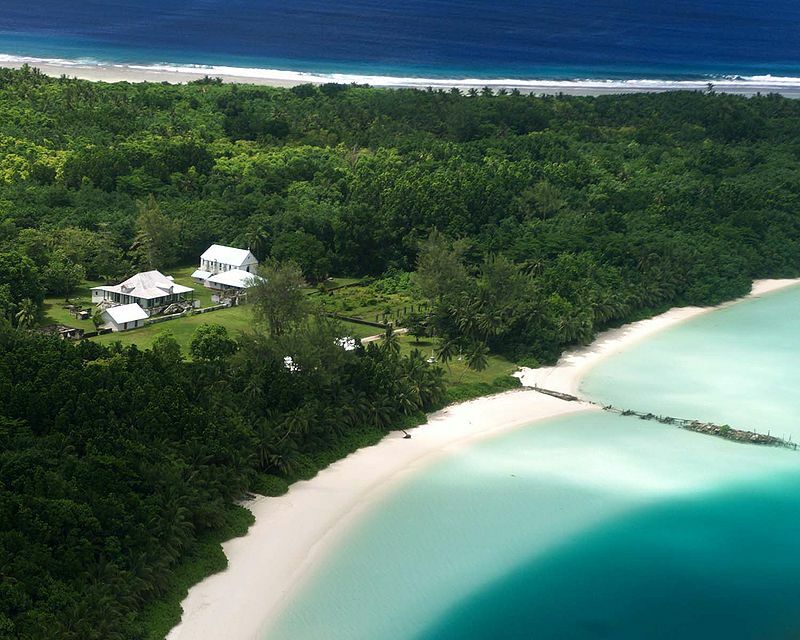 People along the coast come on board to look – invite you for coffee. They did with me! (That is only in the winter when the ferry is half full, or one third full, depending.) 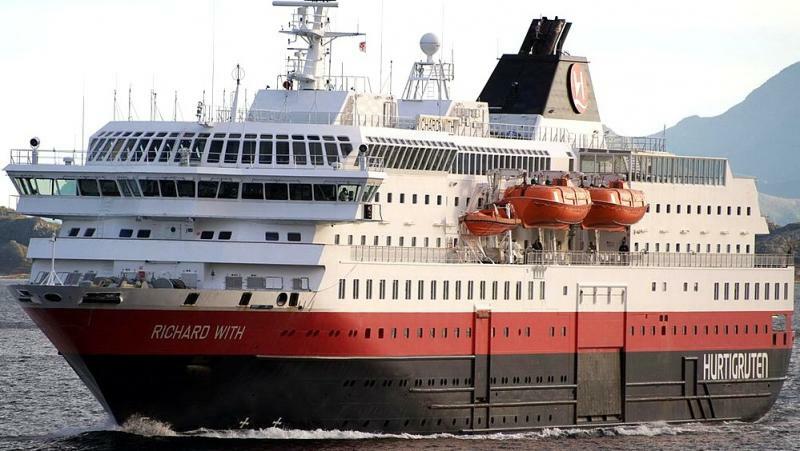 On board, the food is excellent, and when crossing the Polar Circle, you will be baptized with ice water in front of cheering dinner guests in the spacious dining room. And that water is freezing! 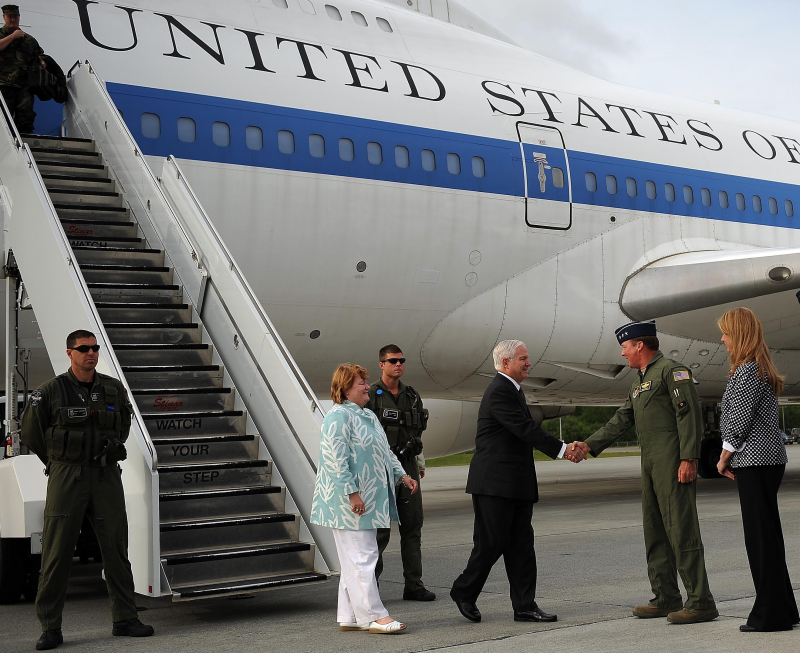 U.S. Defense Secretary Robert M. Gates and wife Becky are greeted by Air Force Lt. Gen. Dana T. Atkins, commander of Alaskan Command, during his visit to Elmendorf Air Force Base, Alaska, June 1, 2009. 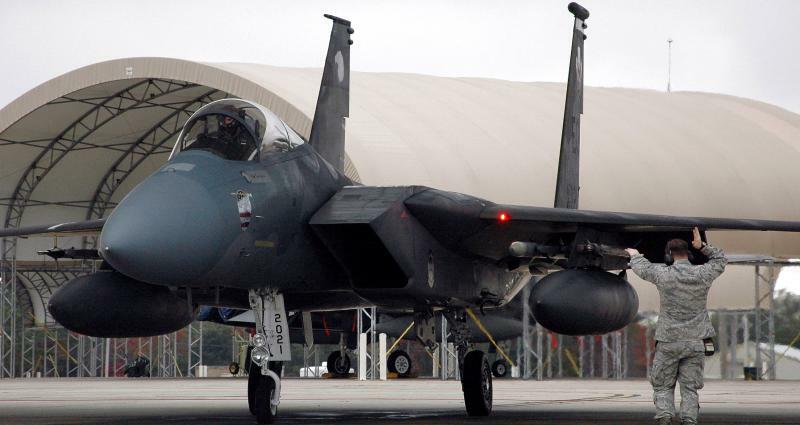 That importance was further recognized when the F-15E Strike Eagle equip-ped 90th Tactical Fighter Squadron was reassigned to Elmendorf Air Force Base from Clark Air Base in the Philppines in May 1991. The Pacific Regional Medical Center moved from Clark to Elmendorf and construction of a new, greatly expanded hospital began in 1993. 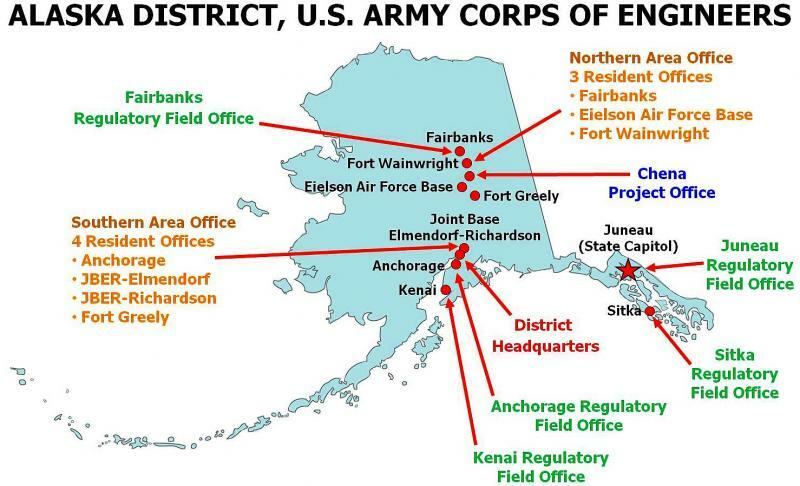 ﻿The early 1990s also saw major organizational changes and an expansion of Elmendorf's imp-ortance. 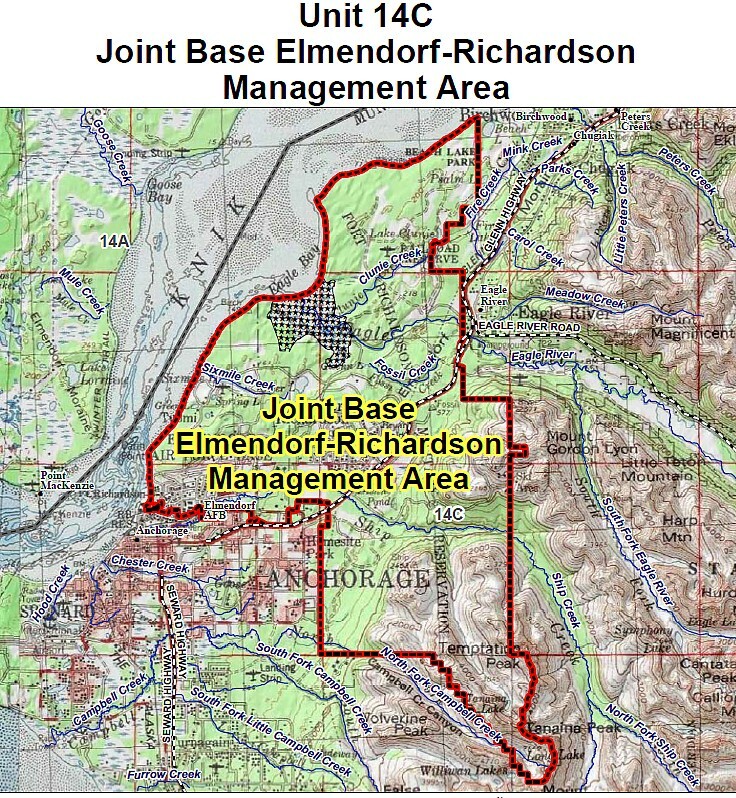 In 1991, the 21st Tactical Fighter Wing was reorganized as an objective wing and all the major tenant units on Elmendorf were placed under it. The 21st Wing was inactivated and the 3d Wing was reassigned from Clark Air Base to Elmendorf Air Force Base on 19 December 1991. This was in keeping with the Air Force's polices of retaining the oldest and most illustrious units during a period of major force reductions. It was also an alternative landing site for the Space Shuttle. 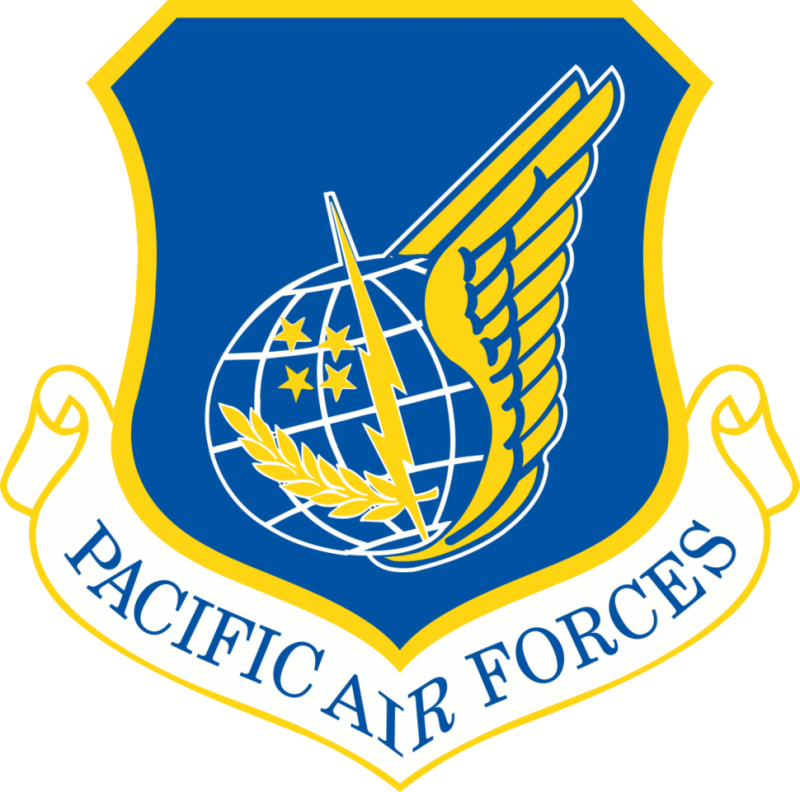 The base also contains the headquarters of the Alaska Wing of the Civil Air Patrol. 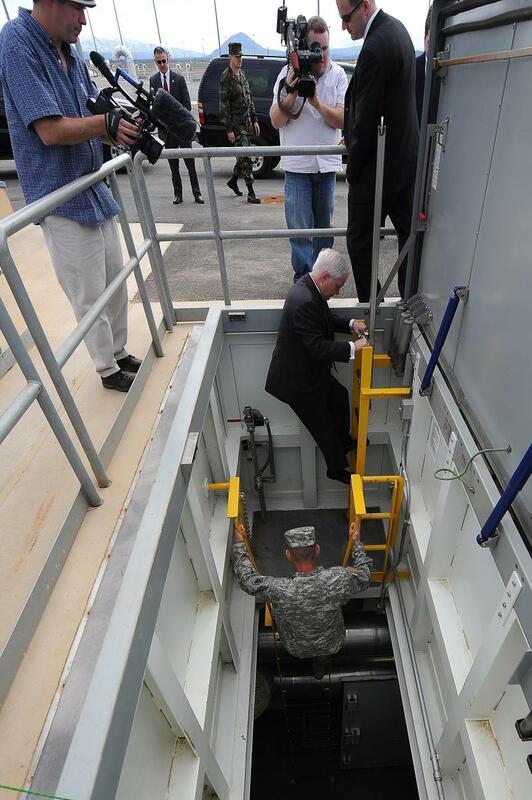 U.S. Defense Secretary Robert M. Gates climbs down into a ground-based interceptor missile silo on Fort Greely, Alaska, June 1, 2009. It is the largest, fastest, and most intelligent projectile available to the US Army. Despite this you probably never heard of it nor the Army National Guard Soldiers who "pull the lanyard." If you think a 155mm howitzer shell is big, the M21 rifle is accurate, the MLRS can fire over a long distance, or that the PATRIOT air defense system is sophisticated, you are correct on all accounts. 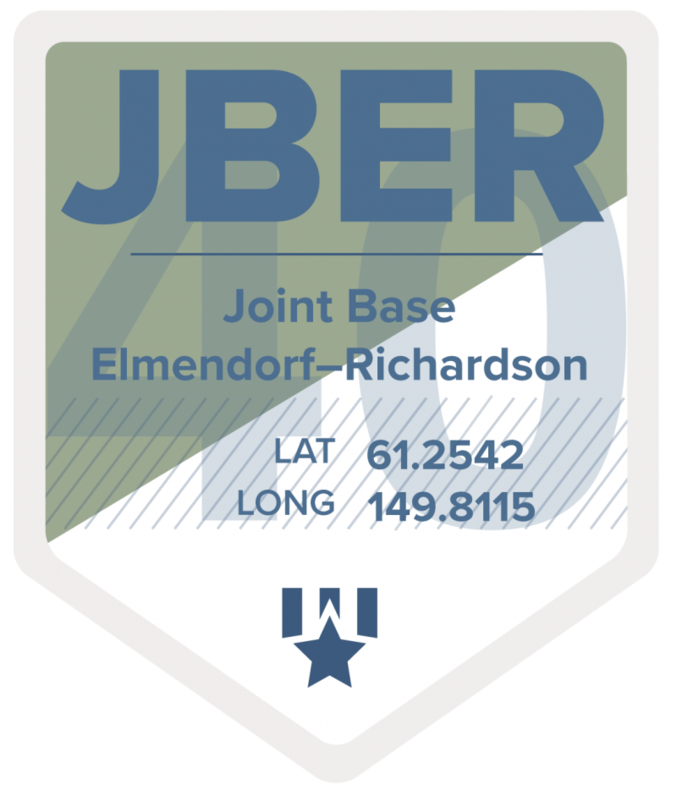 ﻿The tip of the spear for the GMD system is its Groundbased Interceptor, or simply "GBI." While it may not be the most awe-inspiring name for a defensive weapon system, its performance in conjunction with its fire control system will certainly leave you in awe. The GMD system is the ultimate "smart weapon." Once outside the atmosphere and at distances thousands of miles from the launch facilities at Vandenberg AFB, Calif, or Fort Greely, Alaska, the boost vehicle releases the EKV on an intercept trajectory toward a hostile missile's warhead. From there, the EKV seeks out the target using multi-color sensors, a cutting-edge onboard computer, and a series of rocket motors used for independent steering in space. 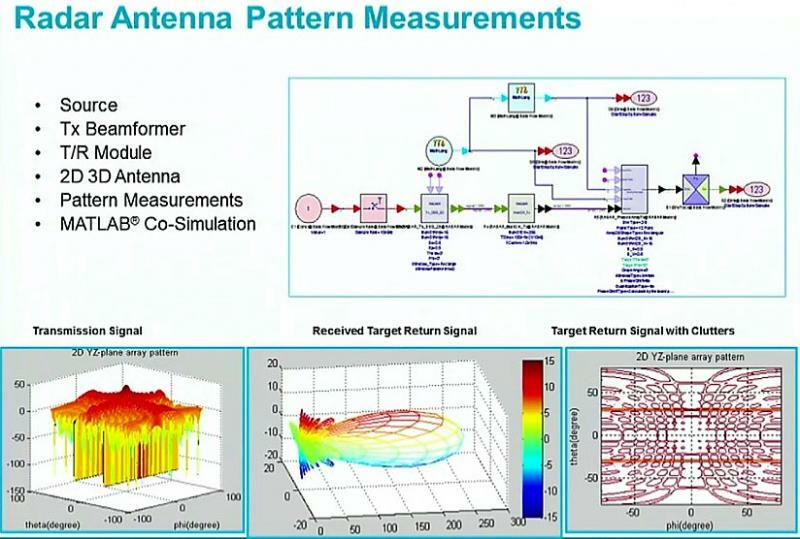 While the GBIs comprise the shooter portion of the system, the sensors are the eyes and ears of GMD. 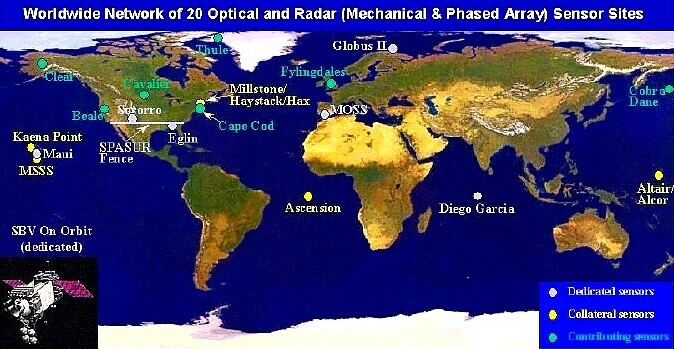 These sensors consist of space-based infra-red satellites, upgraded early warning radars (UEWRs) and COBRA Dane operated by the Air Force, transpor-table X-band radars (AN/TPY-2), AEGIS radar on board select U.S. Navy warships, and the massive sea-based X-band Radar. These sensors provide information to the GMD Fire Control system in order to calculate precise intercept points for the GBIs and EKVs. 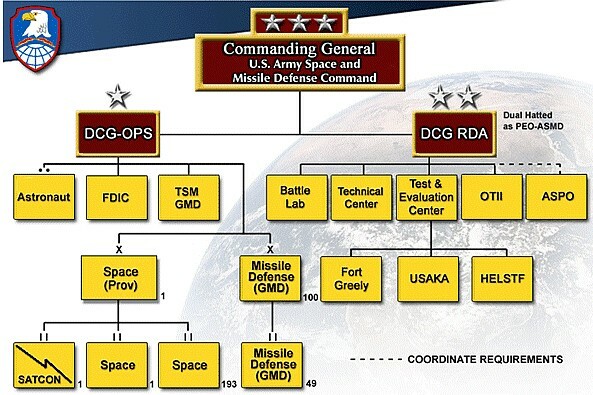 The Army National Guard Soldiers of the 100th Missile Defense Brigade in Colorado and California, and 49th Missile Defense Battalion in Alaska operate the Command, Control and Communication portion of GMD system and are the essential human element of GMD. 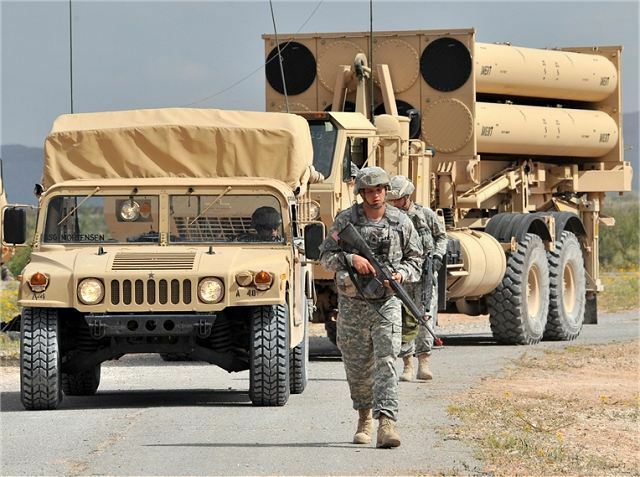 Missile Defense Element crews from the 100th and Fire Direction Center crews from the 49th man the system 24/7/365. 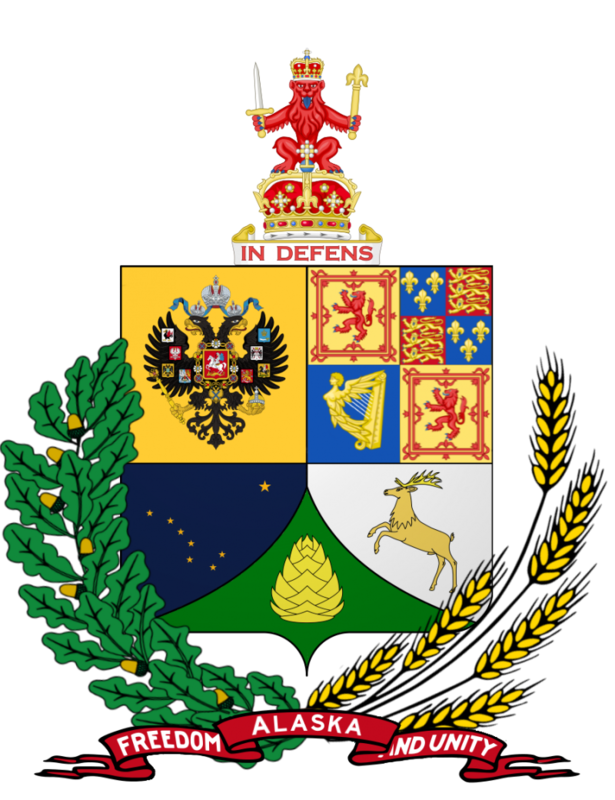 They are responsible for the strategic and tactical level execution of the GMD mission and provide security forces to defend the assets at Fort Greely, Alaska. The Soldiers of the 100th Missile Defense Brigade are part of a very unique multi-component organization. The brigade headquarters is located in Colorado Springs, Colorado and consists mainly of (full-time) Active Guard and Reserve, Colorado Army National Guardsmen. The unit also includes a small contingent of Active Component (Regular) Army Soldiers. The 100th is tasked with conducting a presidentially-directed national security mission to defend the United States against the threat of ICBM attack. 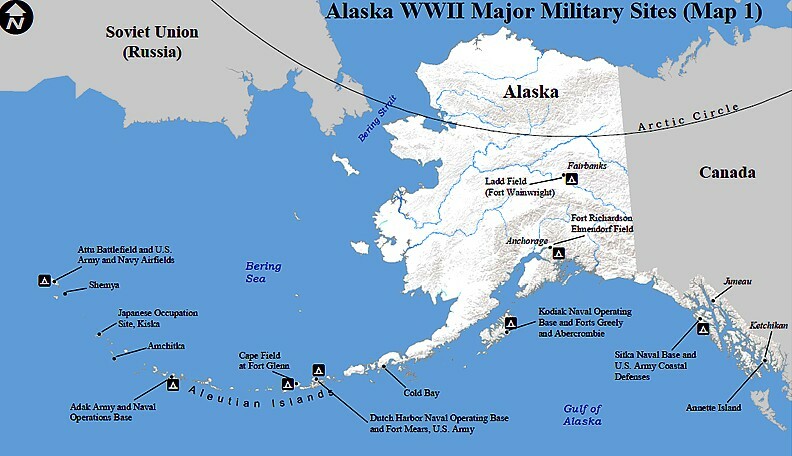 At Fort Greely, Alaska, the Alaska Army National Guard AGR Solders of the 49th Missile Defense Battalion are charged with the same ballistic missile defense mission as the 100th but have the additional mission essential task for their Military Police to secure the Missile Defense Complex at Fort Greely. The small contingent of California Army National Guard Soldiers of 100th MDB Detachment 1 at Vandenberg AFB are tasked with performing liaison and asset management of the GBIs located there in support of the brigade and battalion. In order to perform their federal mission, all 100th MDB National Guard Soldiers ope-rate in a "dual status" allowing them to automatically transition between Title 10 fede-ral Active Duty and Title 32 National Guard status. The Soldiers seamlessly transition between these two statuses depending on the duties they are performing or location. When on-duty at GMD operational sites performing their federal mission they serve in Title 10 and are subject to the Uniform Code of Military Justice. 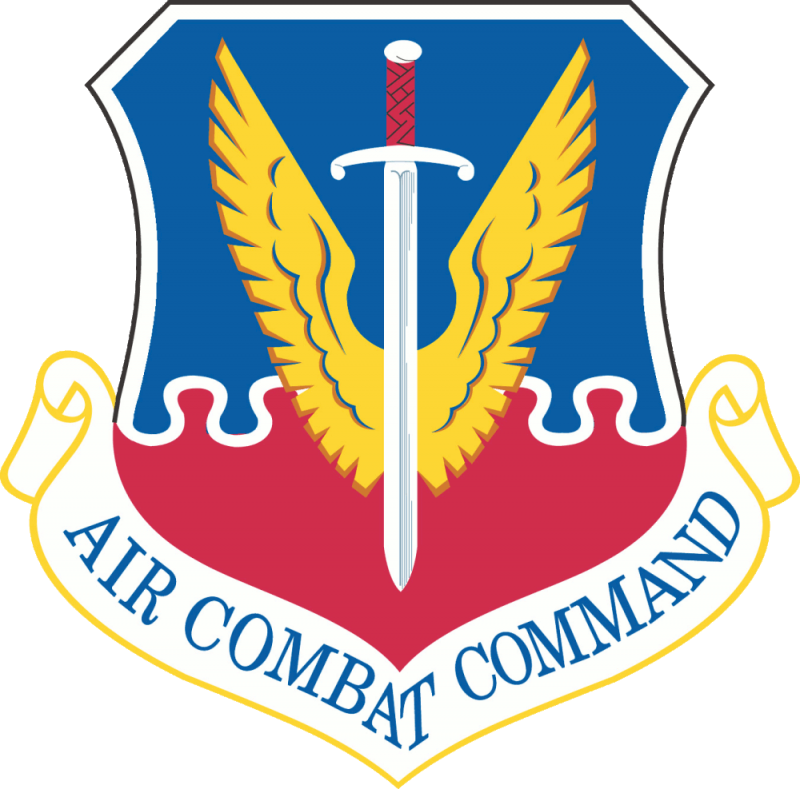 When off-duty or in an administrative status away from GMD operational sites they are in a Title 32 status and are administratively controlled (ADCON) to their respective States' National Guard. Areas of application include radars used for ground mapping, search and detection, fire control, tracking, navigation, terrain following, and terrain avoidance. 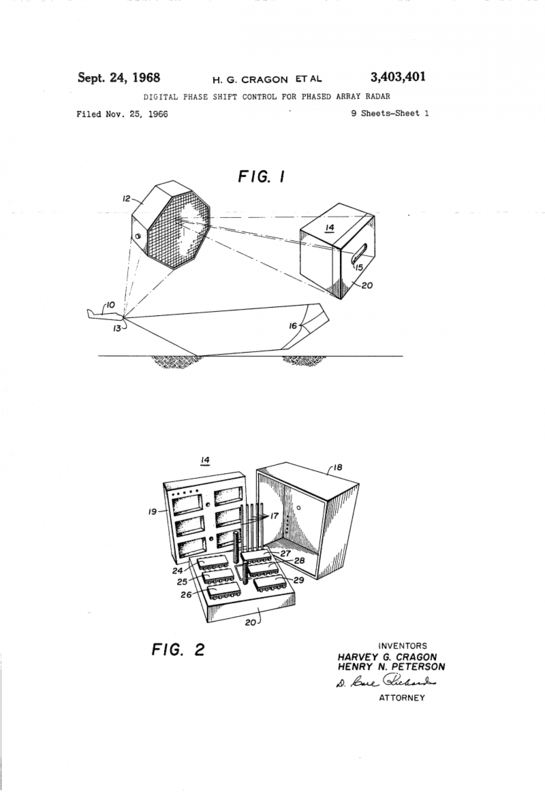 With this invention, the radar may be operated in any one of the above modes or in several of such modes on a time-sharing basis. Airborne radar systems inherently have a problem of generating high power microwave energy and processing the transmitted and received signals while maintaining high reliability and minimum weight. Major reliability problems in radars have been concerned with components such as rotary joints, servomotors for the antennas, and the like. 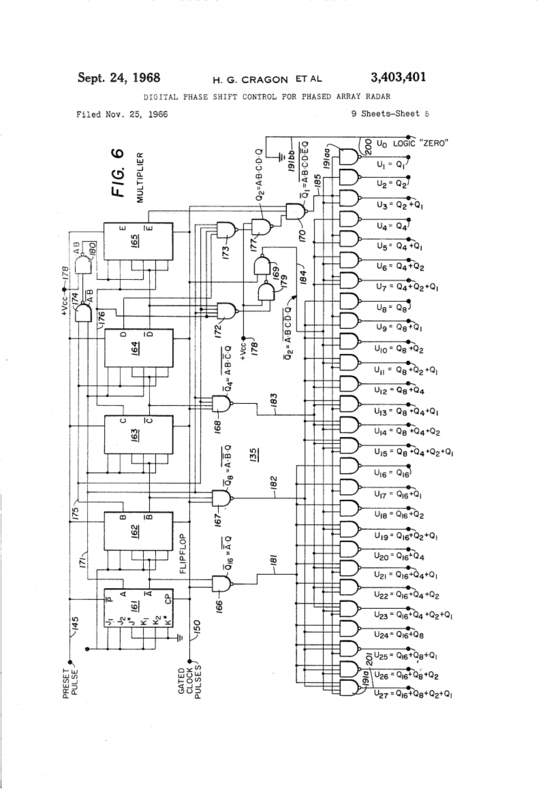 Restrictions imposed by such components on reliability exist in the most contemporary transistorized radars. 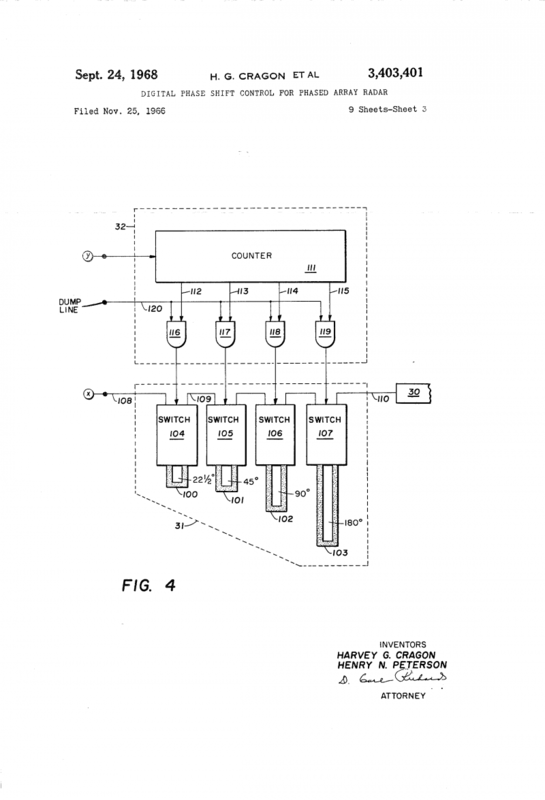 Further, the use of magnetrons for transmitting, klystrons for local oscillator service, and use of high power transmit-receive (TR) protection devices, all have been found to restrict the reliability of the system. 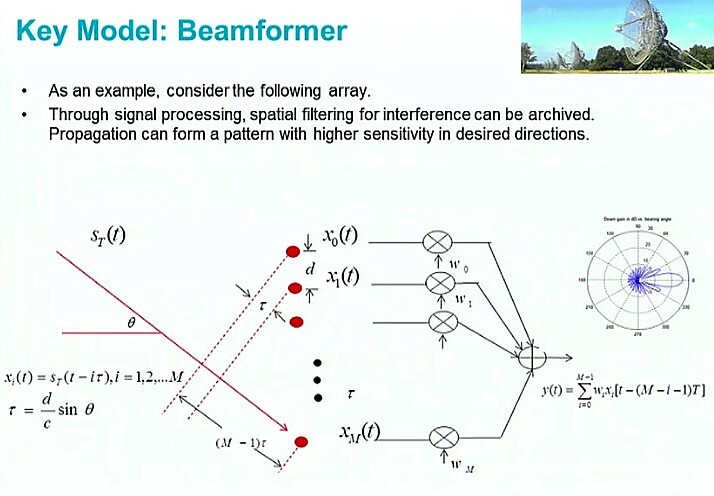 The present invention is directed to an improved radar which may employ solid-state circuitry so constructed that major obstacles heretofore encountered in the development of solid-state radar may be overcome. 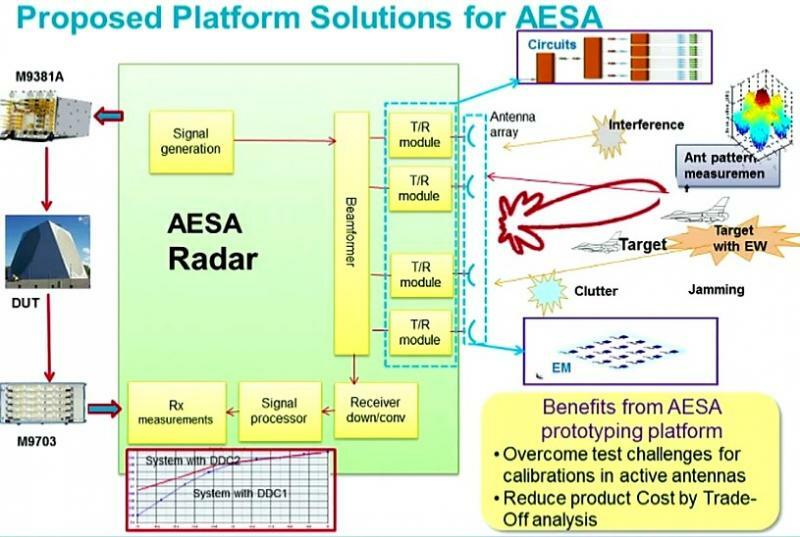 A solidstate functional electronic module has been developed for construction of a modular antenna array responsive to beam steering control disclosed in application Ser. No. 397,491 of Harry E. Cooke, et al., filed Sept. 18, 1964, now abandoned in favor of continuation application. (g) 'means operative following application of said clock pulses to said first counter for actuating said switch means to vary the effective lengths of said delay means in dependence upon the counts in their respective separate counters preparatory to transmission of signals through said elements. 2. The combination set forth in claim 1 in which said first counter is a binary rate counter. 3. The system of claim 1 wherein modulo-360 generators are included in each output of said first counter. 4. 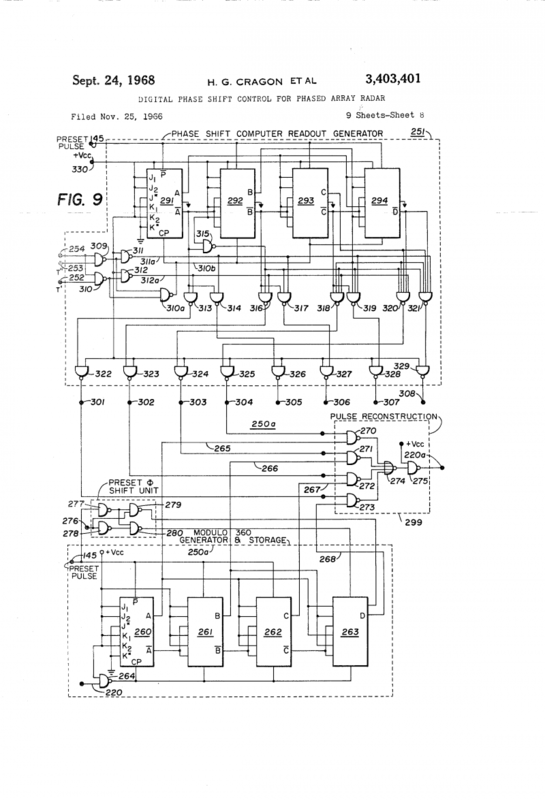 The system of claim 3 wherein each modulo-360 generator includes means to introduce a present count therein with selected reset pulses applied thereto. (h) circuit means for sequentially transmitting pulses from the outputs of said first and second counters to said switching counters with correspondence between the locations of the modules in said antenna and the positions of the outputs of said first and second counters to actuate said switch means to vary the electrical lengths of said delay means in dependence upon the count in their respective counters preparatory to transmission of radar signals therethrough. (i) means operative following application of said clock pulses to said first and second counters to actuate said switch means to vary the electrical lengths of 13 said delay means in dependence upon the count in their respective counters preparatory to transmission of radar signals therethrough. (e) adjusting the electrical length of the radar path leading to each element in response to the sum of pulses in pairs of different trains of said secondary pulses where one train of each pair is derived from said first set and the other from said second set. 8. The method according to claim 7 wherein said first and second trains of pulses are produced simultaneously and wherein said first and second sets are employed sequentially. 9. The method according to claim 7 wherein said first and second sets of pulses are each connected to modulo- 360 and are thereafter sequentially applied to each said element. (f) circuit means for transmitting pulses from the output of said counter to said means for varying with correspondence between the locations of elements in said line and the positions of outputs of said counter to vary the eliective lengths of said delay means. 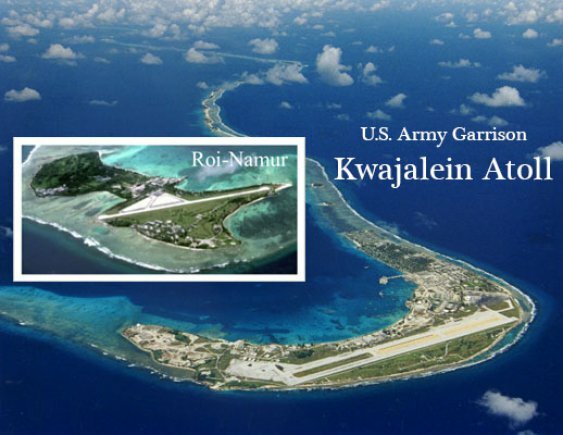 Construction is underway on Kwajalein Atoll in the Marshall Islands to build Space Fence, a sophisticated system that will dramatically improve the way the U.S. Air Force identifies and tracks objects in space. The new system’s initial operational capability is scheduled for 2018. 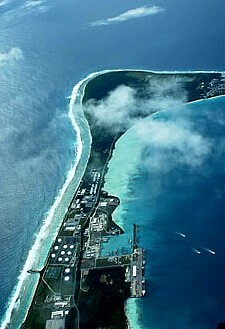 Below is an aerial view of the U.S. Air Fence under construction on Kwajalein Atoll in the Marshall Island. The flexibility and sensitivity of the system will provide coverage of deep space geosynchronous orbits while maintaining the survellance fence. Pic: Lockheed Martin. With critical design review completed, the Space Fence team is focused on production of technology that will bring the system online. Space Fence will use Gallium Nitride (GaN) powered S-band ground-based radars to provide the Air Force with uncued detection, tracking and accurate measurement of space objects, primarily in low-earth orbit. Lockheed Martin engineers and U.S.
Air Force personnel are testing and training on a scaled-down version of the system in Moorestown NJ known as the Integration test Bed. 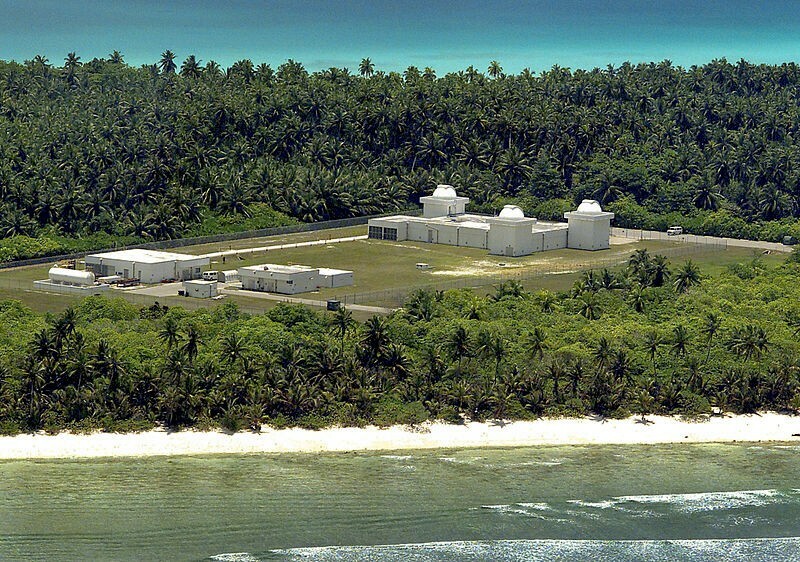 The ITB provides the operational context to integrate and test end-item hardware and software prior to installation in the new Space Fence facility on Kwajalein. The FPS-85 has been described as the workhorse of the SSN, and is the largest, most sensitive and most important for space surveillance purposes of the SSN’s LPARs. It is one of the three dedicated radar sensors in the SSN the others are the Air Force Fence and the GLOBUS II dish antenna radar in Norway. The radar is located in Eglin, Florida and thus sometimes referred to as the Eglin Radar at about 30.6° N (30.57N, 86.22 E) and points directly south. 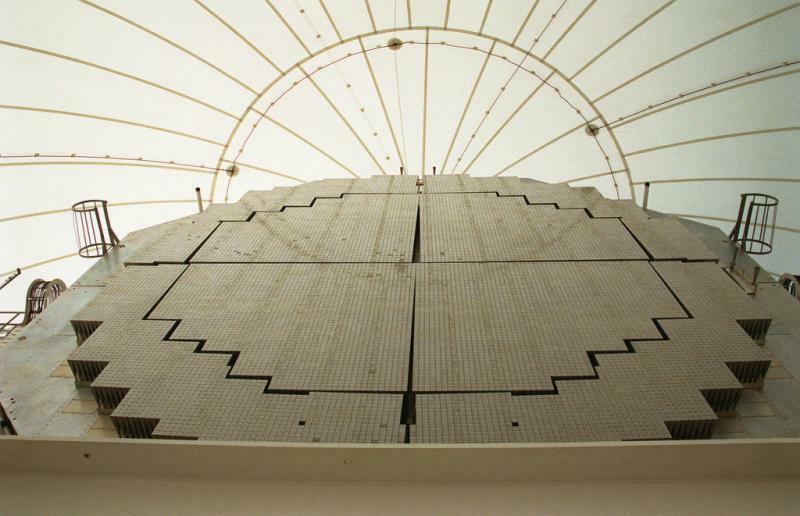 The FPS-85 was the world’s first large phased-array radar. 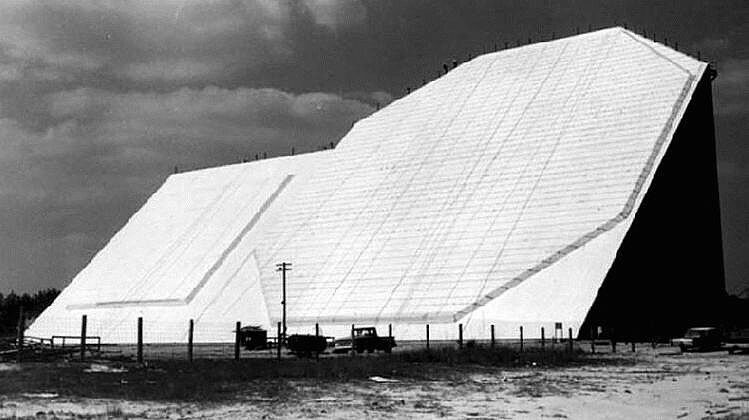 Its construction began in 1962, but it was destroyed by fire in 1965 before becoming fully operational. 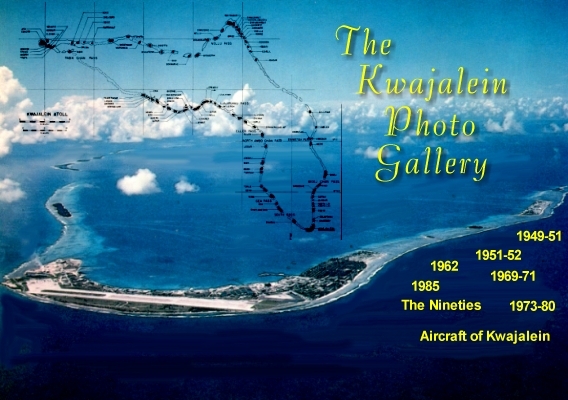 It was rebuilt and began operations in 1969. 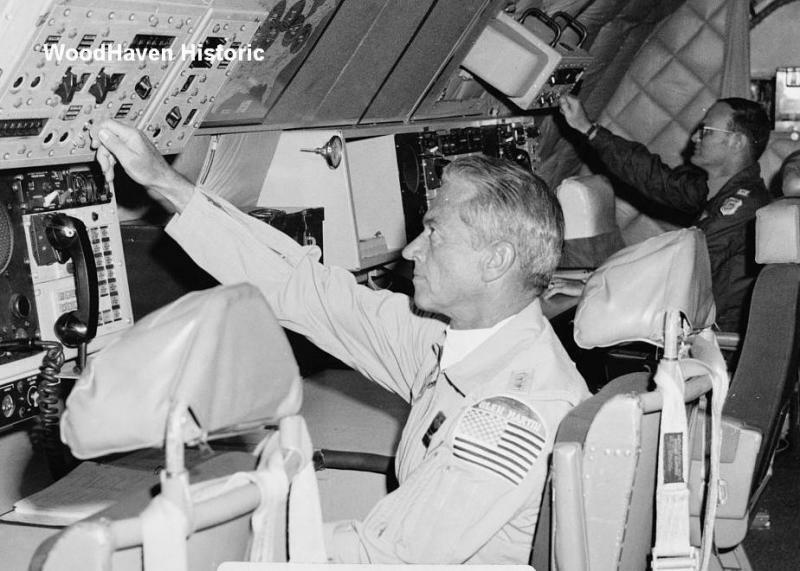 The radar was originally intended only for space surveillance, but in 1975 it was also assigned a submarine-launched ballistic missile warning mission. 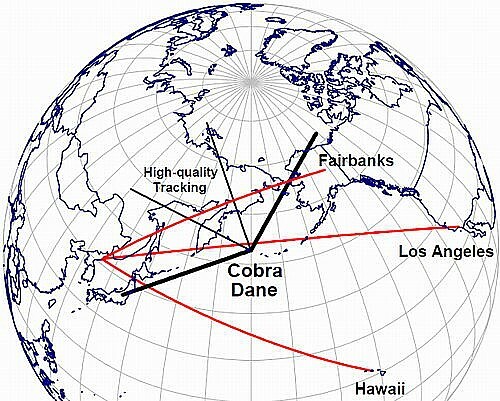 In 1987, corre- sponding to the activation of two south-facing PAVE PAWS early warning radars in Georgia and Texas both since deactivated, it returned to full-time space surveillance. The FPS-85 has separate receive and transmit antennas contained within the same building, with boresites pointing due south at a 45º elevations. It can scan ±60˚ in azimuth and from the horizon to 15˚ beyond zenith in elevation. 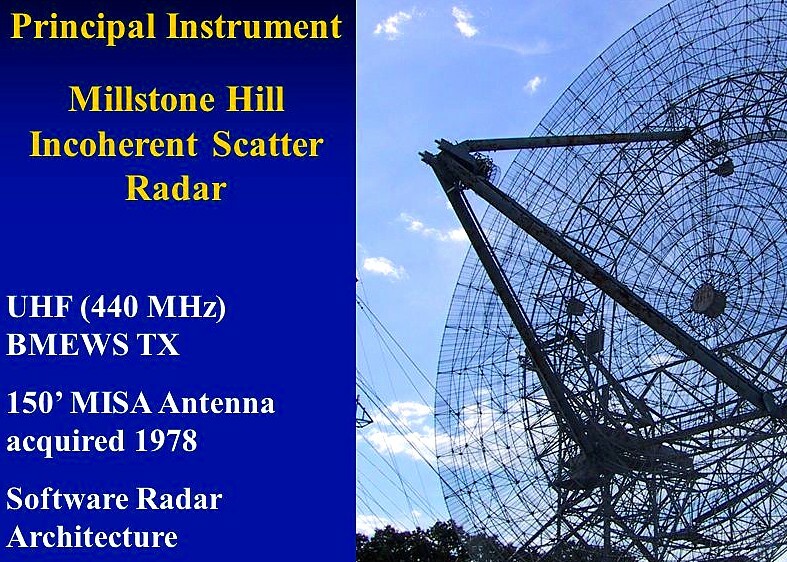 It was built with two separate antennas because at the time of its construction it was less costly to do this than building a single transmit/receive antenna. 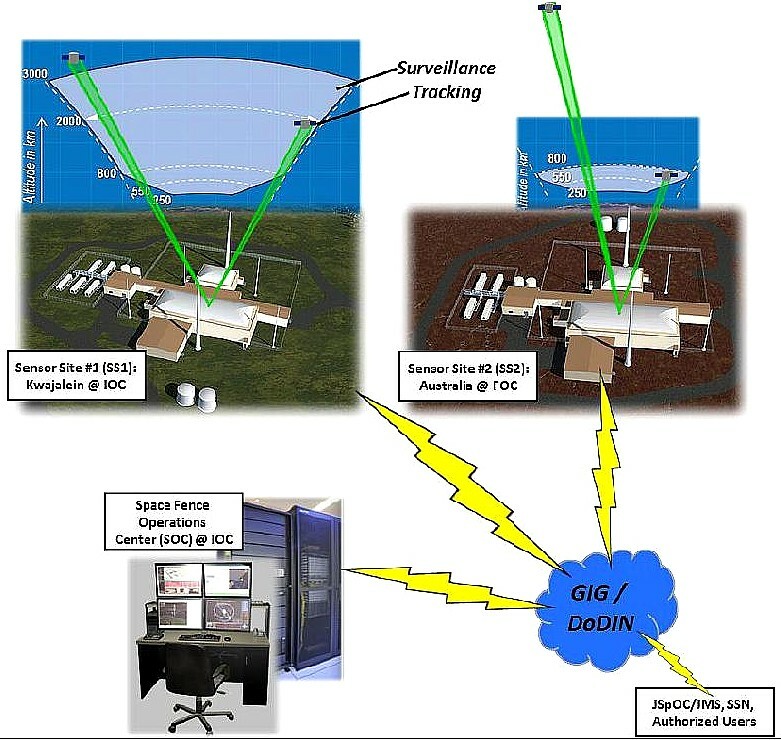 This choice also facilitated simultaneously obtaining multiple narrow receive beams for more precise tracking and a broader transmit beam more suitable for surveillance. 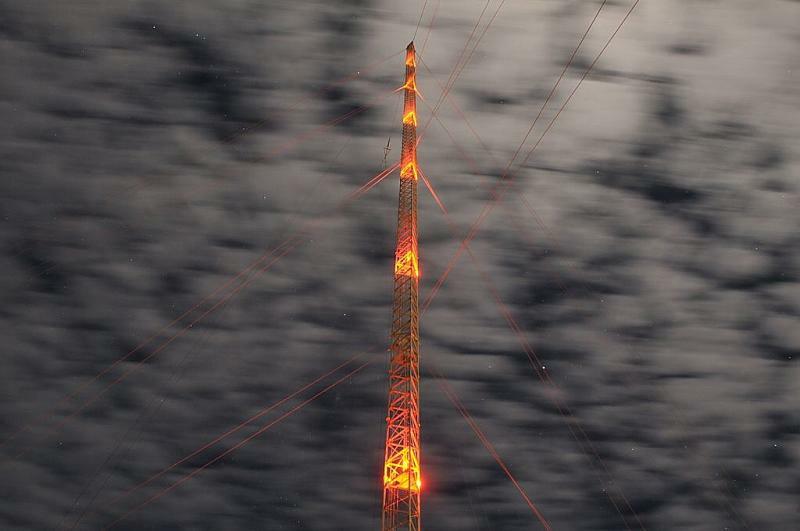 The transmitter is a 72×72 rectangular array, with 5,184 transmit modules with 0.55 λ spacing. 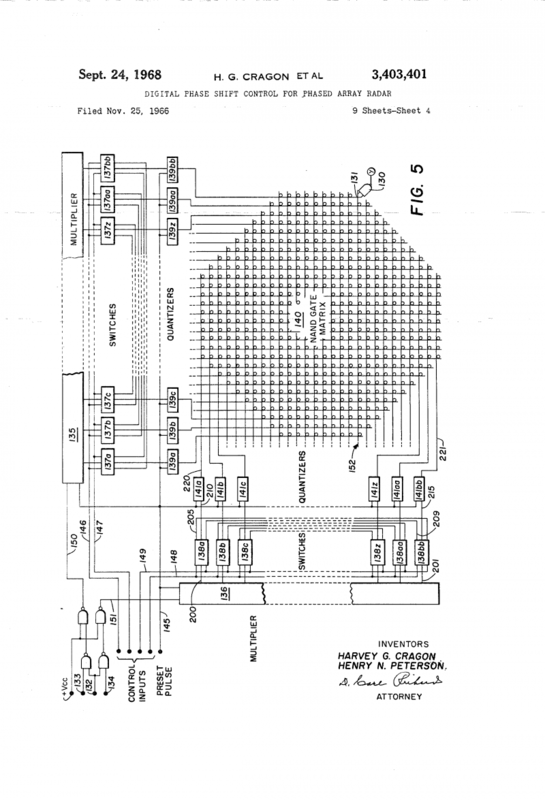 Its center frequency is 442 MHz, with a 10 MHz bandwidth. Its wavelength is thus about 0.68 m, and the antenna’s diameter is about 26.9 m with an area of 724 m2. The transmit antenna is uniformly illuminated and has a 1.4 degree beam width for comparison, λ/D = 0.68/27 = 1.44 degrees. Each of the 5,184 transmitter element is rated for a peak power of 10 kW and a 0.5% duty cycle. These give an array peak power of 52 MW and an average power of 260 kW. However, according to a 1994 paper the average power of individual elements individual elements varied from 2.5 to 10 W, with an average of about 6 W. This is consistent with a number of sources that give the radar’s peak power as about 30-35 MW. 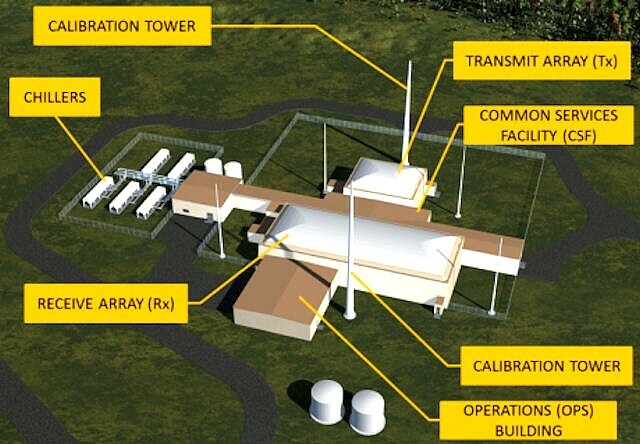 Assuming a peak power of 35 MW, the radar’s average power would then be about 175 kW. The receive antenna is a tapered array with a diameter of 58 m containing 19,500 crossed dipole elements on a square grid, forming a circular aperture 152 elements in diameter. There are 4660 active receive modules. Its receive beam width is 0.8º (in comparison, 0.68/58 = 0.0117 = 0.67 degrees). It receives using a 3×3 cluster of receive beams, with a 0.4º spacing, giving a 1 db crossover and thus a low beam-shape loss. The combined beam width is therefore 0.4+0.8+0.4 = 1.6º. All nine receive beams are used in search, but only five in track. The FPS-85 operates in time blocks called resource periods, each of which is 50 ms long. 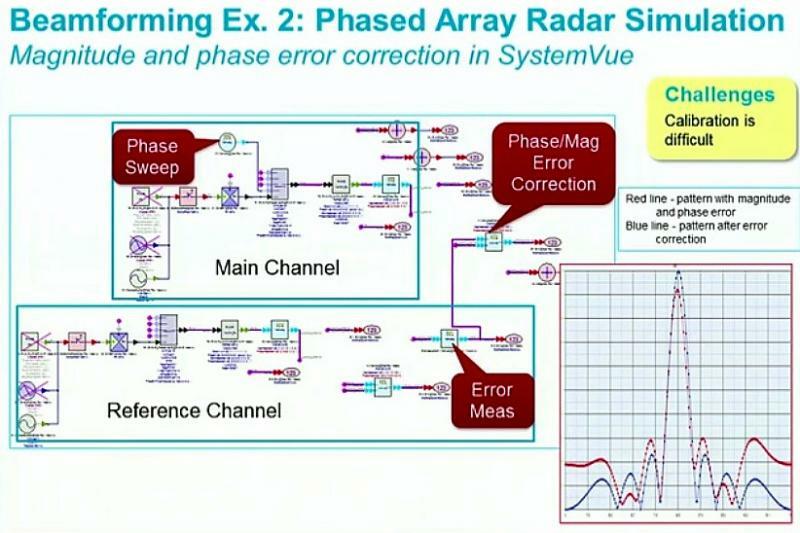 During a resource period, the radar can transmit up to eight pulses for a maximum total transmit time of 250 μs (corresponding to duty cycle of 0.5%). Pulse lengths are 1, 5, 10, 25, 125, and 250 μs. Its maximum bandwidth is 10 MHz. The pulse compression used to obtain greater better range resolution ratio may be as large as 1,600. In its long-range surveillance mode, it emits a single 250 μs frequency-modulated compressed pulse every 50 ms. The FPS-85 initially conducted surveillance using several different radar fences. 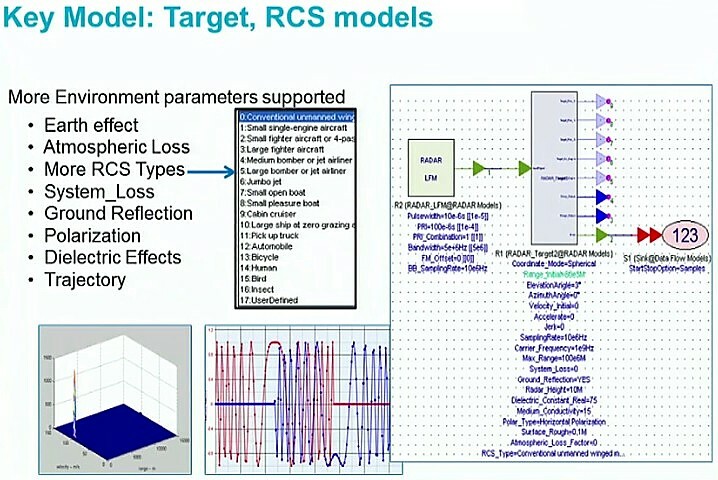 A 1994 software upgrade left the FPS-85 with only relatively low-elevation radar fences, as the software needed for a higher-elevation fence intended for detecting lower RCS space objects was not funded. 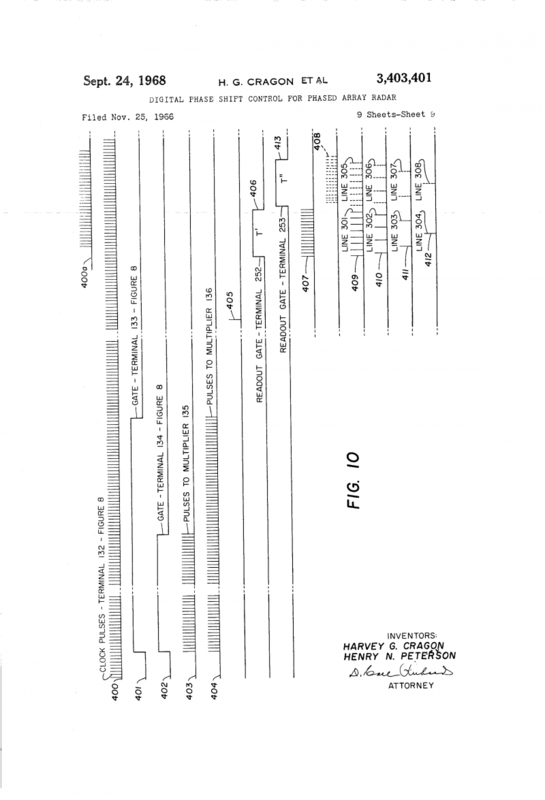 Figure 1 below shows a fence described as the existing SPACETRACK fence in a 1996 paper. This fence begins at an azimuth of 142˚ at an elevation of 15˚, reaches an elevation of 23˚ at 180˚ degrees azimuth along the boresite direction and continues on to an azimuth of 218˚ at an elevation angle of 15˚. This total azimuth extent of 76˚ used 76 beam positions. An additional 24 beam positions were used to extend coverage directly down to an elevation angle of 3˚ at each end of the fence. A 2004 report describes a previously existing fence, the S-1 fence, as scanning between the same endpoints, but reaching a maximum elevation angle of 25˚, as shown in figure 2 below. Another source describes a low-elevation fence which was not leak-proof for all altitudes and elevations with a peak elevation of about 23˚ extending 120˚ in azimuth, dipping down to the horizon at its ends. 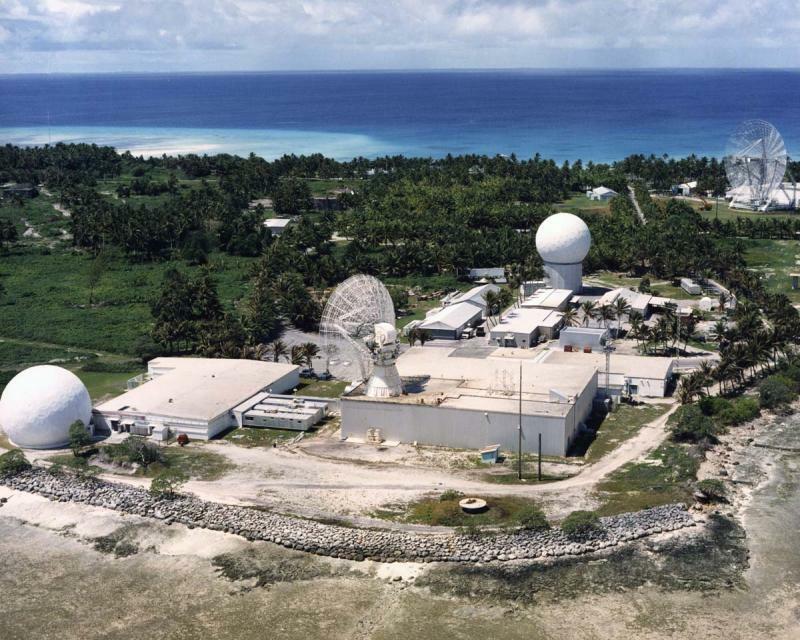 In 1999, the radar’s software was upgraded to provide a higher-elevation fence. This new “debris” fence was scanned at a maximum of about 35˚ in elevation and ±25˚ degrees in azi-muth from the radar’s due south azimuth boresite. 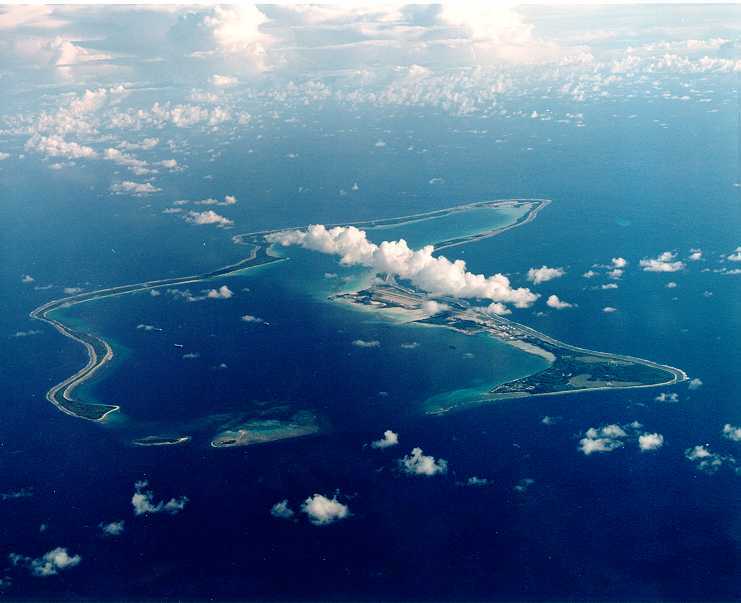 Following tests May 2000, this new debris fence was apparently put into operation, although at the time it was expected that it would be operated in a “background” mode, that is, only when time was left over from its normal space surveillance tasks. However, another source indicates that the FPS-85 was using a 35˚ elevation fence with a length of ±40* for detecting low-earth orbit objects as early as 1997. 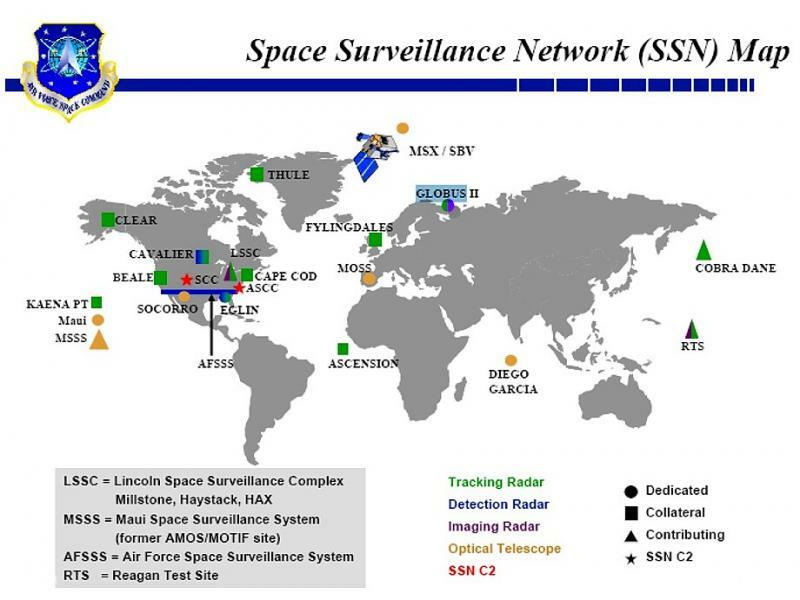 The Space Surveillance Network (SSN) is made up of sensors, communications links, proces sing centers, and data distribution channels. The sensors are a conglomeration of capabil- ities mostly derived from and shared by other missions. Few of the sensors were developed for the express purpose of conducting space surveillance. 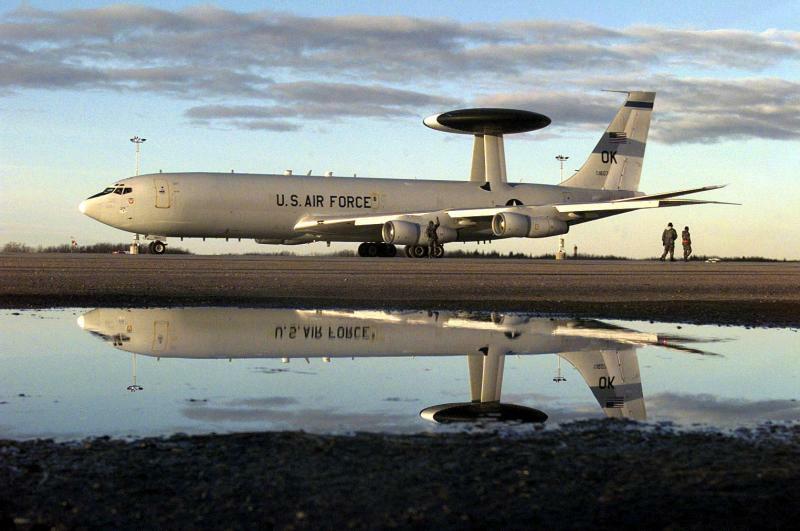 The Air Force has recognized that providing warfighters with effective Space Situational Awareness (SSA) requires a coordi-nated architecture-based approach to establishing and maintaining sensor capabilities. Air Force Space Command (AFSPC) has established pro-grams to acquire new capabilities such asSpace Based Space Surveillance (SBSS) and Space Fence, has partnered with other agen-cies to acquire the first Space Surveillance Telescope (SST), and has begun to modernize legacy capabilities such as the Eglin FPS-85 radar, the Haystack radar, the GLOBUS II radar, and the Ground-based Electro-Optical Deep Space Surveillance (GEODSS) system. The Air Force has also recognized that protection of space systems must become a priority, and has established a program to do this through Self Awareness Space Situational Awareness (SASSA). Space Based Space Surveillance The first SBSS satellite is expected to launch into a sun-synchronous low-Earth orbit in October 2009. The satellite was built by a team made up of Boeing (prime) and Ball Aerospace (space vehicle). The development and production contract provides for satellite design, fabrication, delivery, and launch, as well as ground station delivery and post-launch support. Launch will be on a Minotaur IV from Vandenberg AFB. The satellite is ready for launch. The mission of SBSS is timely detection, identification, and tracking of resident space objects (RSOs). SBSS will track objects primarily in deep space (orbital period greater than 225 minutes). However, SBSS will also have the capability to track objects with shorter periods, illumination permitting. SBSS will provide position, man-euver setection, and space object identification data to the Joint Space Operations Center (JSpOC) and the Alternate Space Control Center (ASCC). The SBSS payload consists of a visible sensor assembly, a gimbal, and payload deck electronics. 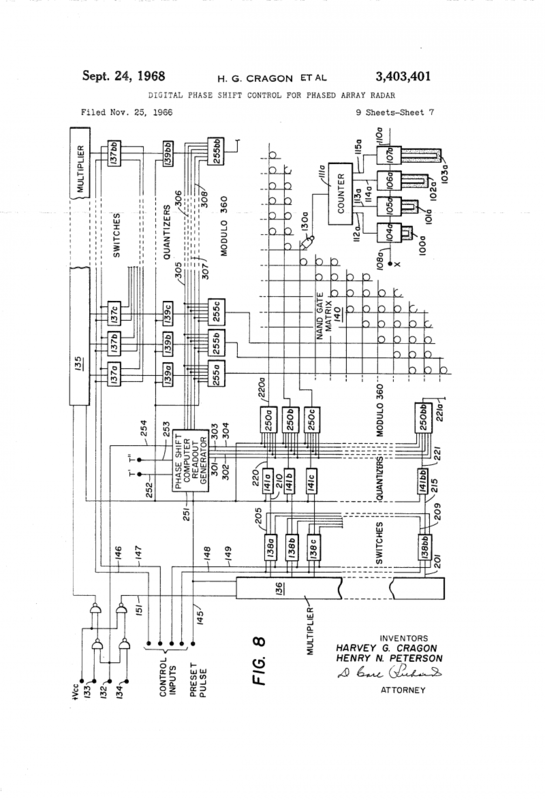 • Electrical harness for interface with payload electronics. • Electrical harness for interface with visible sensor assembly, gimbal, and bus Space Survei-llance Telescope SST is a ground-based system using the latest in optical technology to in-crease SSA capability. The SST program is a DARPA technology demonstration providing a 3.5 meter f/1.0 tele-scope. SST has the potential to become an Air Force Space Command AFSPC dedicated sensor pending successful outcome of a demonstration in 2011- 2012. MIT Lincoln Laboratory is providing program management, integration, supervision of facility construction, and the telescope camera. L-3 Integrated Optical Systems is building the telescope. The telescope achieved first light in February 2011. 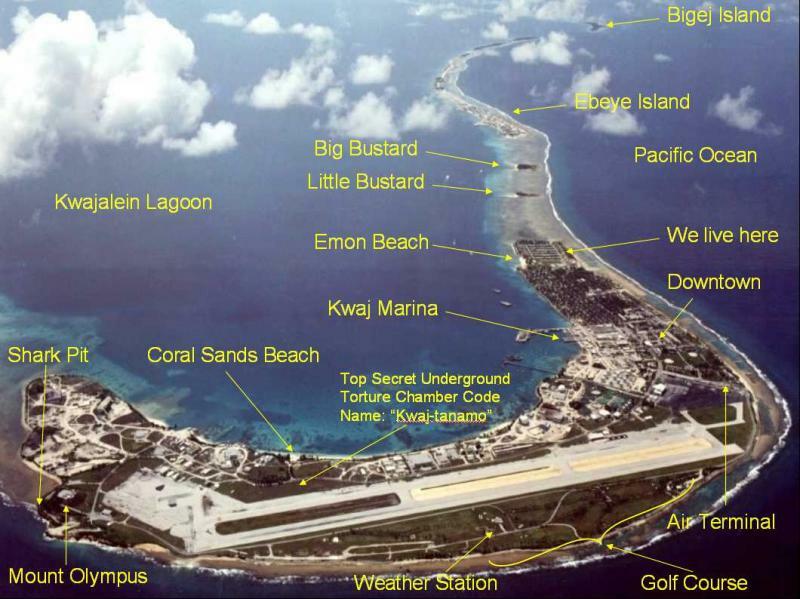 In 2013, the U.S. Secretary of Defense and Australian Minister of Defence signed an MOU agreeing to relocate the Space Surveillance Telescope from the White Sands Missile Range in New Mexico to Harold E. Holt Naval Communication Station in Western Australia. The SST will detect small objects in deep space, and provide a rapid, wide-area search capa-bility, significantly increasing optical surveillance capacity. The tele-scope is designed to find, fix, track, and characterize faint objects. It will be more sensitive than GEODSS. SST will be the first large telescope to employ a curved CCD focal plane array. It is the most dynamically agile telescope of its size ever built. It provides the first major technology push for deep space surveillance in over three decades. 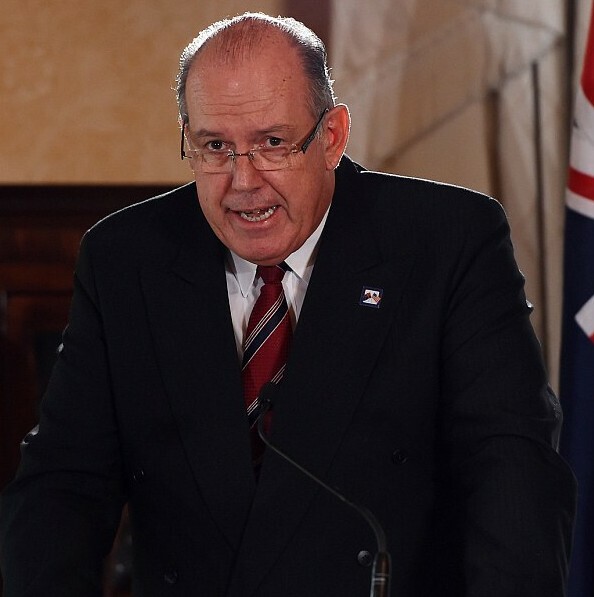 ﻿The Defence Minister says a new telescope planned for Western Australia will not be used to spy on other countries, even though it will have the capability to do so. 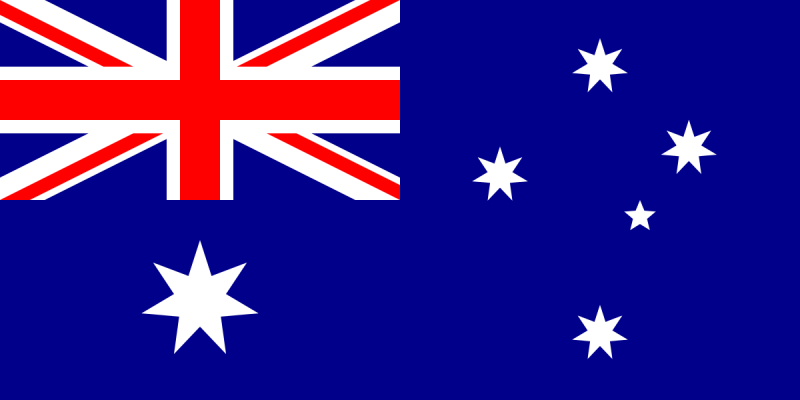 The powerful device will be built in Exmouth as part of an agreement between Australia and the United States. 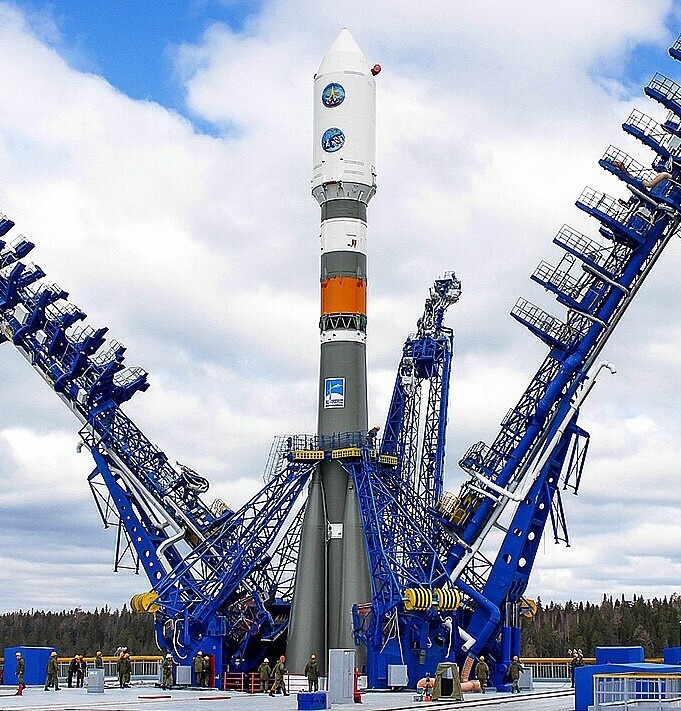 It will contribute to the US global Space Surveillance Network, which provides warnings to all satellite operators of potential collisions with other satel-lites or debris. 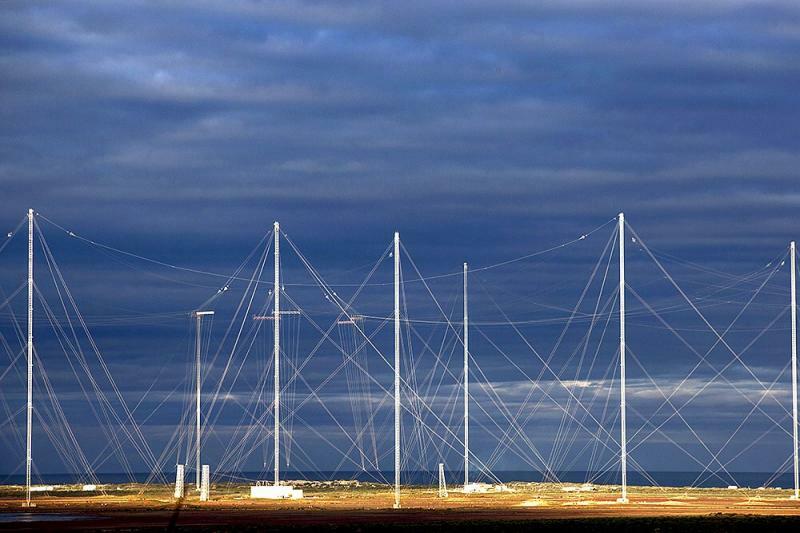 A US Navy communication station already exists in the town, in West Australia's north-west. The construction costs of the telescope will be shared and it will be located at the Harold Holt naval communications facility. Defence Minister David Johnston says the telescope will focus on protecting satellites from space junk and will be operating in 2016. "The US indicated they needed some southern hemisphere coverage," he told AM. "They came to us and we said 'well, why don't we put it at Exmouth? "And they said 'that's a good idea'. And here we are. Below is transcript of the radio talk with Defense Minister David Johnston. TONY EASTLEY: The small West Australian town of Exmouth will soon be home to a space surveillance telescope, the result of a highly sensitive United States and Australian defence agreement. While the telescope will track asteroids and space debris, the Australian Defence Minister insists it will not be used for spying, despite having the ability to do so. The telescope has been moved to the Harold Holt naval communications facility at Exmouth. 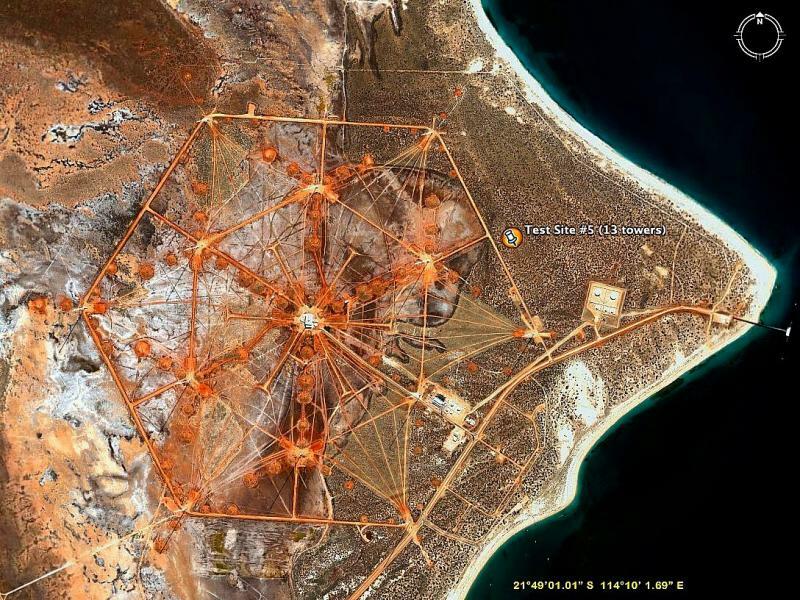 CAITLYN GRIBBIN: Exmouth, north of Perth, is best known for its US Navy communication station. Now, it's getting a space surveillance telescope. DAVID JOHNSTON: The US indicated they needed some southern hemisphere coverage. They came to us and we said well why don't we put it at Exmouth? And they said that's a good idea. And here we are. CAITLYN GRIBBIN: Senator Johnston and the US secretary of defence Chuck Hagel have signed a memorandum of understanding. The construction costs will be shared and the telescope, which will monitor space debris, will be operating in 2016. STEVEN TINGAY: What it does is transmit radio waves out into space. Those radio waves reflect off bits of space junk and the reflected waves are received by the telescope. And the telescope basically tracks the space junk, predicts its orbit and is there to try and help prevent collisions between the space junk and satellites. CAITLYN GRIBBIN: The telescope has the capacity to reach out over 36,000 kilometres. Senator Johnston says it's in the national interest to build the telescope in WA. DAVID JOHNSTON: We have a very large number of satellites that we use for communication purposes and you'd think it's really important that we assist the operators of those satellites to be able to steer around this space junk. CAITLYN GRIBBIN: Minister, when surveillance technology is spoken about, so too is its ability to facilitate spying. Do you have any concerns about that? DAVID JOHNSTON: No, I don't. I'm very much aware that this is for the general use of satellites that are largely civil in their output. CAITLYN GRIBBIN: Does the memorandum of understanding that you've signed with the US have a clause specifying that the telescope won't be used for spying purposes? DAVID JOHNSTON: I'm, I don't have the document in front of me. It was a very short document. It was about the surveillance of space debris. It doesn't look at Earth. It looks out from Earth into the outer atmosphere so that it's, you know, it's focused on things that are in the line of travel of satellites. STEVEN TINGAY: Obviously surveillance of all different types can use radar techniques and listening techniques. 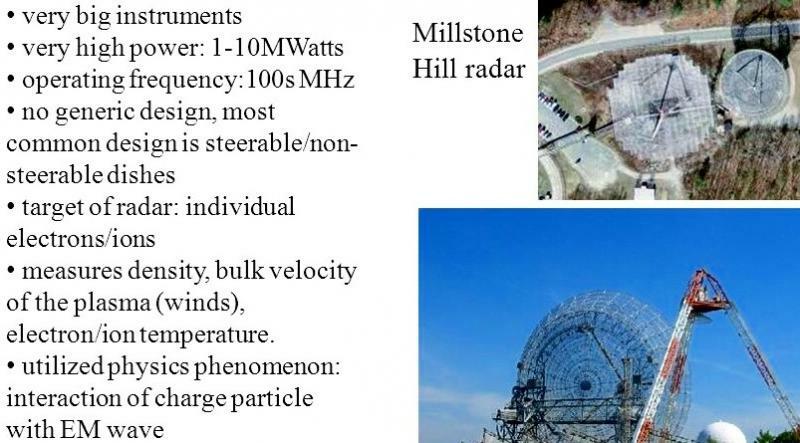 So broadly speaking, it's in the same class of instruments but its specific purpose is to do radar for space junk. CAITLYN GRIBBIN: The telescope will contribute to the US global Space Surveillance Network, which provides warnings to all satellite operators of potential collisions with other satellites or debris. View of the solar array, the U.S. Army's largest solar photovoltaic system, located at White Sands Missile Range, New Mexico, USA. GEODSS SLEP GEODSS is the key provider of deep space metric observations. 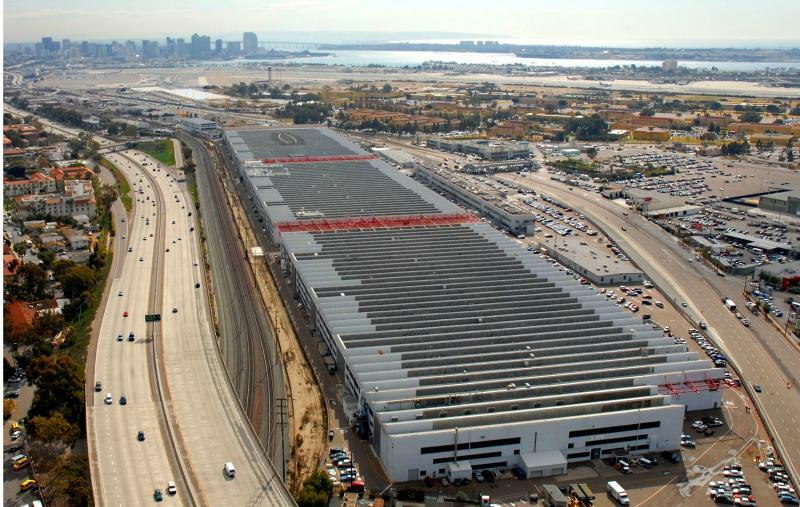 It produces 70% of all geosynchronous tracks and 50% of all deep space tracks. GEODSS tracks over 200 objects not tracked by any other sensor. The GEODSS SLEP funds replacement of aged and unsustainable Sensor Controller Group and Data Processing Group with modern compo-nents. Without the SLEP, GEODSS will soon experience degraded operations, and eventual mission failure. The FPS-85 routinely tracks 50-60 manned spaceflight objects that are not tracked by any other sensor, and 220-230 manned spaceflight objects that are tracked by at most one other sensor. 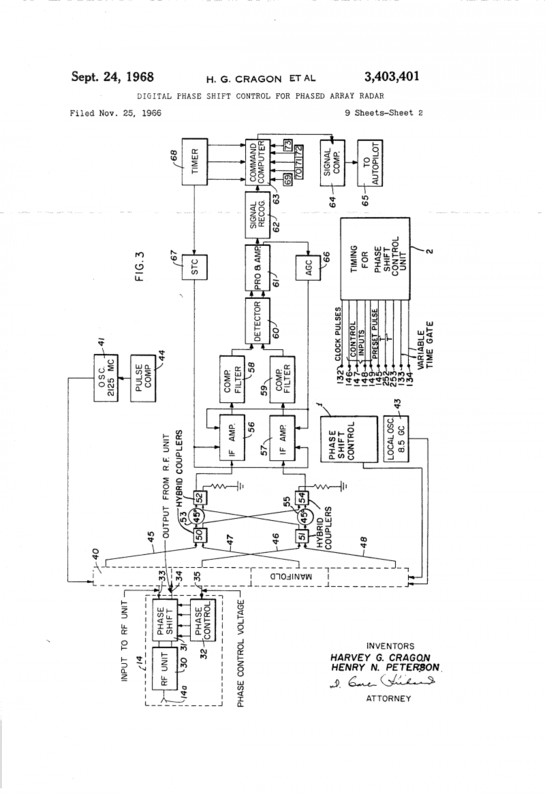 This makes the operation of the FPS-85 critical to the safety of manned space-flight. The SLEP will extend the operation of the radar until 2018 and will provide the ground work for future updates to the radar. 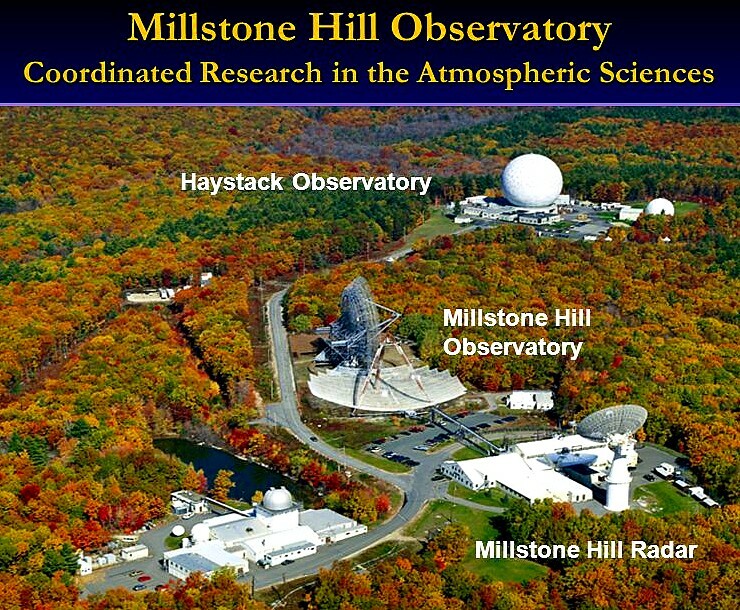 Haystack Ultra-Wideband Satellite Imaging Radar (HUSIR) The Haystack radar is a contribut-ing sensor operated by MIT Lincoln Laboratory, and provides imaging of nearEarth and deep space objects. Haystack operates today at X-band, with one GHz of bandwidth. The upgrade will add the capability to operate at W-band with eight MHz of bandwidth. This will enable finer characterization of satellites, and characterization of smaller satellites than possible today. Operation at W-band requires replacement of the current Haystack antenna. Because of this, Haystack will be down from operations from May 2010 until August 2011. A smaller antenna, which is being used to test the W-band RF components, is producing images and will be available for limited operations during this time. Space Fence The Space Fence program is a new acquisition that will produce three world-wide-dispersed radar sites. 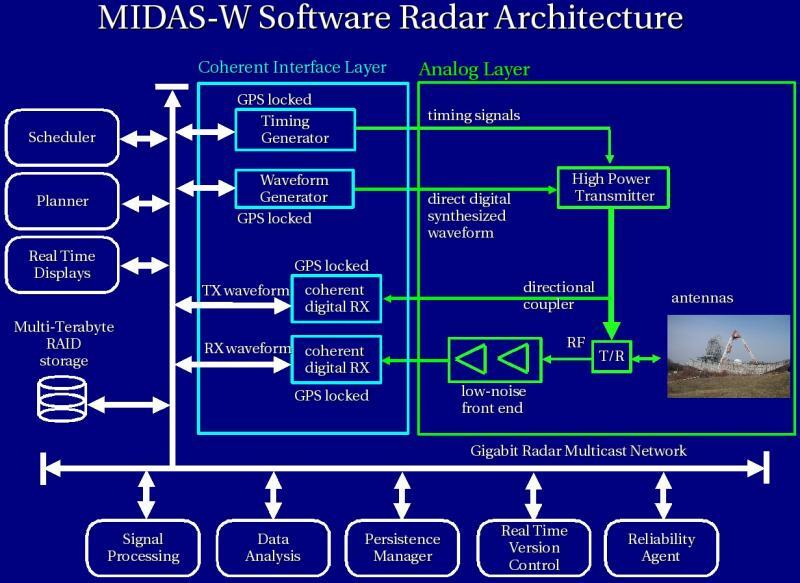 The radars will provide the ability to perform un-cued tracking of small objects at low and medium orbital altitudes. 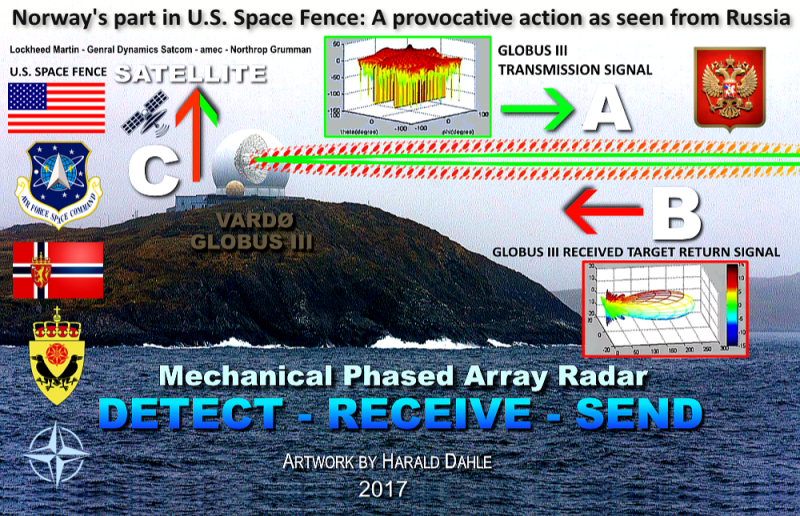 The Space Fence program was begun by the US Navy to replace the current VHF Fence radar system. 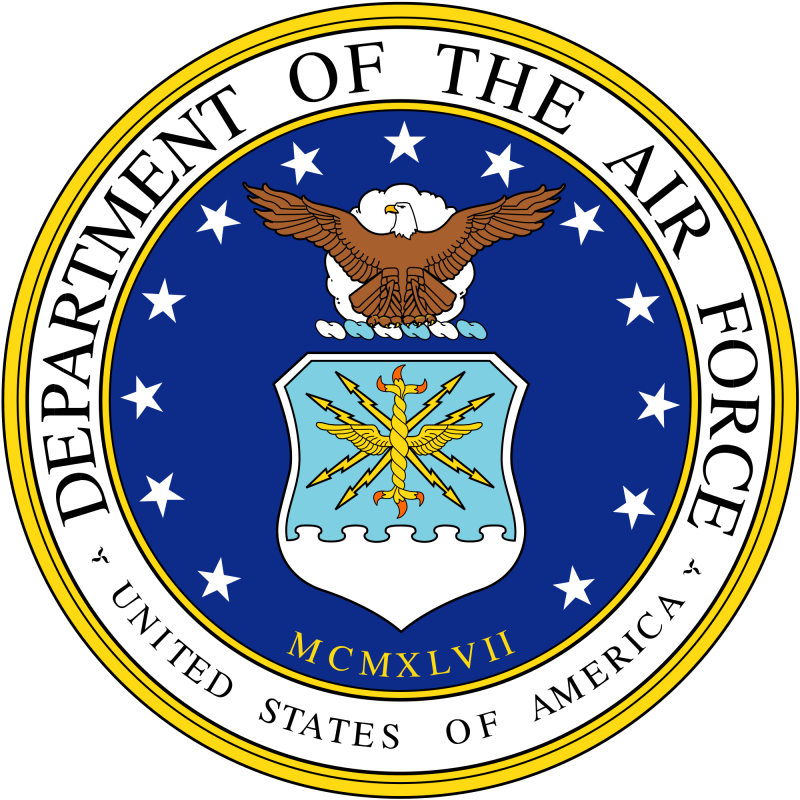 In 2003, the Navy transferred the program to the Air Force. 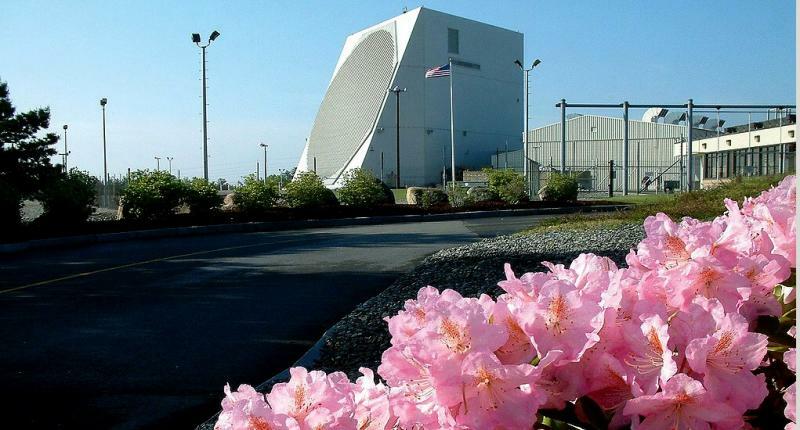 In the intervening years, the Air Force has refined the require-ments for the program to make the resulting radars more capable than a simple VHF Fence replacement. The program is in concept development, with an expected IOC for the first site of 2015. GLOBUS II SLEP The GLOBUS II radar is a dedicated sensor that provides metric tracking and imaging of near-Earth and deep space satellites. It provides the only all-weather, 24/7 space track capability covering 0-90 degrees east longitude. 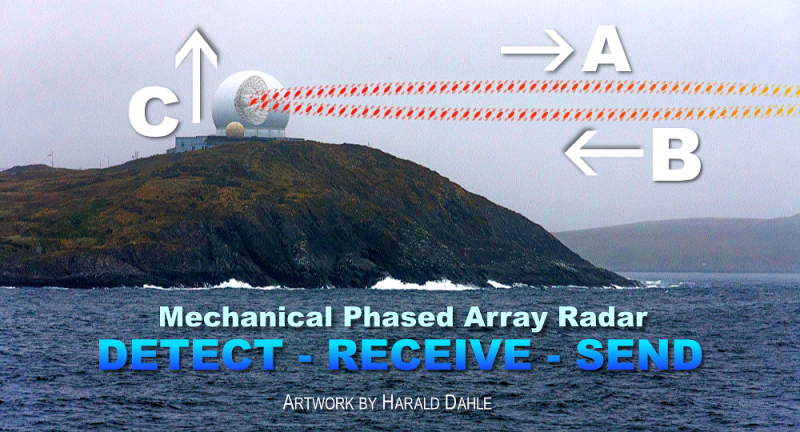 The radar is located in Vardo Norway. It is one of five wide-band imaging radars in the SSN. 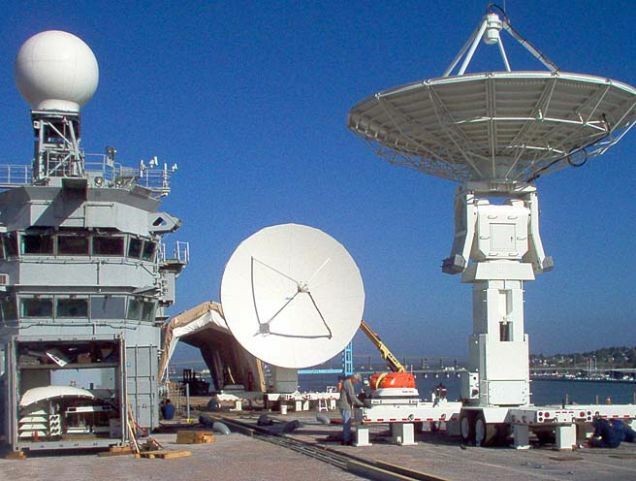 It provides the most accurate tracking of any space surveillance radar. 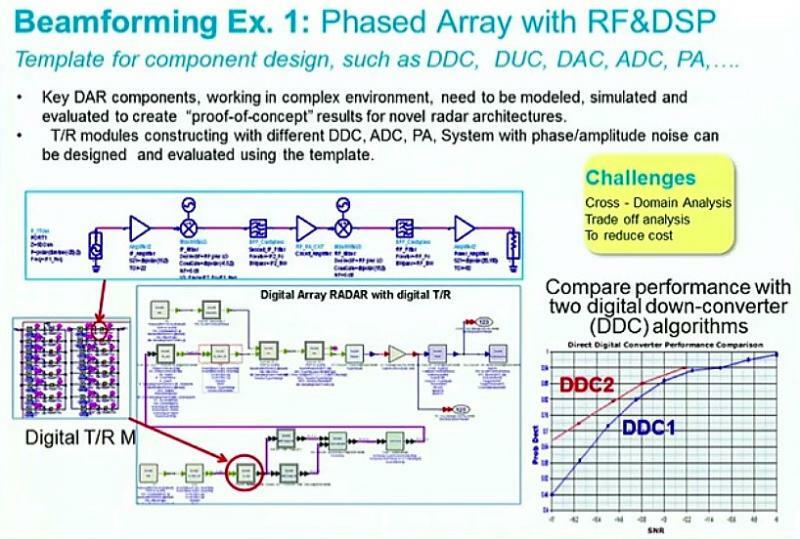 Radar development began in 1992. 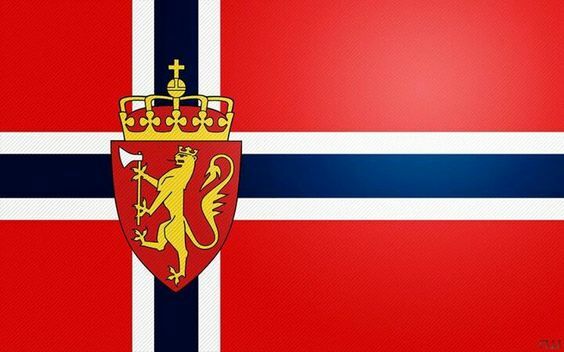 The radar was fielded in Norway in 2003, making it 11 years old at IOC. As a result, the radar’s reliability has been deteriorating since it was fielded. Extended down-times for emergency maintenance are expected in the 2010 time frame. 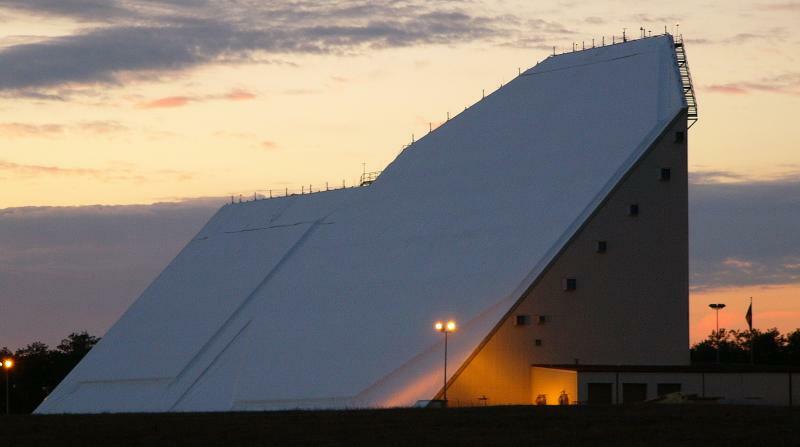 AFSPC will begin a SLEP in 2010 to extend the service life of the radar to 2030. Self-Awareness Space Situational Awareness (SASSA) US space systems are increasingly su-sceptible to a wide variety of threats. The US needs to provide effective protection for space systems. The first step in doing this is to provide effective tactical and strategic situ-ational awareness. The SASSA program will support this first step by providing a com-mon, stand-ards-based solution. 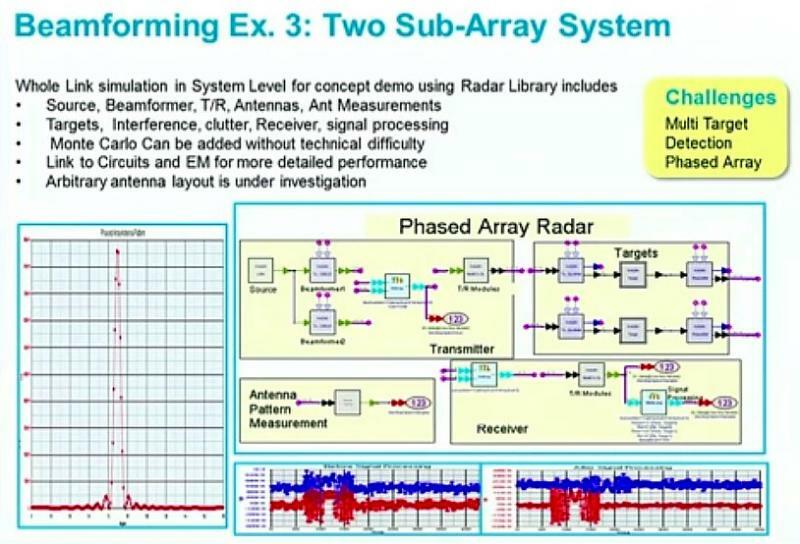 This is the most effective and efficient way to integrate a variety of sen-sors and other instruments on a broad set of satellites. SASSA will begin with a tech-nical demonstration and will proceed with methodical risk re-duction activities over the subsequent several years. SASSA I will be a prototype and techni-cal demonstration activity going through the 2013 time frame. It will produce an integrated set of flight hardware that will be operated on-orbit, providing a test bed to allow continued interface testing with new instruments. The interface specification will be developed to enable future technology investments. • Leave-behind test bed capability SASSA I is not intended to address the full spectrum of threats. Space Situational Awareness (SSA) is knowledge of all aspects of space related to ope-rations. 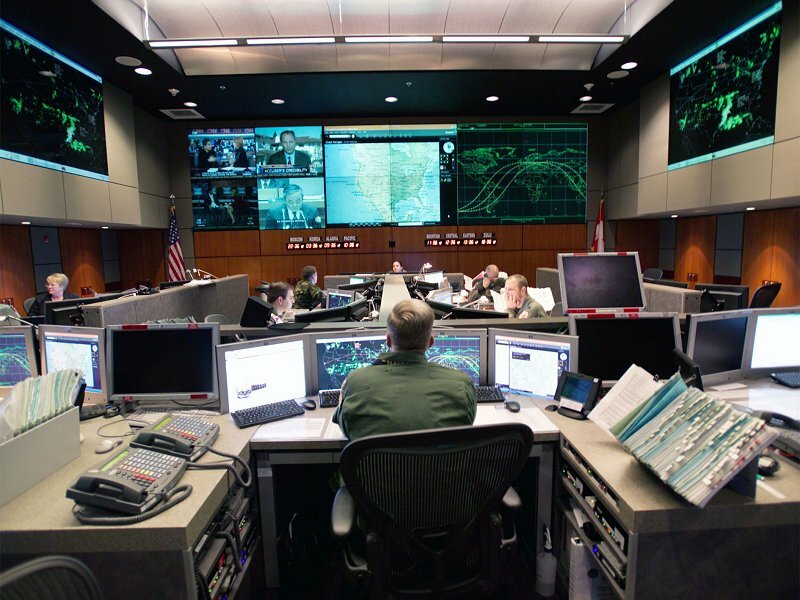 As the foundation for space control, SSA encompasses intelligence on adversary space operations; surveillance of all space objects and activities; detailed reconnaissance of specific space assets; monitoring space environmental conditions; monitoring cooperative space assets; and conducting integrated command, control, communications, processing, analysis, dissemination, and archiving activities. Program Element 0305940F, Space Situational Awareness Operations, fields, upgrades, operates and maintains Air Force sensors and information integration capabilities within the SSA network while companion program element 0604425F, Space Situation Awareness Systems, develops new network sensors and improved information integration capabilities across the network. Activities funded in the SSA Operations program element focus on surveillance of objects in earth orbit to aid tasks including satellite tracking; space object identification; tracking and cataloging; satellite attack warning; notification of satellite flyovers to U.S. forces; space treaty monitoring; and technical intelligence gathering. 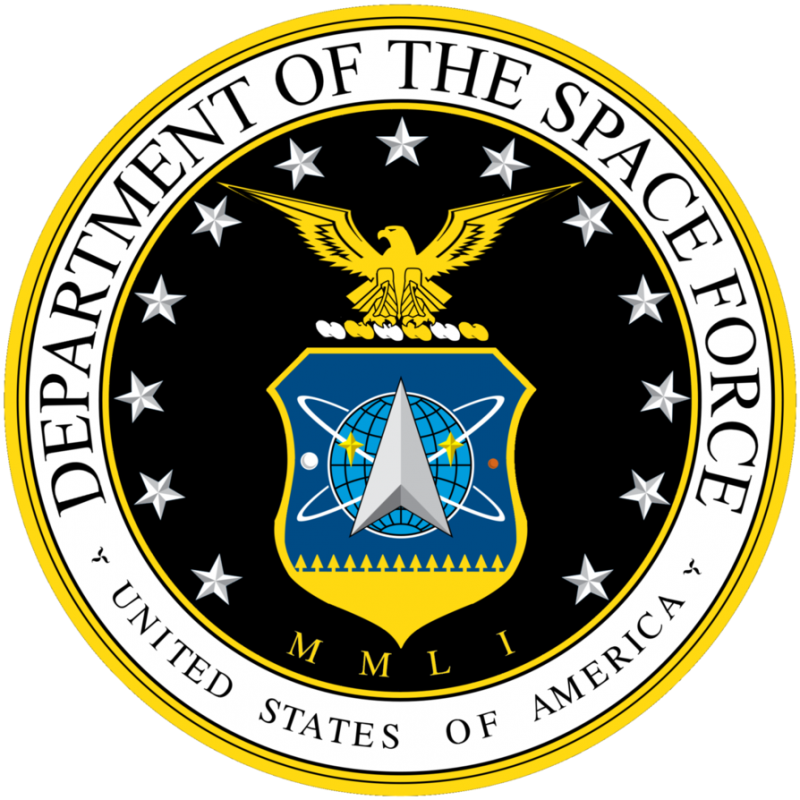 The Sensor Service Life Extension Programs (SLEPs)in this program element fund efforts to upgrade and extend the life of operational Space Situation Awareness (SSA) sensors, as needed. These SLEPs include, but are not limited to, programs that extend the serviceable life of assets and maintain critical capability by replacing aging and increasingly unsustain- able components with modern equipment. SLEPs may incorporate equipment which inher-ently includes technological advances resulting in enhanced or increased capabilities. 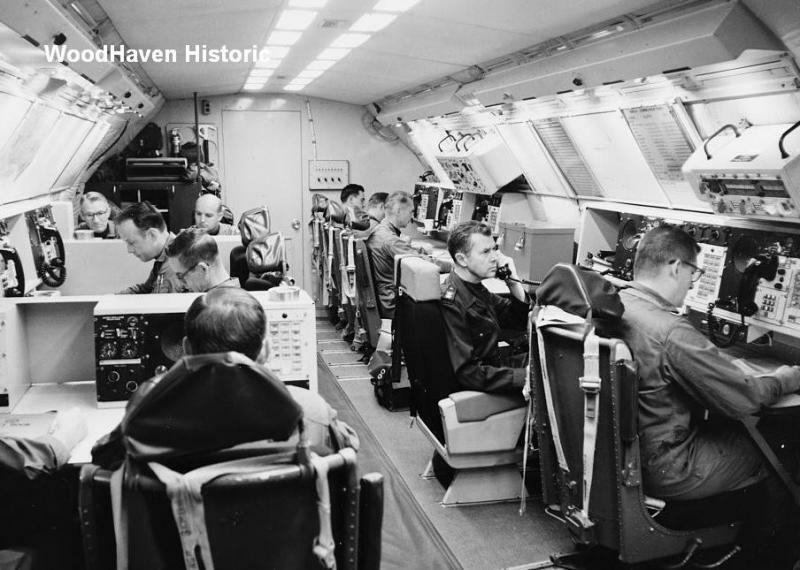 Originally known as HAVE STARE AN/FPS-129, the radar became operational in 1995 at Vandenberg Air Force base in California. 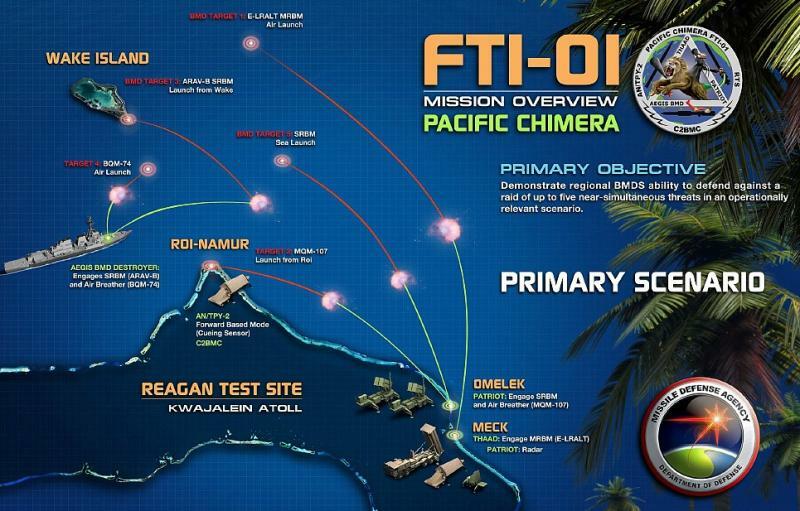 While there, it observed several intercontinental ballistic missile ICBM flight tests a as well as two non-intercept tests of the kill vehicle for U.S. national missile defense interceptor then under development IFT-1A and IFT-2. Beginning in late 1998, HAVE STARE was dismantled and moved to Vardo, and renamed Globus II and appears to have become operational in about 2003. 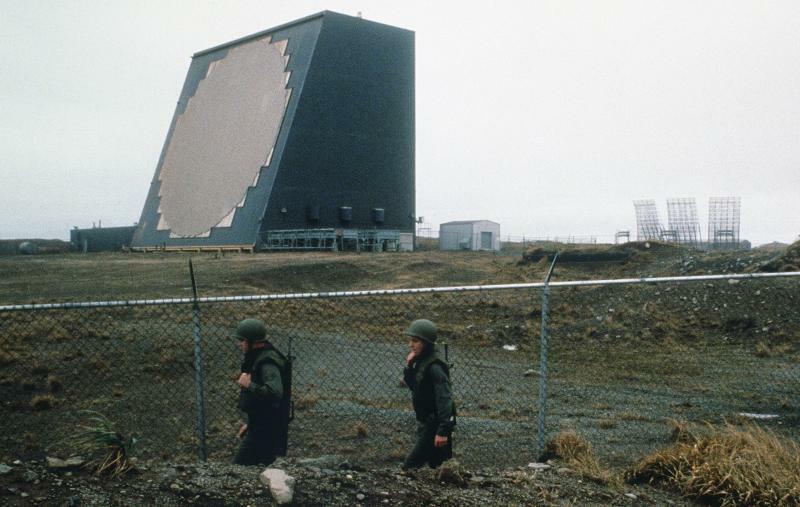 A radar named Globus, had been operated since the 1960s by Norway at Vardo, in cooperation with the U.S. Air Force, and was used to monitor Soviet and Russian ballistic missile flight tests. In January 2017 Russia was estimated to have 528 strategic launchers and about 1800 nuclear warheads. In its March 2017 New START data exchange Russia reported 523 deployed launchers with 1765 New START-accountable nuclear warheads. The Strategic Rocket Forces were estimated to have 286 operational missile systems that include missiles that can carry 958 warheads. These include 46 R-36M2, SS-18 missiles, 30 UR-100NUTTH (SS-19) missiles, 36 road-mobile Topol, SS-25 systems, 60 silo-based and 18 road-mobile Topol-M, SS-27 systems, and 96 RS-24 missiles. The Russian strategic fleet includes 12 operational strategic missile submarines with SLBMs, whose missiles can carry 176 missiles with 752 nuclear warheads. Five operational Project 667BDRM submarines are based in the Northern Fleet. 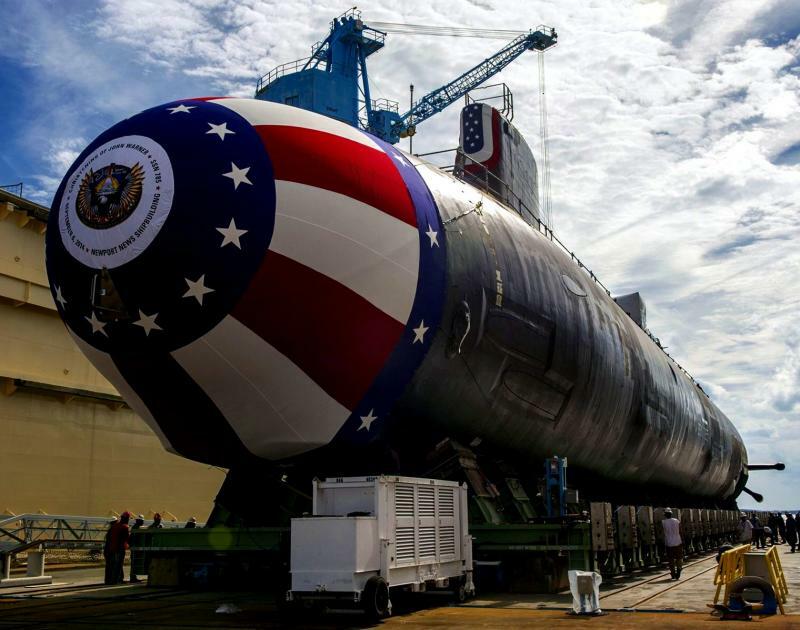 These submarines carry 80 R-29RM, SS-N-23 launchers. One Project 955 submarine with 16 Bulava SLBMs on board is also bas-ed in the Northern Fleet. 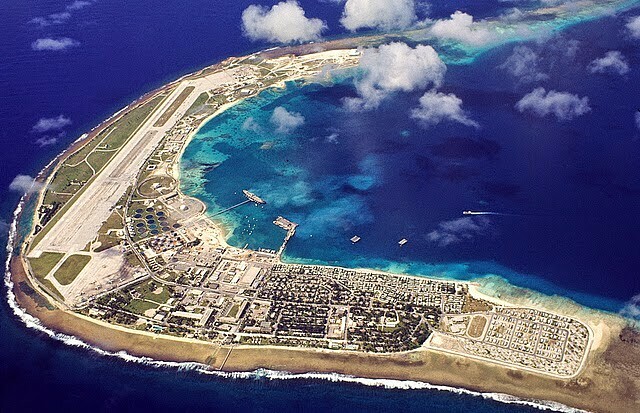 The only remaining Pacific Fleet base hosts three 667BDR (Delta III) submarines, which carry 48 R-29R, SS-N-18 missiles and two Project 955 submarines with 32 Bulava SLBMs. 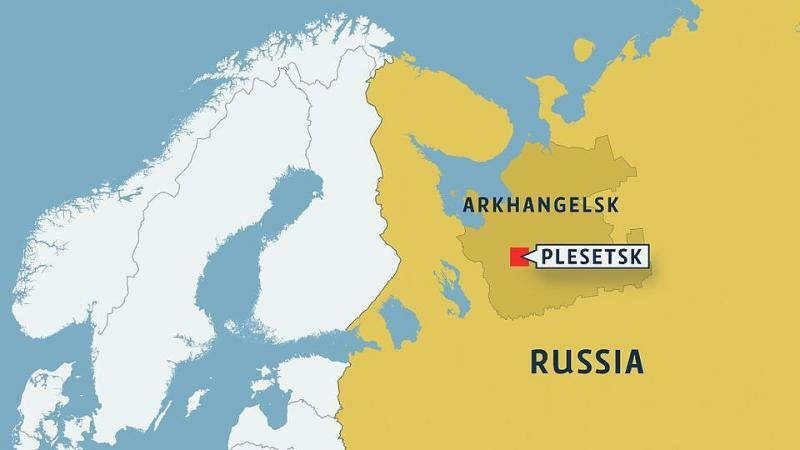 The early-warning satellites were transmitting information in real time to the Western command centers at Serpukhov-15, near Kurilovo, Kaluga oblast and Eastern center near Komsomolsk-on-Amur. The information is processed there and transmitted to the command center in Solnechnogorsk. The Moscow missile defense system A-135 is operated by a missile defense division. 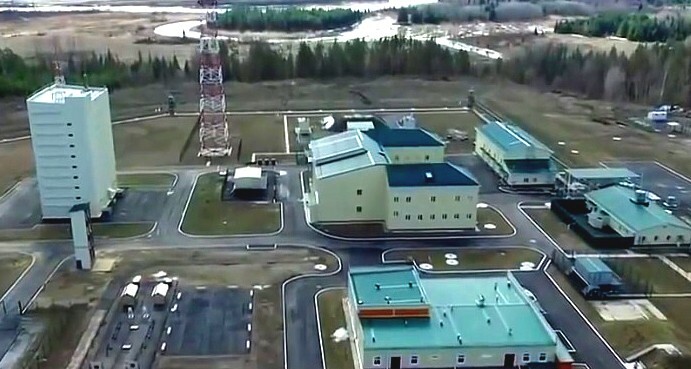 The main command center of the system and the battle-management radar are located in Sofri-no (Moscow oblast). The command center of the system and its radar are undergoing a soft- ware upgrade. The system includes the Don-2N battle-management phased-array radar, command center, and 68 short-range interceptors of the 53T6 (Gazelle) type. The 32 long-range 51T6 Gorgon interceptors have been removed from the system. The short-range interceptors are deployed at five sites -- Lytkarino (16 interceptors), Sofrino (12), Korolev (12) Skhodnya (16), and Vnukovo (12). Long-range missiles used to be deployed with two units with headquart-ers in Naro-Fominsk-10 and Sergiyev Posad-15. The system was accepted for service in 1995. To monitor objects on high-altitude orbits, the space-surveillance system uses optical obser-vations. The main optical observation station, Okno, is located in Nurek, Tajikistan. Its tele-scopes allow detection of object at altitudes of up to 40,000 km. 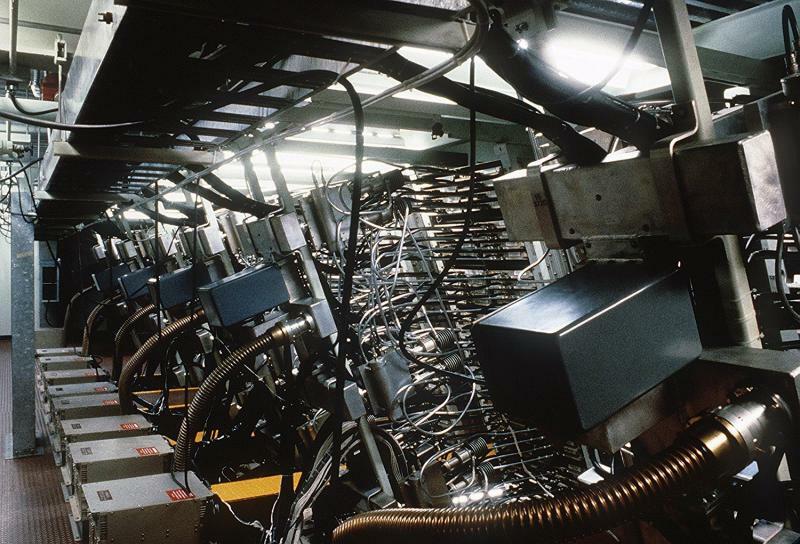 The station began operat-ions in 1999. 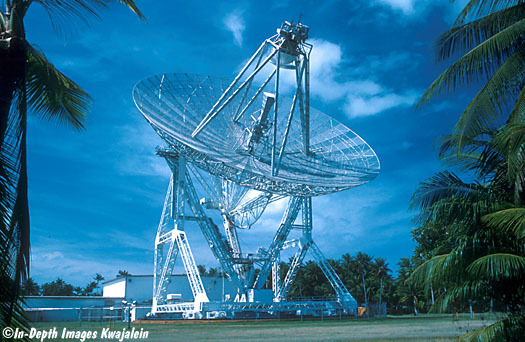 Space-surveillance tasks are also assigned to observatories of the Russian Aca-demy of Sciences. 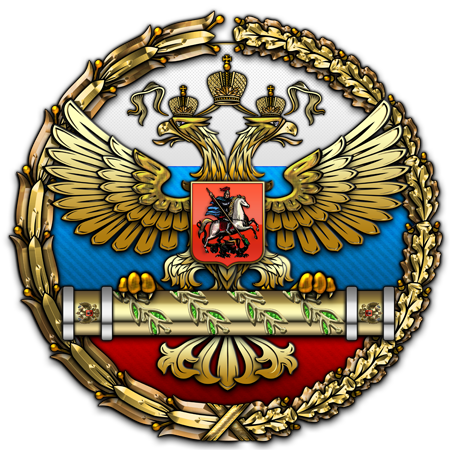 According to the Russian defense minister, three new instant-warning radars will begin com-bat operations in 2017 - Orsk, Barnaul, and Yeniseisk. 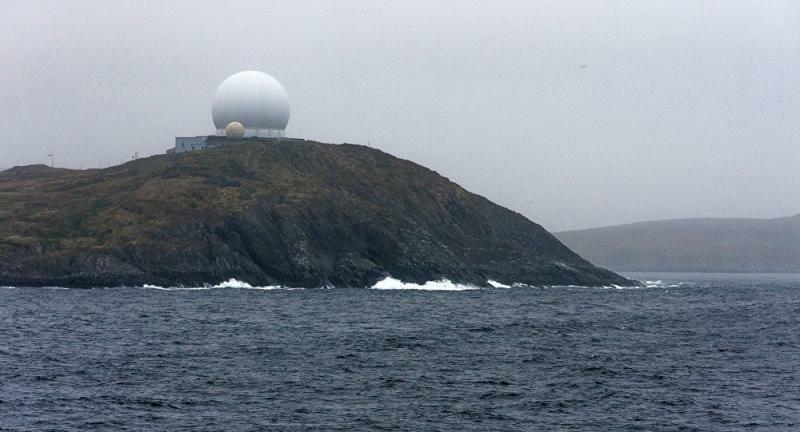 In addition, three radars--Baranovichi, Murmansk, and Pechora--have been "upgraded." The radar in Orsk is of the Voronezh-M type. 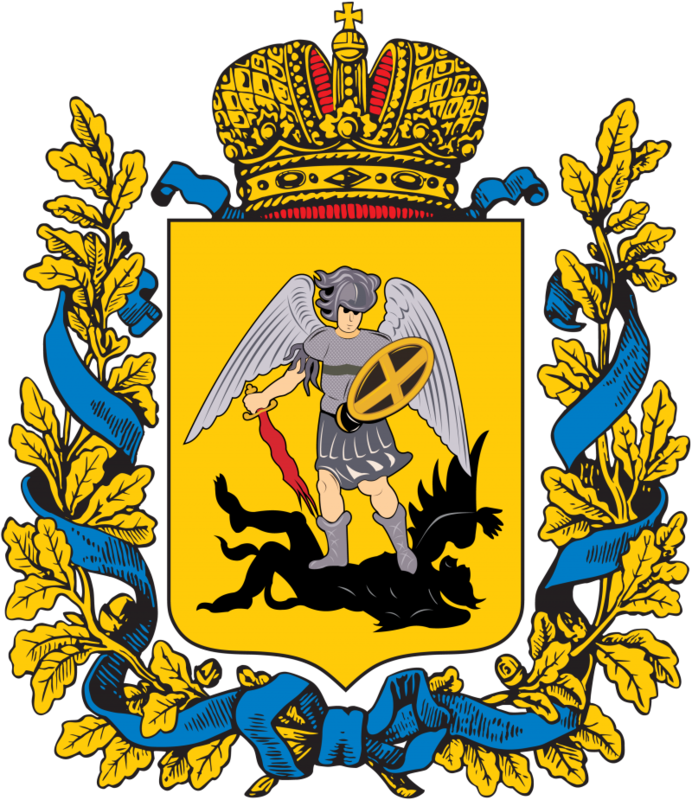 Barnaul and Yeniseisk are Voronezh-DM. The radar in Baranovichi (which is in Belarus) is an old one-of-a-kind Volga radar. The Daryal radar in Pechora is even older - it's one of the two original Daryal radars built in the 1970s. It will be eventually replaced by the new radar in Vorkuta, it appears that two radars are being built there, Voronezh-SM/77Ya-SM/77Я6-СМ and Voronezh-VP/77Ya-VP/77Я6-ВП. The Murmansk radar is the old Dnepr/Daugava pair in Olenegorsk. 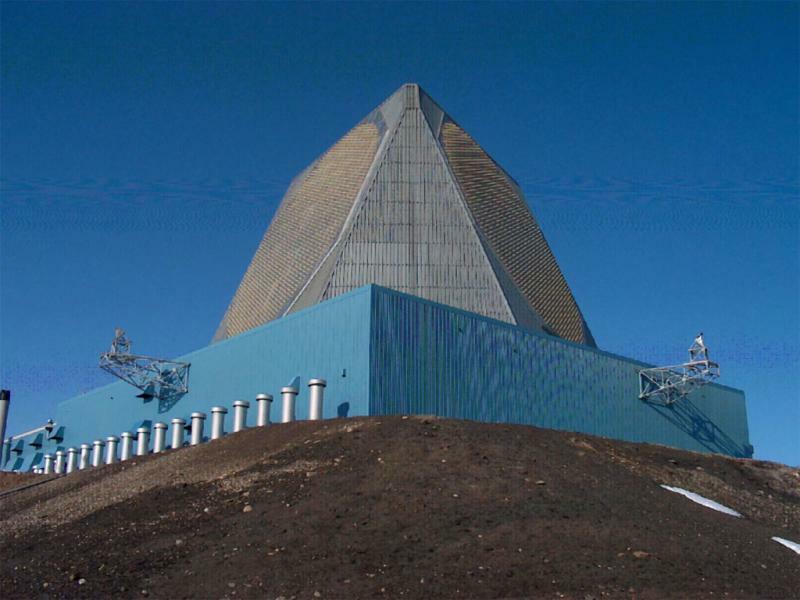 Construction of new radar, probably of the Voronezh-VP kind, began there earlier this year. As we can see, the upgrade of the early-warning radar network has been a very successful program. 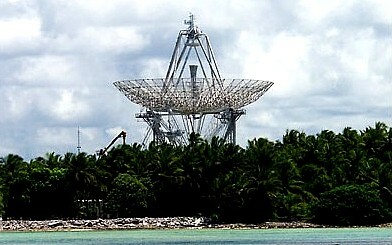 The space segment of the early-warning system, in contrast, appears to be behind the schedule. The old US-KS/US-KMO system ended operations in 2014. The first and only satellite of the new EKS system, Tundra, was launched in November 2015. It appears to be undergoing tests.The new armament program calls for deployment of ten satellites of the EKS system by 2020, but this plan does not seem particularly realistic. 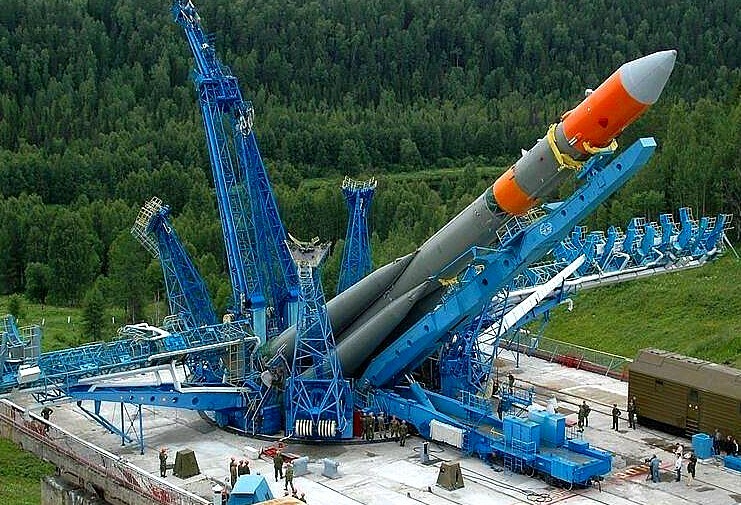 It should be noted, however, that for Russia the space-based segment of the early-warning system is not as as critical as for the United States, since it could never really rely on the "dual phenomenology" approach adopted by the United States. 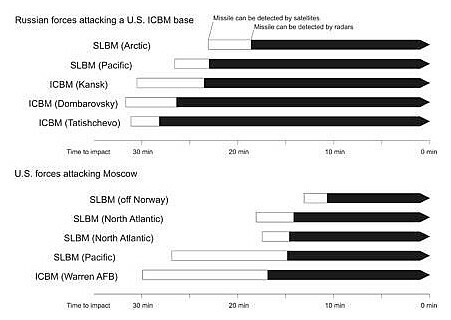 This is illustrated on this figure: It shows that in some scenarios SLBMs launched from the Atlantic, satellites don't add much to the warning time. 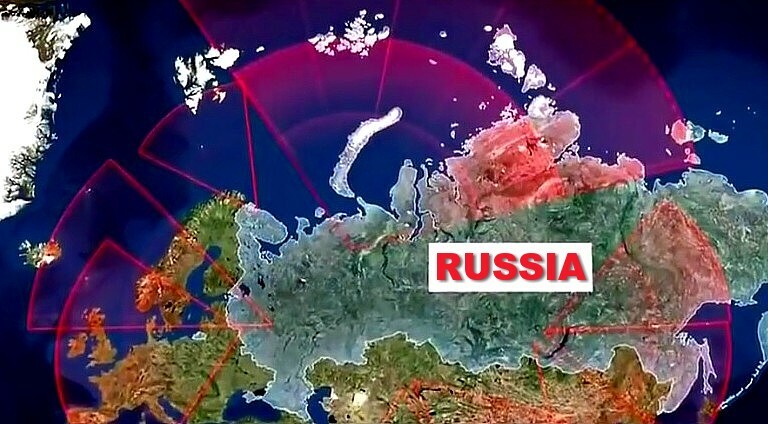 In any event, since Russia doesn't have forward-deployed radars, the radar warning comes to late to provide a useful check of the satellite informa-tion. To deal with the situation, the Soviet Union developed a different mechanism that allowed it to wait for signs of the actual attack (such as nuclear explosions) before launching its missiles. The Don-2N radar is a large missile defence and early warning passive electronically scan- ned array radar outside Moscow, and a key part of the Russian A-135 anti-ballistic missile system designed for the defence of the capital against ballistic missiles. Located in the Push- kino district of Moscow it is a quadrangular truncated pyramid 33 metres (108 ft) tall with sides 130 metres (427 ft) long at the bottom, and 90 metres (295 ft) long at the top. Each of its four faces has an 18 metres (59 ft) diameter Ultra high frequency band radar giving 360 degree coverage. 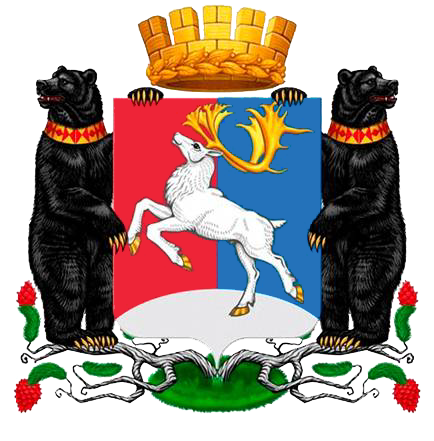 The system is run by an Elbrus-2 supercomputer. It has a range of 3700 km for targets the size of a typical ICBM warhead. Voronezh radars are the current generation of Russian early-warning radar, providing long distance monitoring of airspace against ballistic missile attack and aircraft monitoring. 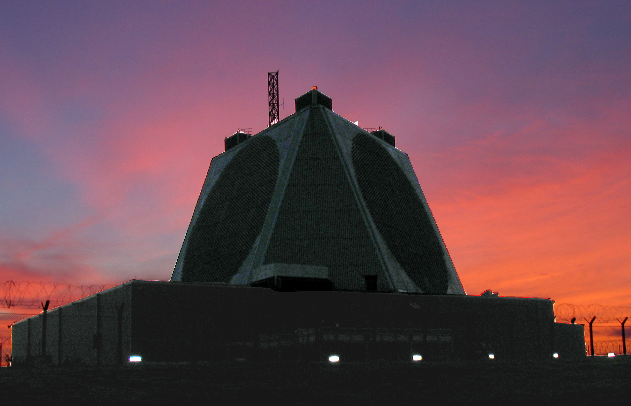 The first radar, in Lekhtusi near St Petersburg, became operational in 2009. There is a plan to replace older radars with the Voronezh by 2020. The Voronezh radars are described as highly prefabricated meaning that they have a set up time of months rather than years and need fewer personnel than previous generations. They are also modular so that a radar can be brought into (partial) operation whilst being incomplete. 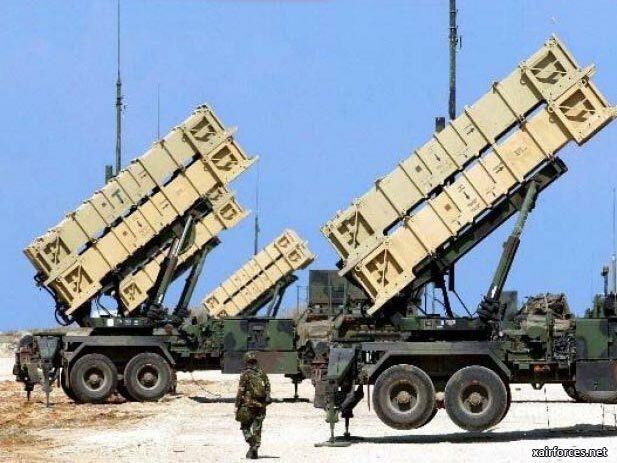 ﻿Russia has used the launch of these new radars to raise its concerns about US missile defence in Europe. At the launch of the Kaliningrad radar in November 2011 Russian President Dmitry Medvedev was quoted as saying "I expect that this step [the launch of the radar] will be seen by our partners as the first signal of our country's readiness to make an adequate response to the threats which the missile shield poses for our strategic nuclear forces." and submarine-launched ballistic missiles (SLBMs). 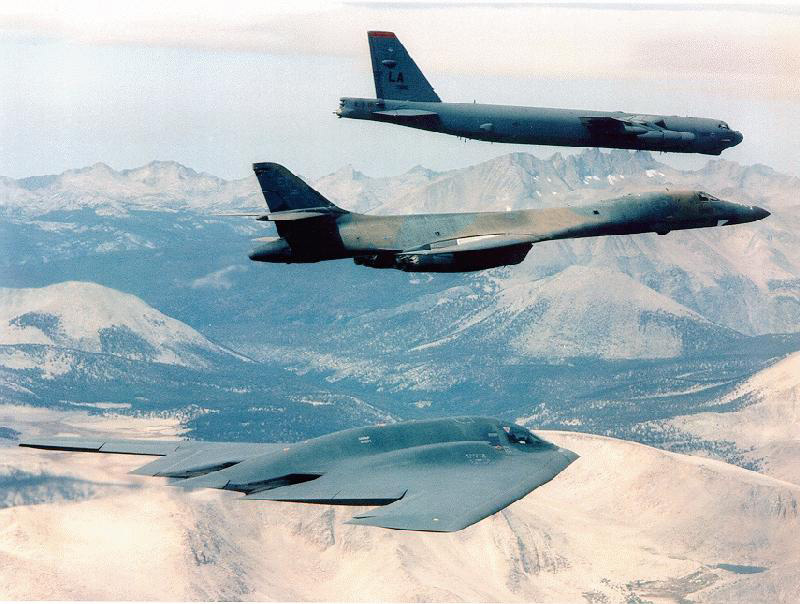 The purpose of having a three-branched nuclear capability is to significantly reduce the pos-sibility that an enemy could destroy all of a nation's nuclear forces in a first-strike attack; this, in turn, ensures a credible threat of a second strike, and thus increases a nation's nuclear deterrence. The President, as Commander in Chief of the Armed Forces, is the sole au-thority for the employment of U.S. nuclear weapons. ﻿Nuclear weapon systems require special consideration because of their political and military importance, their destructive power, and the potential consequences of an accident or unauthorized act. DIRECTOR, NATIONAL SECURITY AGENCY/CHIEF, CENTRAL SECURITY SERVICES (DIRNSA/CHCSS). 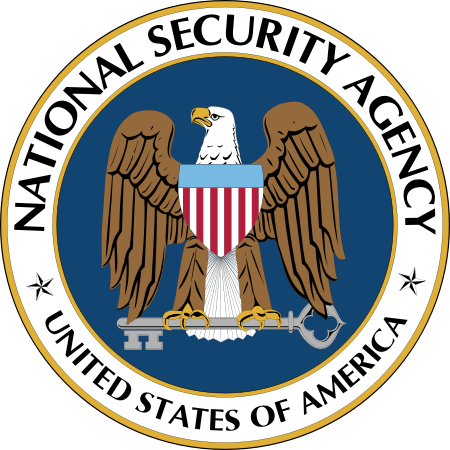 The National Security Agency (NSA) is a cryptologic intelligence agency of the United States Department of Defense responsible for the collection and analysis of foreign communi-cations and foreign signals intelligence, as well as protecting U.S. government communi-cations and information systems, which involves information security and cryptanalysis and cryptography. By law, NSA's intelligence gathering is limited to foreign communications, although domestic incidents such as the NSA warrantless surveillance controversy have occurred. The National Security Agency is divided into two major missions: the Signals Intelligence Directorate (SID), which produces foreign signals intelligence information, and the Information Assur-ance Directorate (IAD), which protects U.S. information systems. The Northrop Grumman B-2 Spirit, also known as the Stealth Bomber, is an American heavy penetration strategic bomber, featuring low observable stealth technology﻿. The European Phased Adaptive Approach (EPAA) is designed to deal with the threat posed by Iranian short- and intermediate-range ballistic missiles to U.S. assets, personnel and allies in Europe. It is flexible, initially using mobile radars and interceptors mounted on Aegis-equipped Ticonderoga class cruisers and Arleigh Burke class destroyers. According to the Obama administration, the new plan uses technology that is both “proven” and “costeffec-tive,” and will be able to adapt as threats evolve. 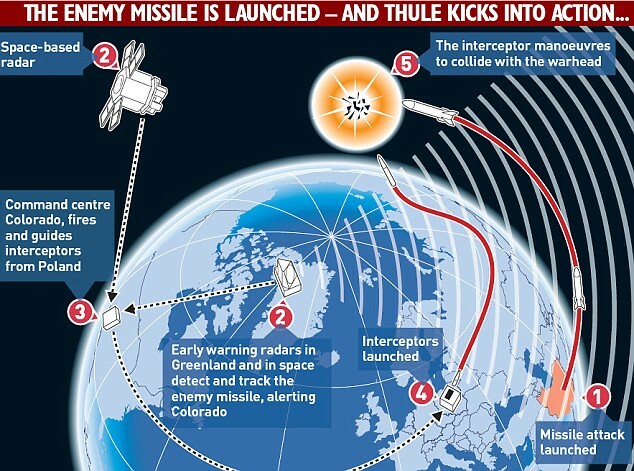 This new direction for European missile defense broke with the plans pursued by the Bush administration. 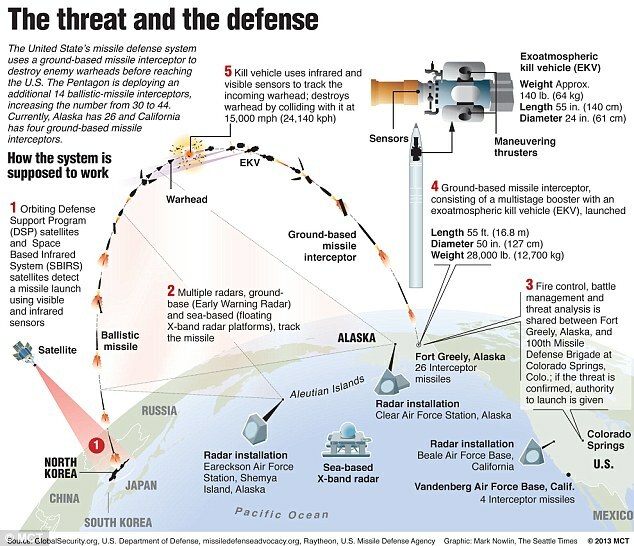 The Bush plans had called for deployment of a ground-based missile defen-se system in Europe, similar to the system deployed in California and Alaska. 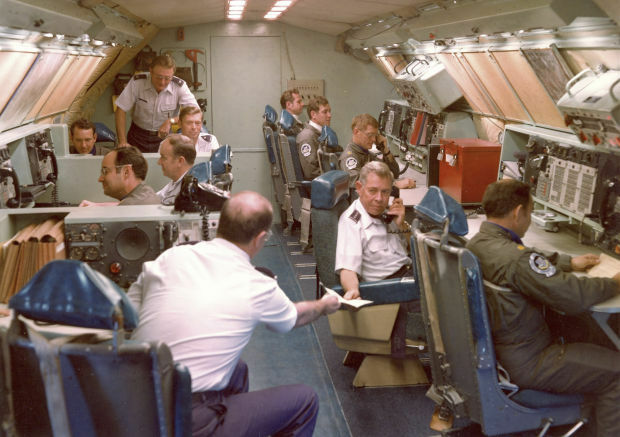 This included bilateral agreements to station ground-based interceptors in Poland and a radar installation in the Czech Republic. In fiscal year (FY) 2012, 113 SM-3 Block IA and 16 SM-3 Block IB interceptors will be delivered and 29 Aegis-equipped BMD ships deployed. The SM-3 IA succesfully intercepted a medium-range ballist missile target in its most recent test on February 13, 2013. Block IA has a single color seeker, a 21 inch-diameter booster, and is 13.5 inches in diameter along the rest of the interceptor. Phase 2 will see interceptors taken onto land in the first "Aegis-Ashore" deployment in Romania. Interceptors will also be mounted on an increasing number of Aegis BMD ships. In FY2015-2017, the U.S. Navy plans to have 32 Aegis BMD ships. The first "Aegis-Ashore" site in Romania will be equipped with one land-based Aegis SPY-1 radar and 24 SM-3 missiles. Phase 2 will include the SM-3 Block IB variant, also with a velocity of 3 km/sec. This interceptor differs from the Block IA in its "seeker" technology, consisting of a two color seeker, or "kill warhead," and improved optics. 100 Block IB interceptors would be purchased by this point, to be deployed along with 139 of the Block IA variant. The Block IB is estimated to cost between $12 and 15 million per unit. In Phase 2, sensors will be integrated with updated versions of the Aegis combat system. By FY2015 BMD ships will carry versions 3.6.1, 4.0.1, and 5.0. Phase 3 will see the introduction of the second “Aegis-Ashore” site in Poland with another SPY-1 radar and 24 SM-3 missiles. This will supplement the deployments already underway at sea and in Romania and will extend coverage over a greater percentage of Europe. By FY2017, there will be a total of 32 Aegis BMD-capable ships. 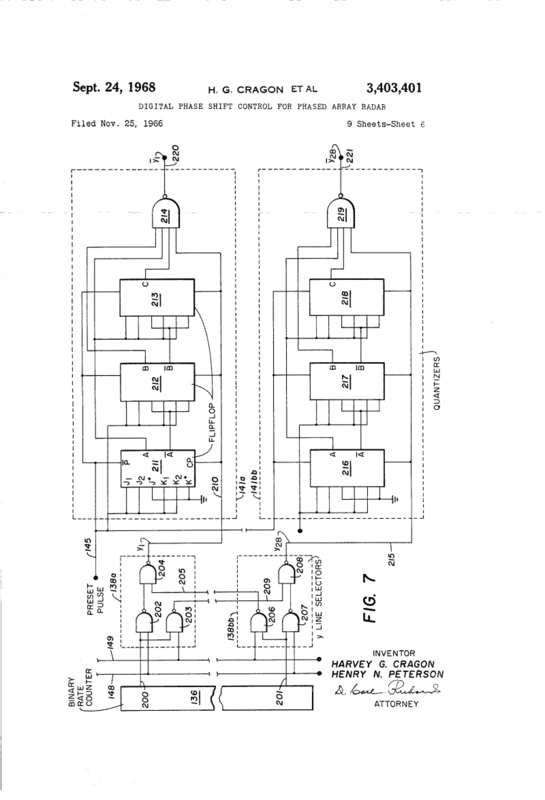 Phase 3 will include the SM-3 Block IIA. This new variant will be faster than Block I (4.5 km/sec vs. 3 km/sec. ), with a 21 inch diameter for the whole length of the missile allowing for more fuel and hence a more powerful motor. This will give the system an “enhanced” capability to address intermediate-range ballistic missiles and a “limited” capability to address intercontinental ballistic missiles (ICBMs). 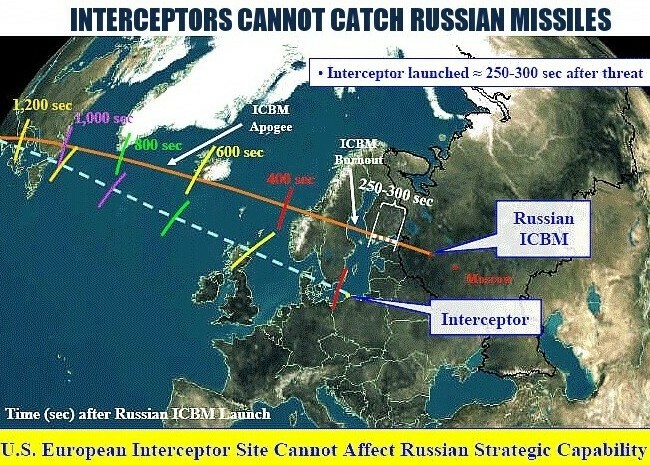 These faster interceptors could potentially increase coverage to the whole European continent. The United States is collaborating with Japan to jointly develop the Block IIA interceptor. The program is scheduled to begin flight testing in 2014. Improved seeker and optics will be included. 19 Block IIAs are scheduled to be purchased by this point; they will complement the 390 Block I variants that are planned for FY2017. In Phase 3, the United States will deploy both the Precision Tracking Space System (PTSS) and Airborne Infrared (ABIR) sensor platforms. Both of these systems are designed to track significantly larger numbers of incoming missiles, with the goal of being able to track “hundreds” of missiles simultaneously. President George W. Bush announced Dec. 17, 2002 that the United States would begin fielding the initial elements of a limited ballistic missile defense system in 2004. 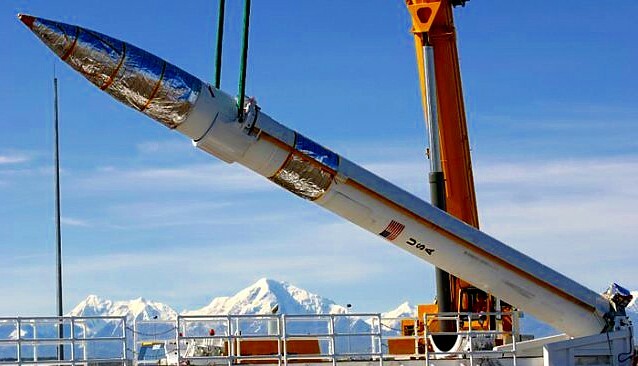 As of February 2009, the U.S. Missile Defense Agency (MDA) reports having deployed 28 ground-based missile interceptors, divided between Fort Greely, Alaska, and Vandenberg Air Force Base, California. 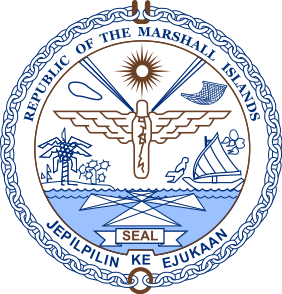 The United States also possesses 18 warships equipped with Aegis Ballistic Missile Defense, a system intended to counter short- and intermediate-range ballistic missiles as of January 2009. 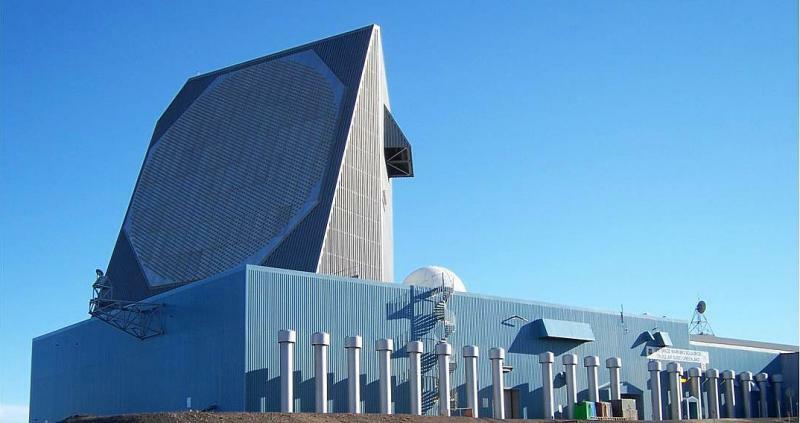 The U.S. missile defense system relies on four fixed radar facilities at Shemya, Alaska, Beale Air Force Base, California, Fylingdales in the United Kingdom, and Thule, Greenland. 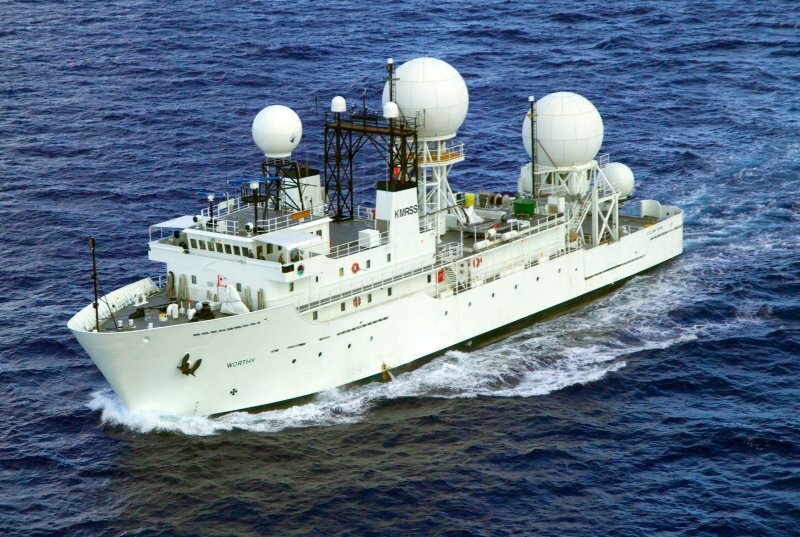 The network also includes four mobile X-band radars, and a sea-based X-band radar (SB-X), currently deployed in the Pacific Ocean. Developing and deploying ballistic missile defenses ranked high among the priorities of the George W. Bush administration.. In June 2002, Bush withdrew the United States from the 1972 Anti-Ballistic Missile (ABM) Treaty, which had barred Washington and Moscow from deploying nationwide defenses against long-range ballistic missiles. The administration also aggressively sought foreign partners for the U.S. program and, during Bush’s last year in office, reached deals to deploy missile interceptors in Poland and a radar installation in the Czech Republic. Still, the technology remains unproven .Intercept tests have involved substitute components in highly scripted scenarios. 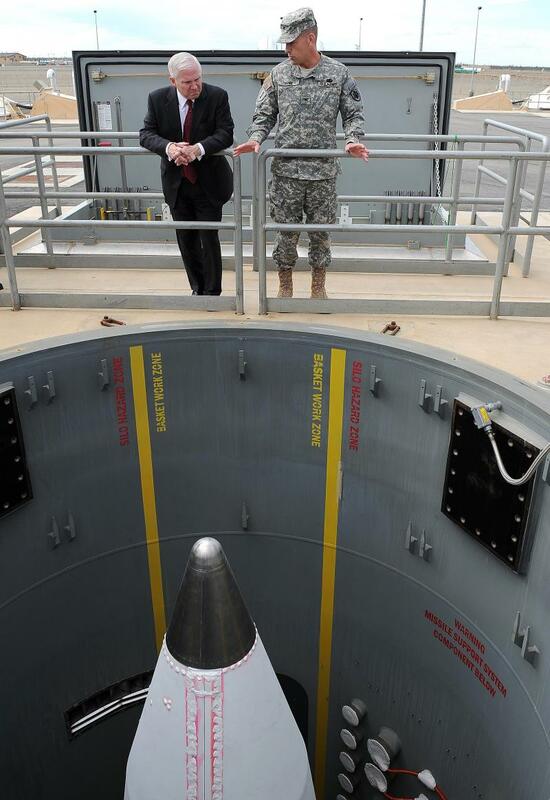 In thirteen tests, the Pentagon has hit a mock warhead eight times. In the most recent test, conducted on December 5, 2008, the interceptor successfully destroyed the mock warhead; however, the incoming missile failed to deploy countermeasures meant to fool the interceptor into missing its target. Pentagon officials acknowledge that the initial system will be rudimentary. But they argue that some defense is better than none at all. 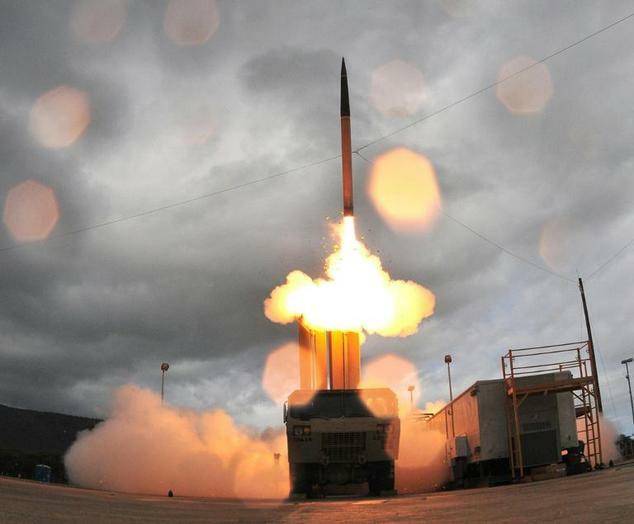 In addition, they assert that the only way to conduct more strenuous and realistic testing of the system is to deploy it..
For more than five decades, the United States has intermittently researched and worked on missile defenses. The planned deployment this fall will mark the second time that the United States has moved to deploy a defense against long-range ballistic missiles. 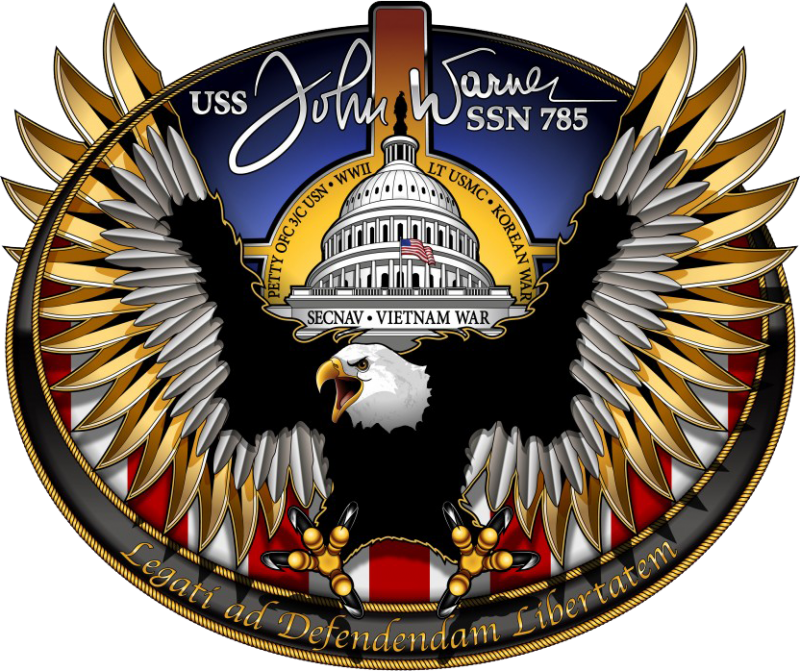 The first effort, Safeguard, was shut down within a few months of being declared operational in October 1975 because Congress concluded the defense was too expensive and ineffectual. Under Safeguard, which Washington deployed in a configuration to comply with the ABM Treaty, the United States sought to protect an offensive U.S. missile base located in North Dakota. The Bush administration inherited seven main missile defense programs, including the ground-based missile interceptor system and two related satellite programs. 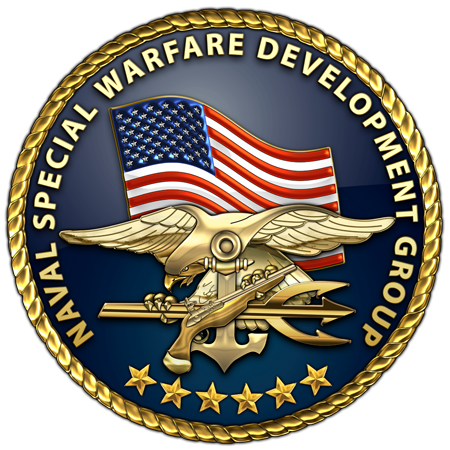 For the most part, the Bush administration continued work on these same programs, although it recast some, cut others, and added new projects. It canceled one sea-based system—the Navy Area Theater Ballistic Missile Defense System—and significantly down-sized a space-based laser initiative, while commencing new efforts to develop interceptors to attack multiple targets and to strike enemy missiles early in their flights. During the Clinton administration, Republicans repeatedly asserted that the development of working missile defenses was being hindered by a lack of political will, not scientific or engineering challenges. However, several missile defense programs have fallen further behind schedule and suffered setbacks due to technical difficulties under the Bush administration. 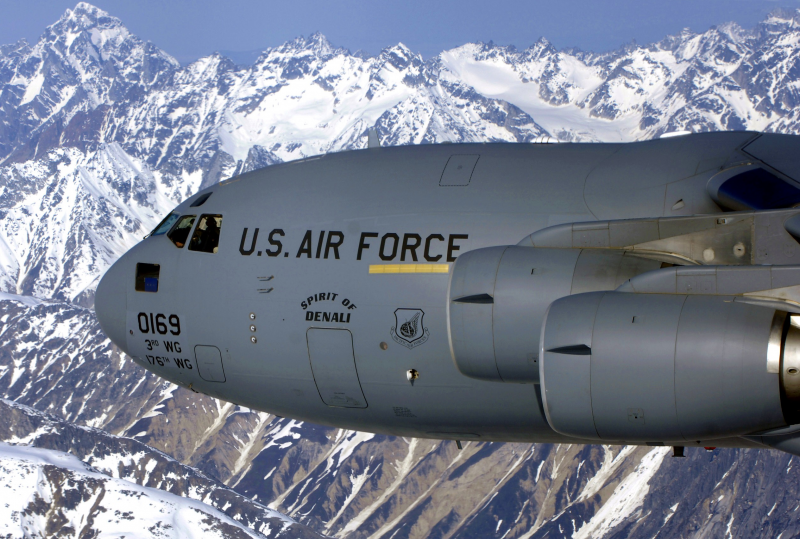 An aircraft designed to be armed with a powerful laser—known as the Airborne Laser—is now more than two years behind schedule and may be shelved. One of the two inherited satellite programs has been overhauled and renamed, while the other has far exceeded cost and schedule estimates. In addition, the Pentagon’s ground- and sea-based missile interceptors have experienced schedule and testing delays due to problems with their kill vehicles, which are the components intended to seek out and collide with enemy warheads. In general, the Bush administration reorganized missile defense programs, placing all of them under one big tent (the Missile Defense Agency) rather than working on each one in isolation. And, whereas previous administrations drew a distinction between theater defenses (those designed to hit short- and medium-range ballistic missiles) and strategic defenses (those intended to intercept long-range missiles/ICBMs), the Bush administration did not, claiming to pursue a general research and development program for a layered missile defense comprised of many different types of systems and capabilities. Nevertheless, the Pentagon maintains individual program offices for each system, albeit with an eye toward sharing technology among the systems and exploring how they might operate together. In addition, the Pentagon is actively pushing to expand some of the earlier theater missile defense programs to try and tackle the strategic mission. ICBMs travel farther, faster, and are more likely to employ countermeasures intended to fool defenses than shorter-range missiles. 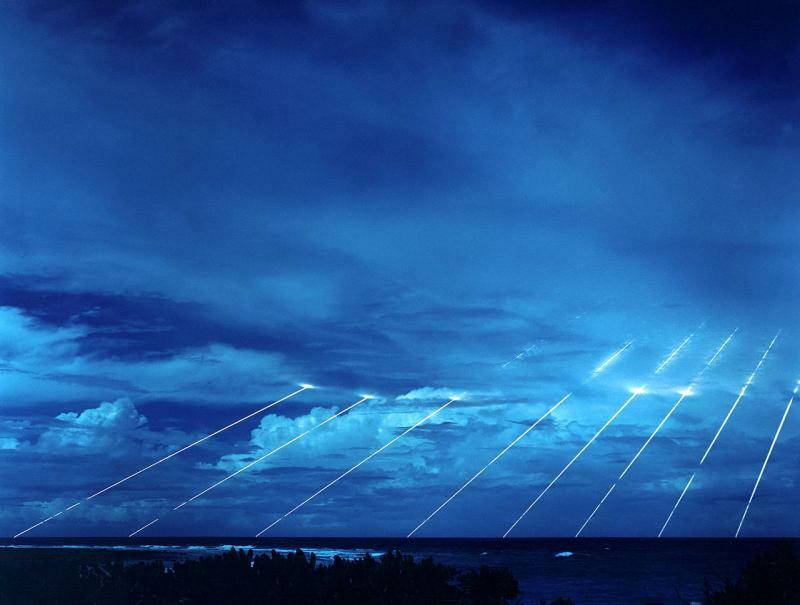 The ABM Treaty permitted the development of theater missile defense systems but prohibited work on nationwide strategic defenses. At this time, only the ground-based interceptor system has been tested against strategic ballistic missile targets, although the Pentagon has started to investigate whether some radars and sensors used in theater systems might also be capable of tracking a strategic ballistic missile. Preliminary findings are encouraging, according to the Pentagon, which has declined to provide specific test results. The Obama administration has expressed general support for the idea of national missile defense, but indicated that some Bush-era programs may be up for review. 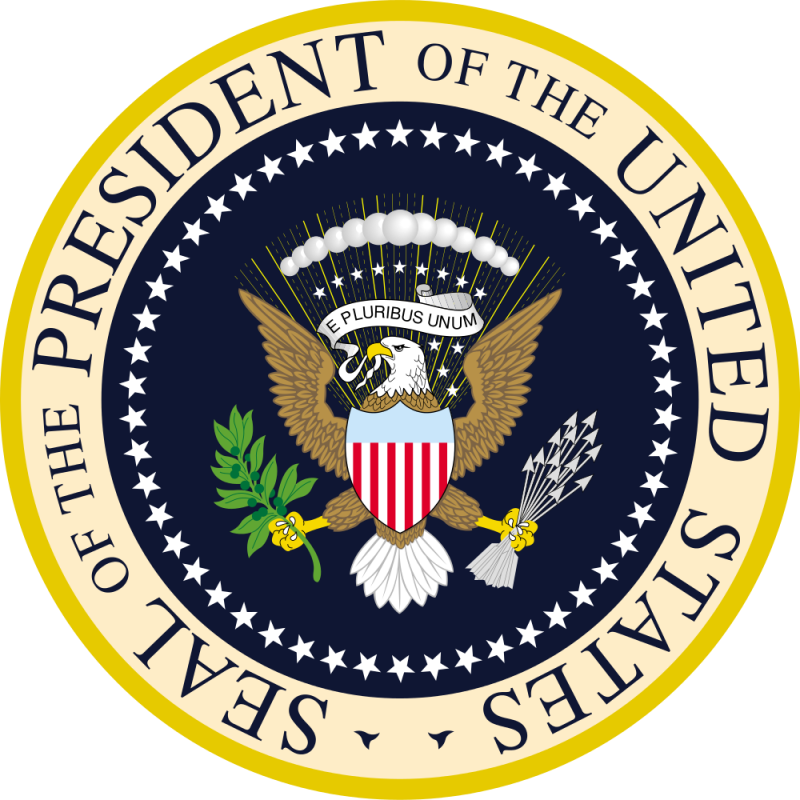 According the to White House website, the administration “will support missile defense, but ensure that it is developed in a way that is pragmatic and cost-effective; and, most importantly, does not divert resources from other national security priorities until we are positive the technology will protect the American public.” This sentiment has been echoed by Vice President Joe Biden and Secretary of State Hillary Clinton. 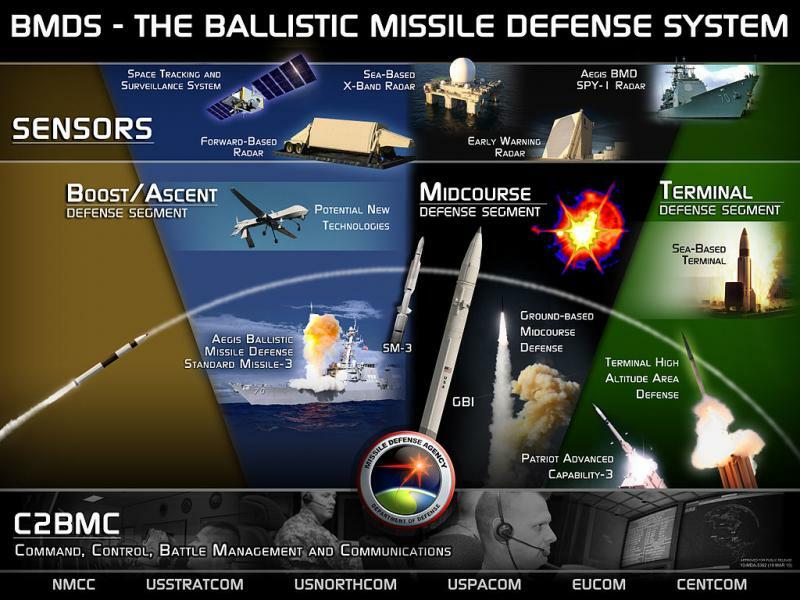 The following chart provides a brief look at each of the Pentagon’s major missile defense programs. It contains information on what type of ballistic missile each defense would be intended to counter and at which stage of the enemy missile’s flight an attempted intercept would take place. Also included are Pentagon estimates on when each defense may have an initial, rudimentary capability as well as when it could be fully operational. Short- and medium-range ballistic missiles may not leave the atmosphere, have separating warheads, or be accompanied by decoys or other countermeasures. To date, the system has had eight successful intercept attempts in twelve developmental tests. The most recent test, on Dec. 5, 2008, was successful; however, the target missile failed to deploy counter-measures meant to fool the interceptor into tracking the wrong target. 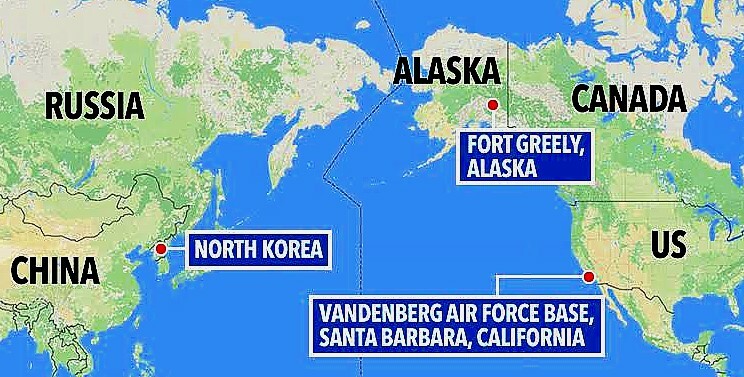 The Pentagon is currently planning to deploy six missile interceptors, at Fort Greely, Alaska, and four more interceptors at Vandenberg Air Force Base, California, by early 2005. Another 10 interceptors are to be deployed at FortGreely before the end of 2005. 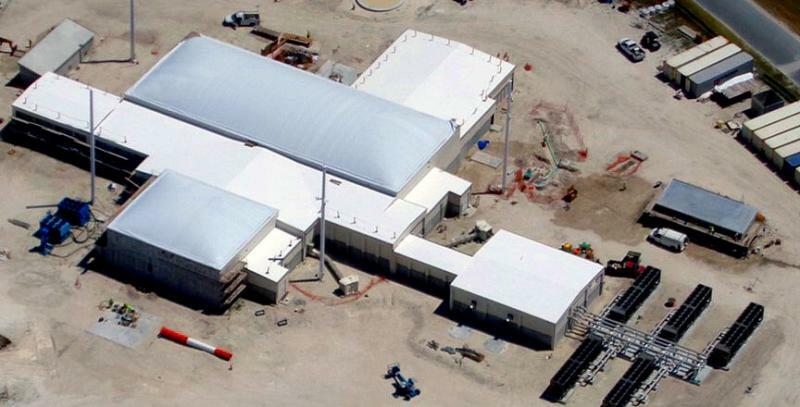 There are no plans to fire interceptors from FortGreely for testing purposes. . 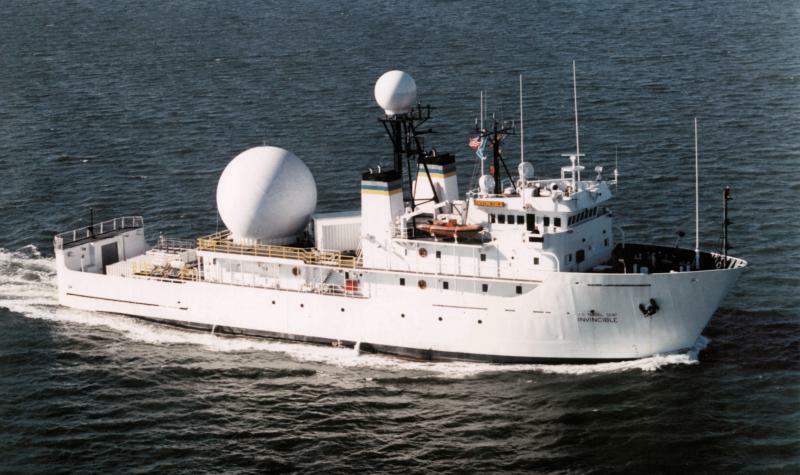 The interceptors under the Clinton plan were to have been supported by a land-based X-band radar, but the Bush administration also developed a sea-based X-band radar (SBX). 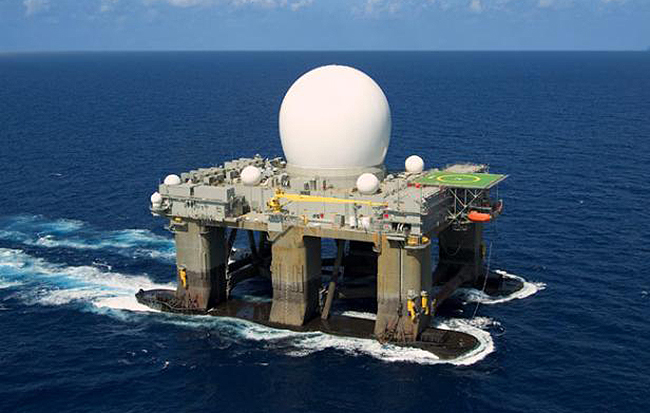 There is currently one SBX radar mounted on a mobile modified oil rig in the Pacific Ocean. SBX was used on Dec. 5, 2008, to help provide tracking data to an interceptor during a successful missile defense test. 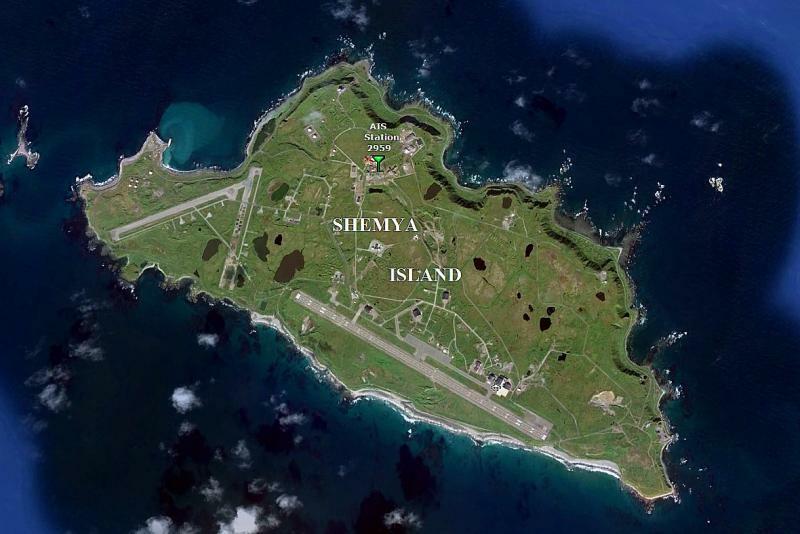 Bush’s plans also called for the missile interceptors to be supported by an upgraded, although less capable, early-warning radar on ShemyaIsland at the western tip of the Aleutian Islands chain. This radar, known as the Cobra Dane radar, is only be able to track missiles fired from the direction of Asia because the radar is fixed to face northwest. 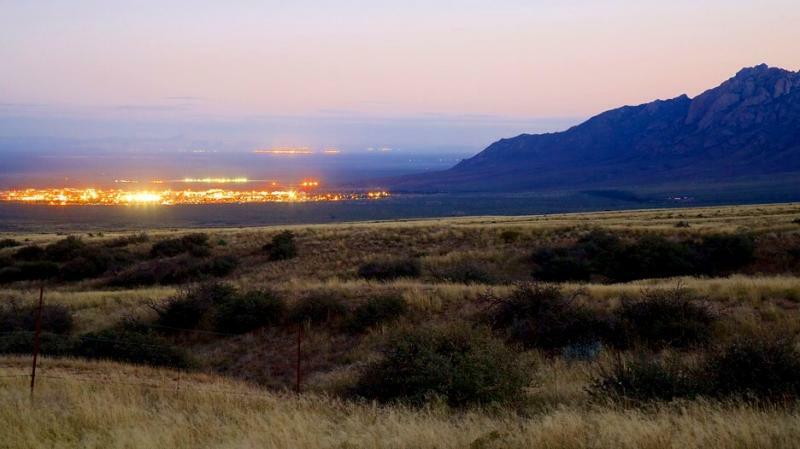 MDA is also exploring the construction of a third missile defense site in Europe. The Bush administration signed a deal with Poland on August 20, 2008, to place ten missile interceptors on Polish territory. 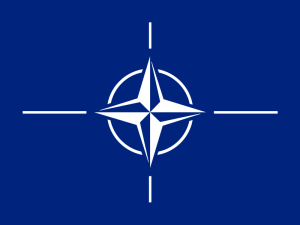 The Bush administration also won the approval of the Czech government on April 3, 2008, to build a tracking radar facility in the CzechRepublic. The United States is upgrading two foreign-based, early-warning radars to help track ballistic missiles launched from the direction of the Middle East. 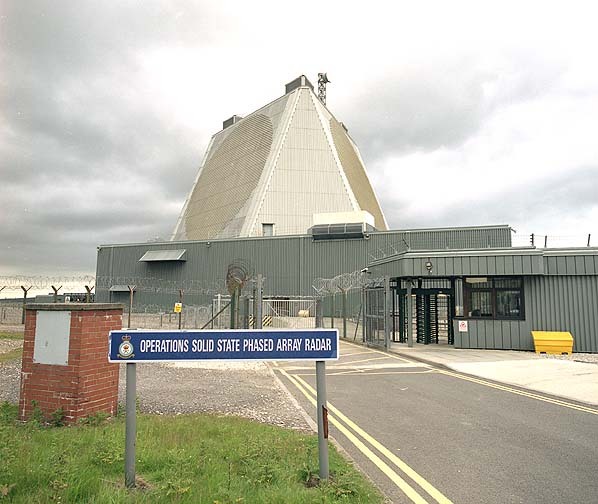 One radar (Fylingdales) is located in the United Kingdom and the other is at Thule Air Base in Greenland. 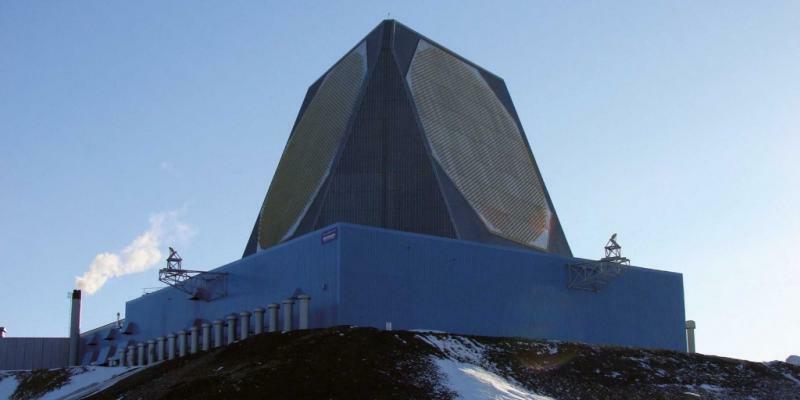 Fylingdales has been upgraded and is operational, while the Thule-based radar will be integrated into the missile defense system by the end of fiscal year 2009. 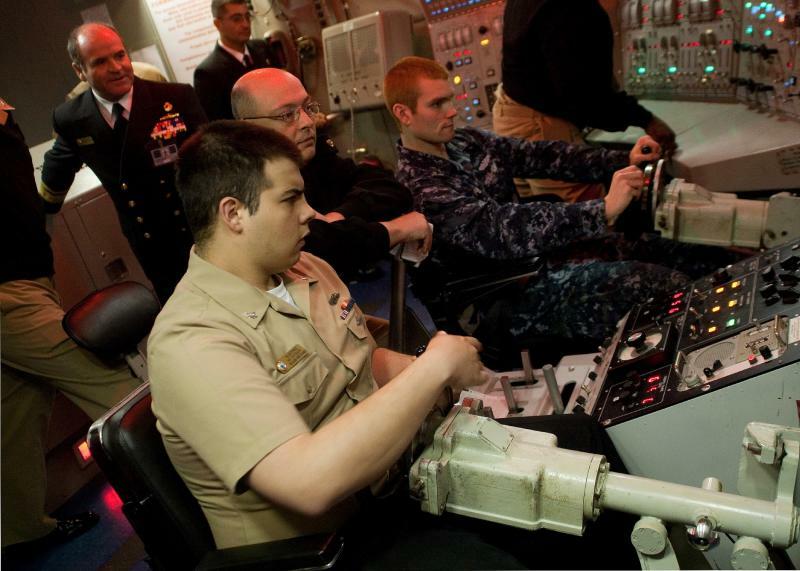 The key elements of the proposed sea-based defense are a ship-based missile (Standard Missile- 3, or SM-3) and the Aegis combat system, an advanced system that can detect and track more than 100 targets simultaneously while directing a ship’s weapons to counter incoming air, surface, and submarine threats. The SM-3 is considered too slow to intercept a strategic ballistic missile. Initially, the Aegis BMD is geared toward defending against short-, medium-, and intermediate-range ballistic missiles during their midcourse phase with an emphasis on the ascent stage. The Aegis system is capable of tracking ICBMs, but is not configured to intercept them. A faster SM-3 is being developed that is intended to have some capability to intercept ICBMs. The upgraded SM-3, known as the Block IIA, is not expected until 2015. The system has a record of fourteen intercepts in eighteen flight tests. 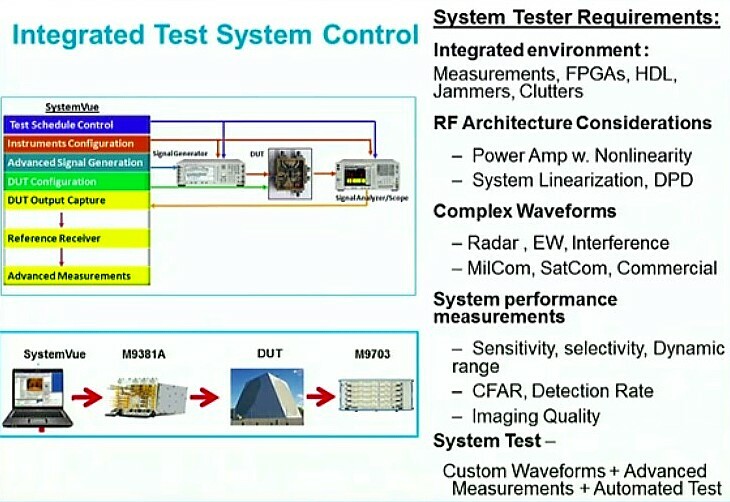 The two most recent tests, both in November 2008, were failures. In a November 1 test, two target missiles and two interceptors were launched from Aegis-equipped destroyers in the Pacific Ocean. One interceptor hit its target, but the other did not. In another test, on November 19, 2008, the interceptor lost track of its target seconds before impact. 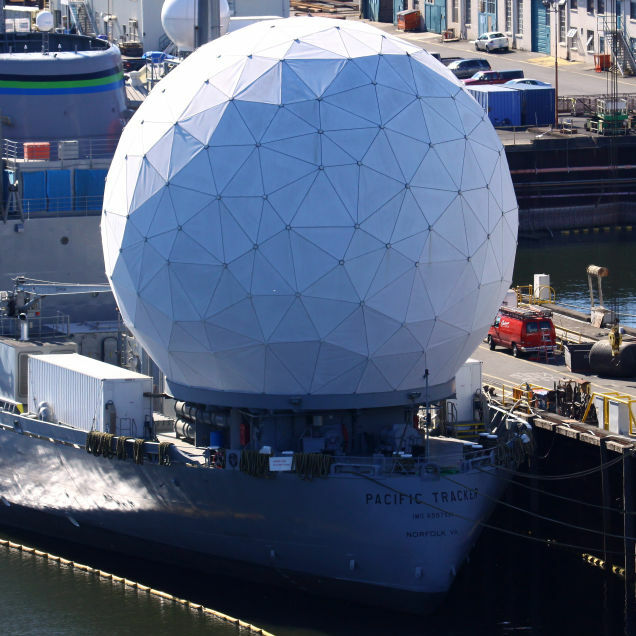 As of January 2009, the U.S. Navy has eighteen ships outfitted with the Aegis BMD system. Sixteen of these ships are deployed in the Pacific Ocean, leaving two in the Atlantic. Between 2011 and 2021, the Navy hopes to build an Aegis force of 84 ships: 22 cruisers and 62 destroyers. The first ABL test plane made its inaugural flight on July 18, 2002. The plane was not equipped with the laser. By 2007, an ABL test plane had successfully tracked a target and hit it with a low-power laser. The target was not a ballistic missile, however, but was mounted on another aircraft. 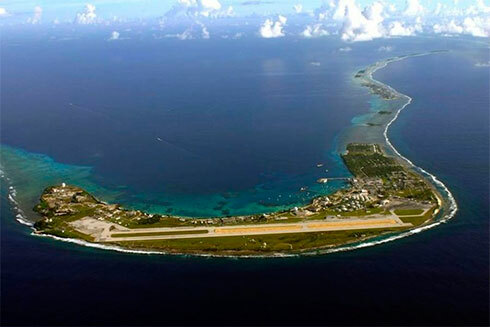 Although Clinton administration plans first projected an ABL intercept attempt to take place in 2003, development delays have led the Pentagon to push back such a test several times. It is now expected to take place in 2009. The Government Accountability Office estimates that ABL will be operational sometime in 2016-2017. The THAAD missile was redesigned, and testing resumed in July 2006. 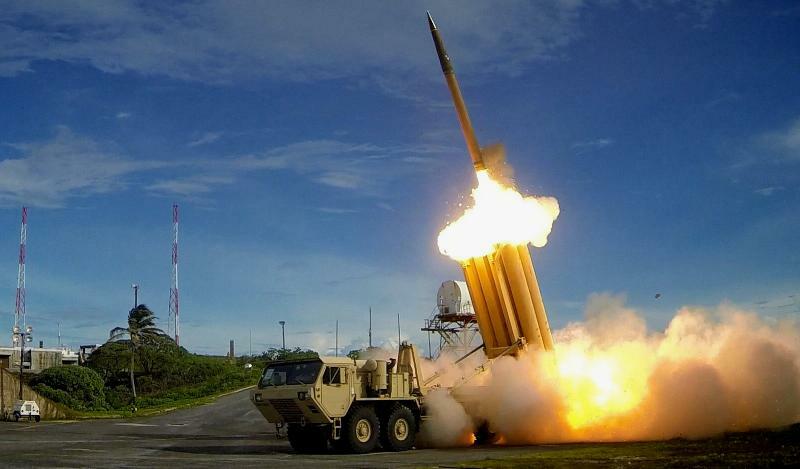 THAAD has tested successfully five times since being redesigned. In two other tests the interceptor was not launched due to malfunctions of the target missiles. 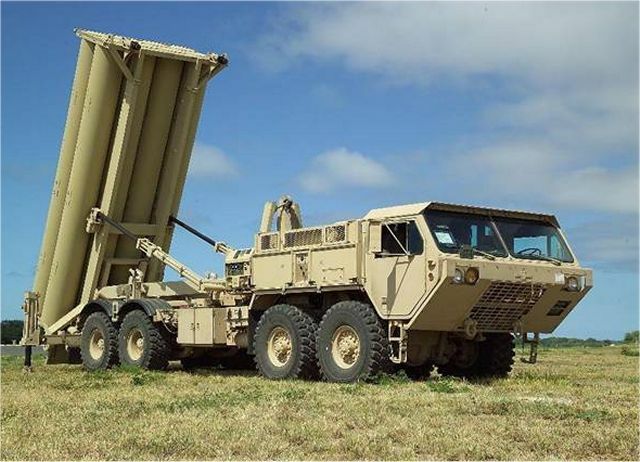 Still in testing and development, however, the first THAAD battery was activated in May 2008. PAC-3 is now considered operational. As of July 2004, 175 PAC-3 interceptors had been delivered to the Army. Two developmental STSS satellites are to be launched in fiscal year 2009. The SBIRS-low program had called for the first launch of a satellite in 2006. Currently there are two SBIRS geosynchronous satellites orbiting the Earth, along with two SBIRS sensors mounted on host satellites in highly elliptical orbit. The program has cost at least $6 billion more than expected, and is several years behind schedule. The first sensor in highly elliptical orbit—HEO-1—was certified for operations by U.S. Strategic Command in December 2008. The second sensor—HEO-2—is expected to come online in the first quarter of 2009. KEI will be comprised of three powerful boosters and a separating kill vehicle. The booster is expected to travel at least six kilometers per second, which is comparable to an ICBM. The kill vehicle will not carry an explosive warhead but is designed to destroy its target through the force of a collision. 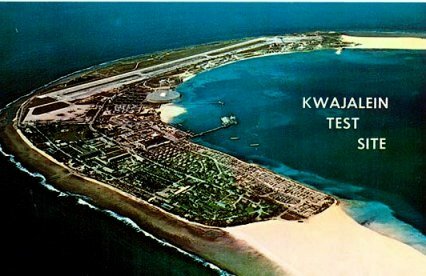 The Pentagon is developing mobile land- and sea-based versions of KEI, as well as fixed land-based units. KEI is intended to destroy strategic ballistic missiles during their first minutes of flight when their rocket engines are still burning. On Dec. 3, 2003, the Pentagon awarded Northrop Grumman a contract worth up to $4.5 billion to develop KEI over eight years. The first KEI booster flight is planned for 2009. 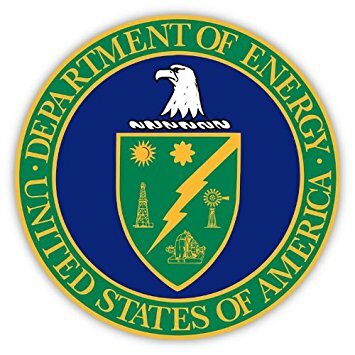 The Pentagon awarded the KEI contract several months after the independent American Physical Society released a study asserting that boost-phase intercepts would be technically possible under very limited circumstances. In April 2011, the United States conducted its first successful SM-3 test against an intermediate range ballistic missile (IRBM). The test involved a Block IA missile and an AN/TPY-2 radar. 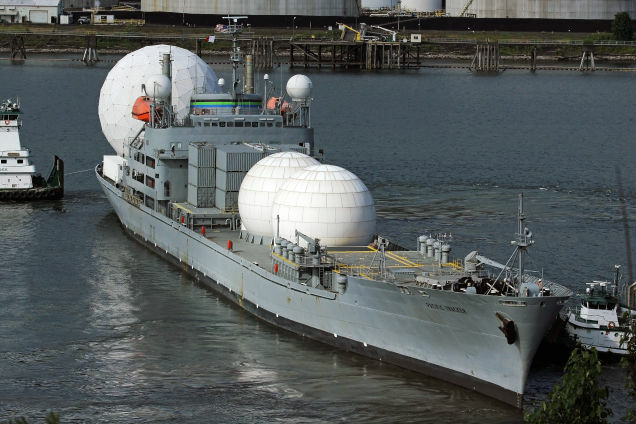 The test was also the first to use remote tracking data; the radar used to track the target was forward-based hundreds of miles away instead of on the ship. Additional tests of the Block IB missile are ongoing. In addition to regular testing of all PAA components, the United States will conduct two operational tests of the entire system’s capacity. These tests will be conducted by the armed forces rather than by the Missile Defense Agency. Both will test the system’s ability to defend against multiple simultaneous incoming missiles. 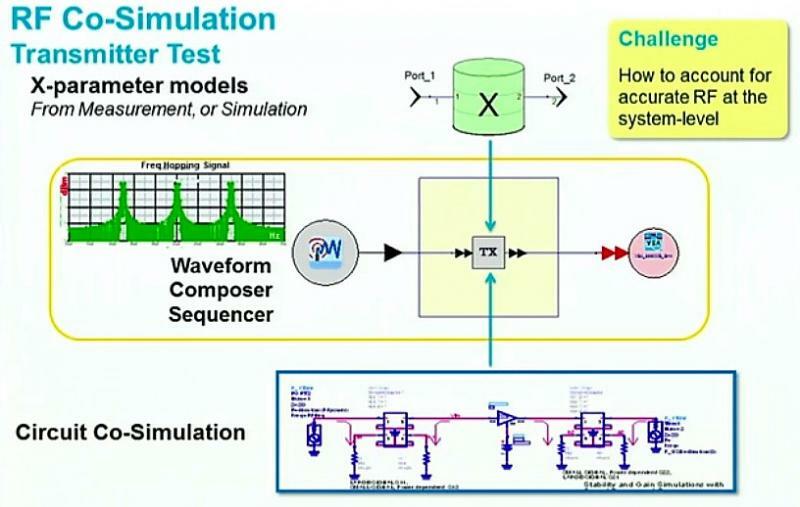 The first operational test took take place in October 2012; the second will occur in FY2015. Results: THAAD intercepted MRBM; PAC-3 intercepted SRBM and cruise missile; Aegis SM-2 IIIA intercepted cruise missile; Aegis SM-3 IA failed to intercept SRBM. The 1972 Anti-Ballistic Missile (ABM) Treaty is a fundamental element of U.S. arms control policy. This fact sheet reviews the basic purposes of the ABM Treaty, describes recent ABM Treaty developments, and lists the central elements of the Clinton Administration's approach to the ABM Treaty. The ABM Treaty, which was signed in 1972 by the United States and the Soviet Union, prohibits deployment of a nationwide defense against strategic ballistic missile attack. 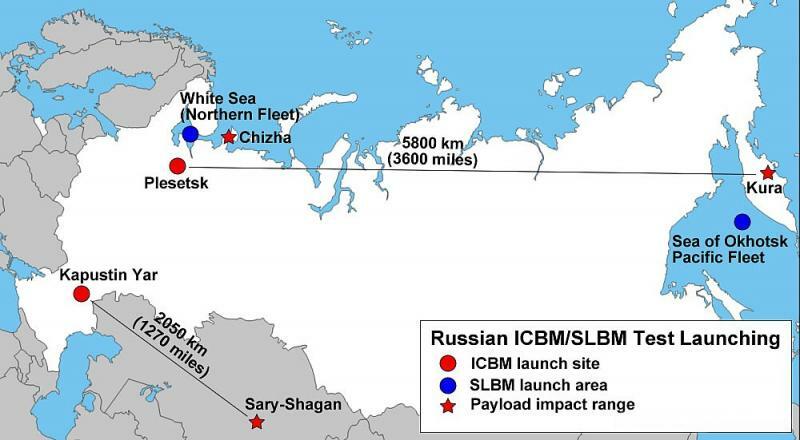 In the Treaty, the United States and the Soviet Union agreed that each may have two precisely limited ABM deployment areas (later limited by mutual agreement to one): to protect its capital or to protect an ICBM launch area. To promote the objectives and implementation of the Treaty, the Parties established the Standing Consultative Commission (SCC), which meets at least twice a year. Also the terms of the Treaty specify that a review of the Treaty shall be conducted every five years. In 1974, the Parties to the Treaty agreed by means of a Protocol to reduce the number of permitted ABM deployment areas to one for each side. The Soviet Union chose to maintain (and Russia continues to maintain) an ABM defense of its national capital, Moscow. 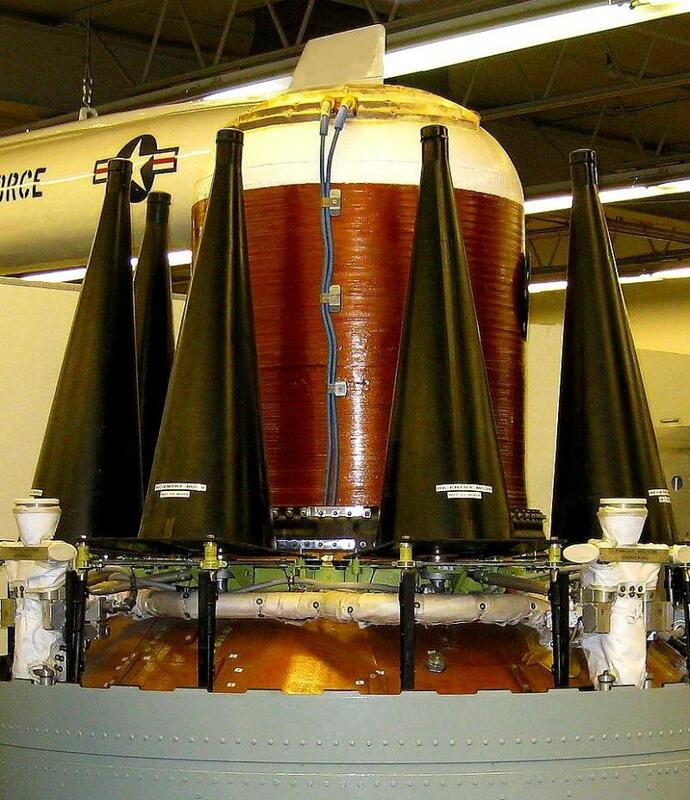 The United States chose-Lose to complete its Safeguard ABM system designed to defend its ICBM silo launcher area near Grand Forks, North Dakota; however, this system was operational for a very short time and has been inactive since 1976. In 1993, the Clinton Administration conducted a review of U.S. policy towards Ballistic Missile Defense and the Future of the ABM Treaty The Administration made a deter-mination that the "traditional" or "narrow" interpretation of the Treaty is the correct one. 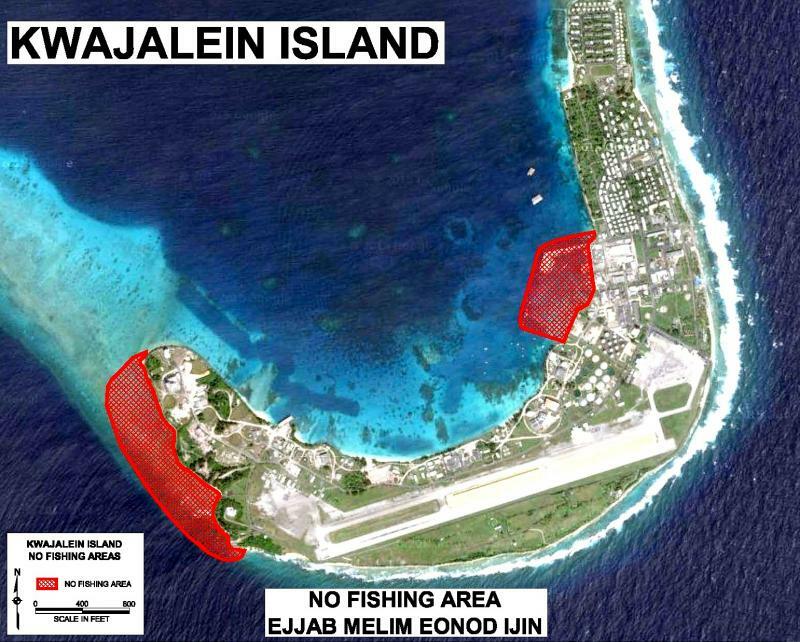 The Administration therefore reaffirmed that the ABM Treaty prohibits the develop-ment, testing, and deployment of sea-based, air-based, space-based, and mobile land-based ABM systems and components without regard to the technology utilized. With the dissolution of the Soviet Union, the question of treaty succession arose. 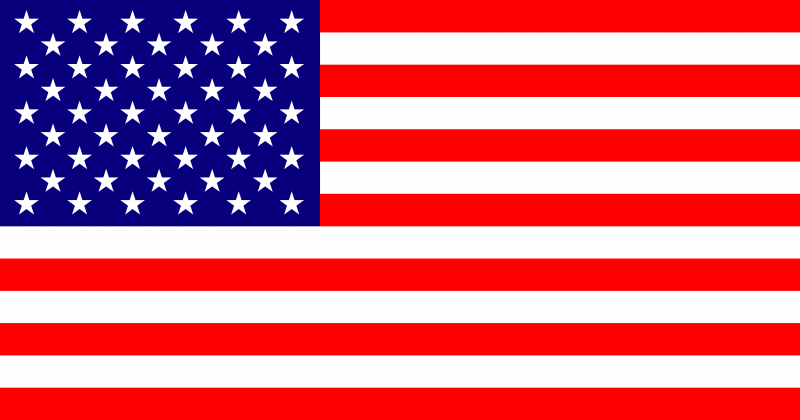 The United States has made clear its position that it is willing to accept as Treaty Parties any of the New Independent States (NIS) that want to be Party to the Treaty. At the same time, the growing threat posed by theater ballistic missiles, and the need to combine effective protection against such threats while avoiding development of an ABM capability, has prompted the U.S. to propose that the demarcation between ABM and non-ABM defenses be clarified. The ABM Treaty itself does not provide clear guidance on this question. This clarification is being negotiated in the Treaty's imple-menting forum, the Standing Consultative Commission. In the past, many issues related to theater and strategic defenses have been vigo-rously debated within a number of different fora, including the Standing Consultative Commission. The Standing Consultative Commission, established by the ABM Treaty, remains the forum for negotiation of and agreement on ABM Treaty issues. The United States and Russia, along with other potential successor states, are working together to develop an effective ABM Treaty regime that will provide for multilateral succession to the ABM Treaty, as well as clarify the dividing line between ABM and non-ABM defenses. At recent sessions of the SCC, which were held in Geneva from November 29 - December 17, 1993, January 24 - February 4, 1994, and March 21 - April 21, 1994, the United States presented proposals designed to preserve the viability of the Treaty in light of the political and technological circumstances of the present day The other participating delegations have also introduced their own positions and ideas. Despite some differences of view, the negotiations have demonstrated that there exists a significant degree of commonality in the approach to theater missile defense among SCC participants. There is general agreement (1) that the threat of ballistic missile proliferation is real; (2) that there is a shared interest in being able to defend against this threat; and (3) that the ABM Treaty must be clarified to allow for the field-ing of adequate theater missile defenses. President Clinton has reaffirmed the U.S. commitment to the ABM Treaty. The Administration considers it indispensable to stability, to the START I and START II reductions, and to longer-term reductions in strategic offensive arms. 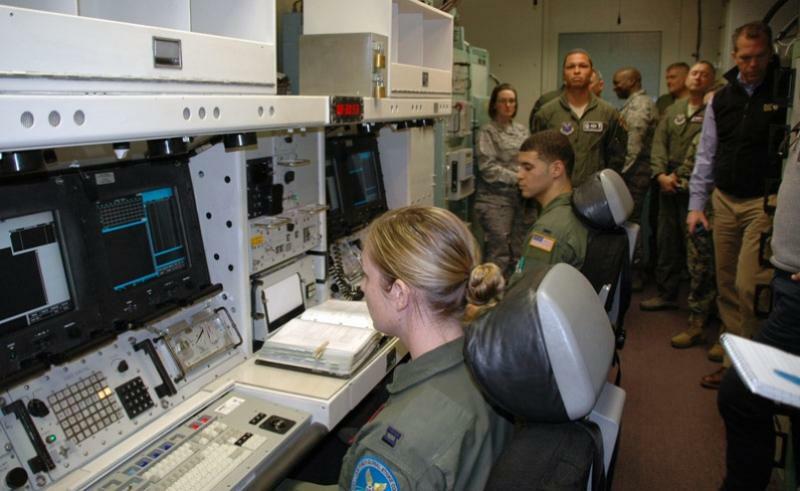 The Clinton Administration has reaffirmed the "narrow" or "traditional" interpretation of the ABM Treaty as the correct interpretation, i.e., the ABM Treaty prohibits the development, testing, and deployment of sea-based, airbased, space-based, and mobile land-based ABM systems and components without regard to the technology utilized. The Administration has withdrawn the broad revisions to the Treaty previously pro-posed in the SCC which were intended to permit expanded deployment of strategic ABM defenses. The Administration has recognized the need to specify a dividing line between ABM systems limited by the Treaty and non-ABM systems. 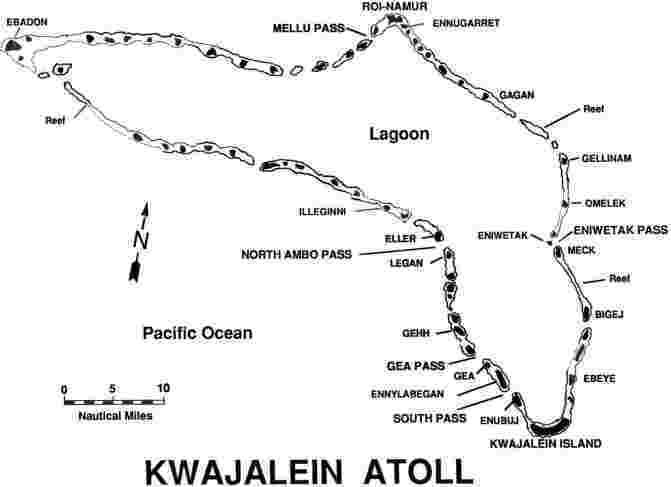 When the Treaty was nego-tiated, both parties understood that this demarcation was left undefined. The time has come to define it. This will be accomplished by agreement in the SCC, not unilaterally. How the final agreement is formalized, as a legal matter, must properly await the out-come of the negotiations. Finally, the President has directed the Administration to con-sult closely with Congress on these issues. On July 13,1993, Thomas Graham, Jr., Acting Director of the U.S. Arms Control and Disarmament Agency provided Senator Claiborne Pell (D-RI), Chairman of the Senate Foreign Relations Committee, with the Clinton Administration's reaffirmation of the "narrow" or "traditional" interpretation of the ABM Treaty: the ABM Treaty prohibits the development, testing, and deployment of Sea-based, air-based, space-based, and mobile land-based ABM systems and components without regard to the technology utilized. The Fourth Review of the ABM Treaty, held between September 27 and October 1 of 1993, reaffirmed the participants' commitment to the ABM Treaty and advocated efforts to strengthen the Treaty. The Clinton Administration announced its acceptance of multilateralization of the ABM Treaty and directed that negotiations begin on procedures to implement a multilateral succession. The Clinton Administration announced its goal to seek a clear, negotiated, demarcation between ABM and non-ABM systems in order to clarify the ABM Treaty provisions. Sessions of the Standing Consultative Commission were held in Geneva, Switzerland, where Belarus, Russia, Ukraine, and the United States discussed proposals to provide for multilateral succession to the ABM Treaty and to clarify the demarcation between ABM systems limited by the Treaty and non-ABM systems.